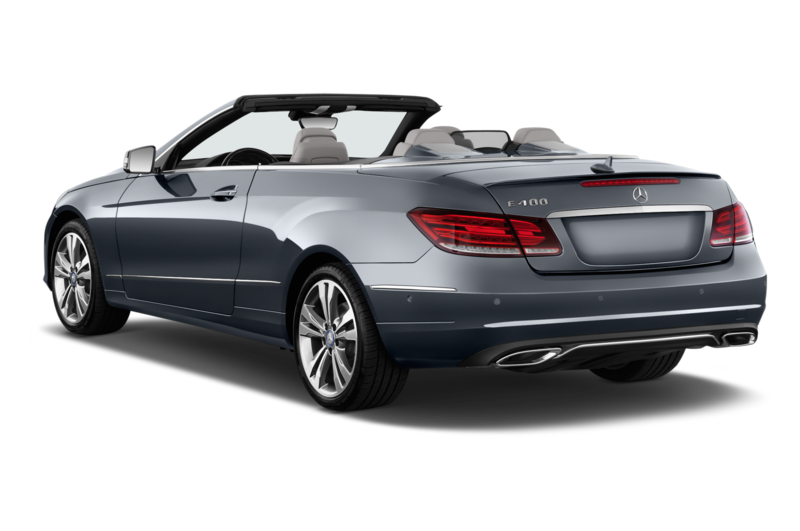 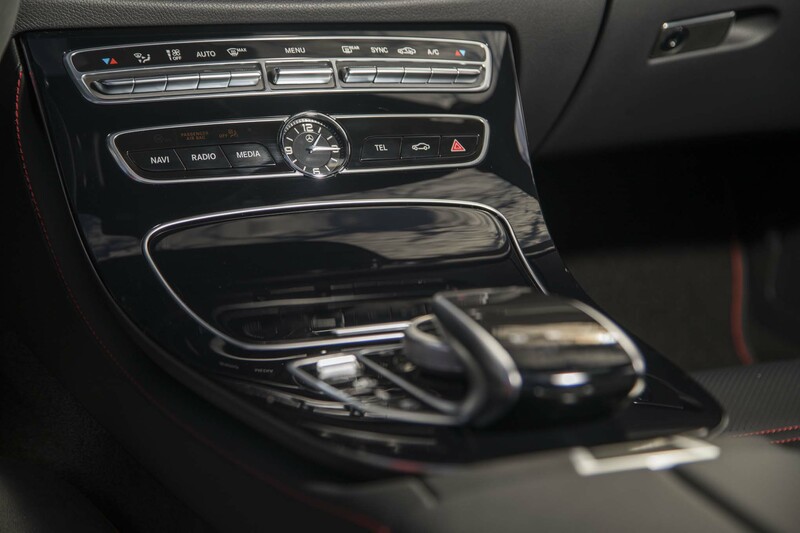 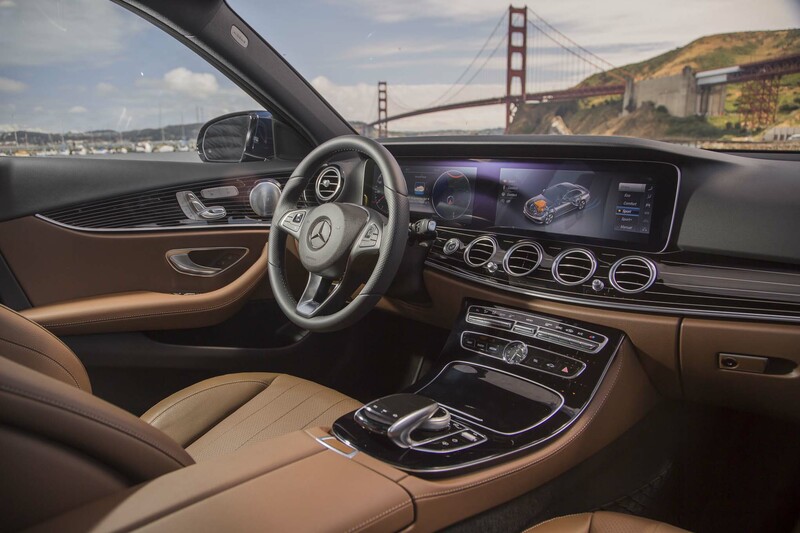 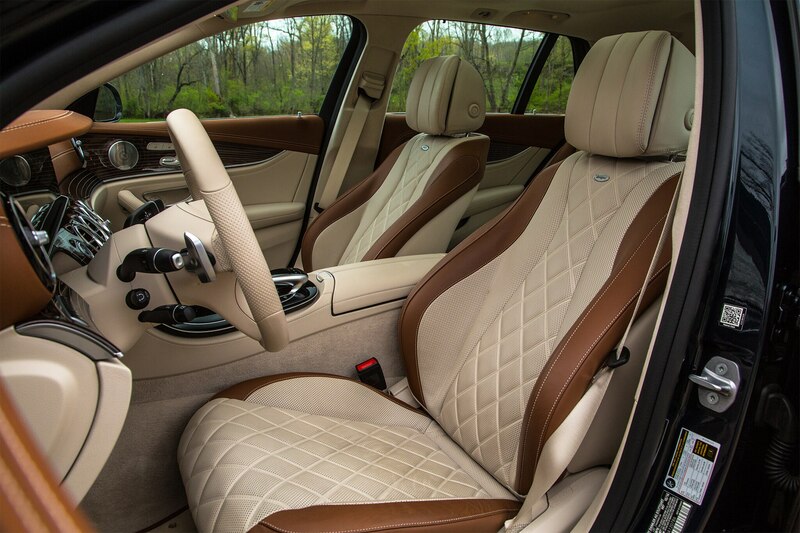 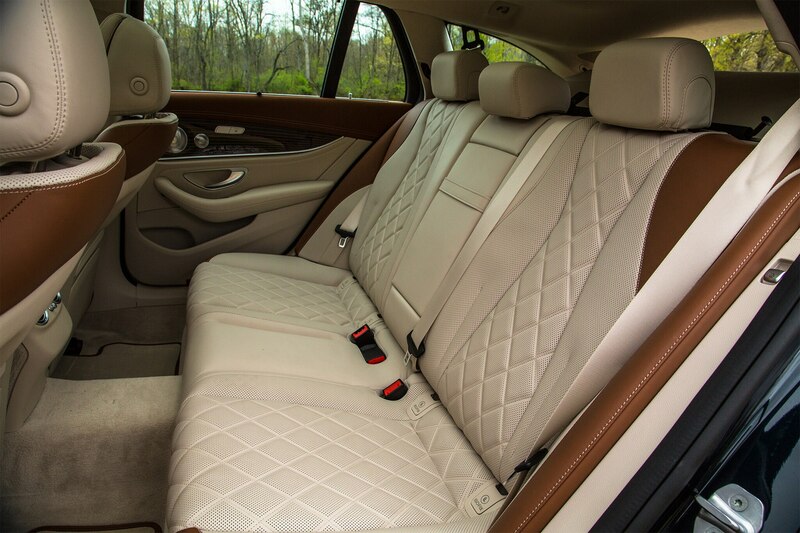 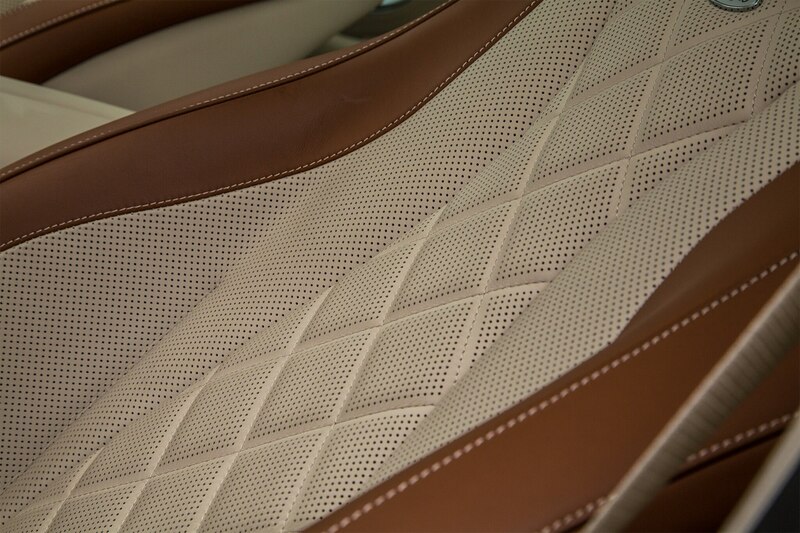 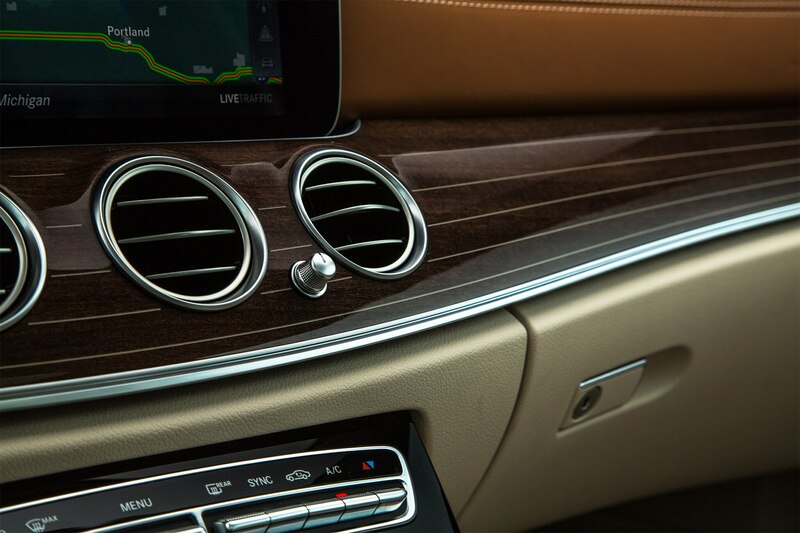 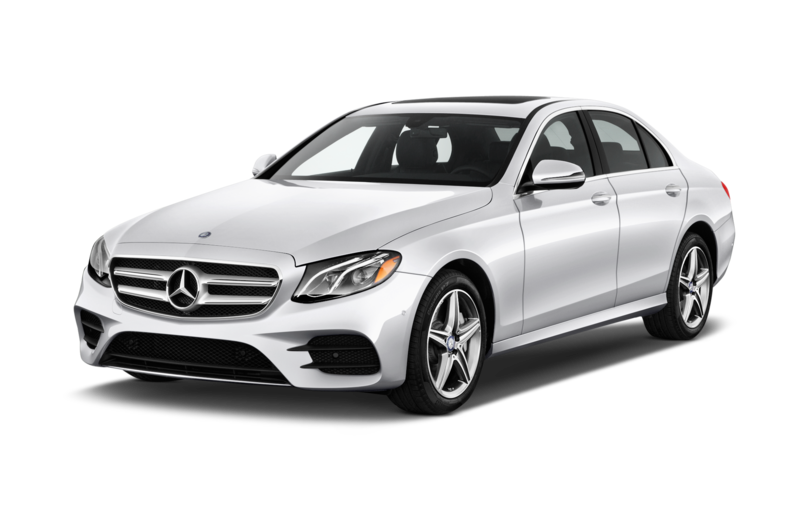 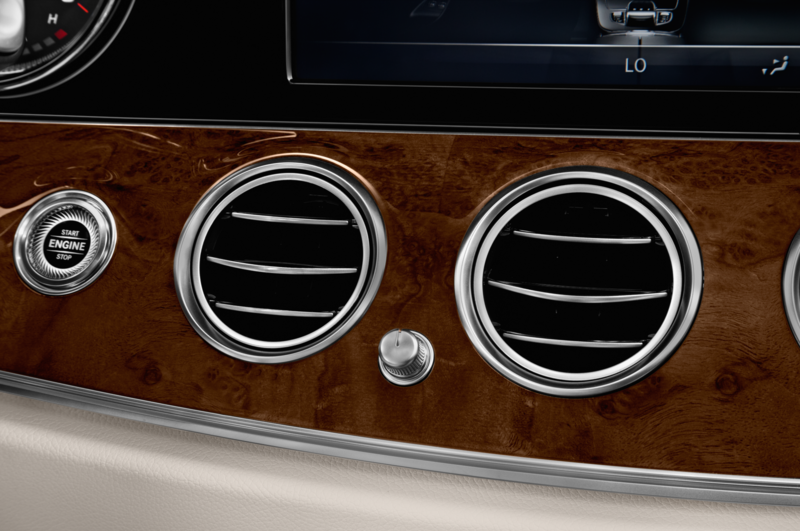 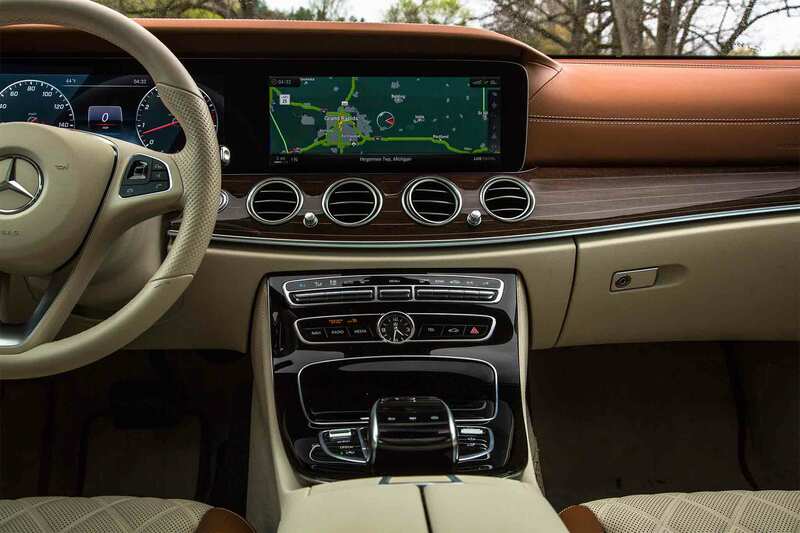 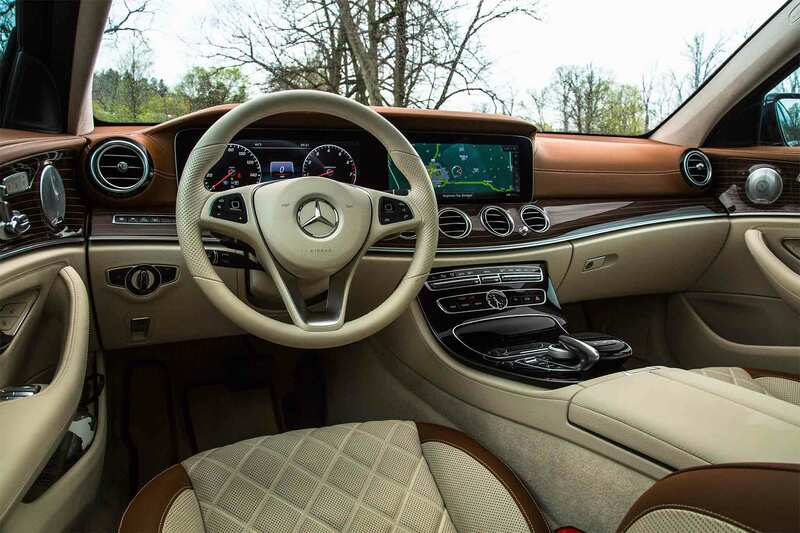 The milk-chocolate brown and cream-leather Designo interior of this 2017 Mercedes-Benz E400 4Matic calls for a tweed jacket, khaki jodhpurs, a dark green wool vest, and one of those sportif wool hats with the bird’s feather sticking out from the band. 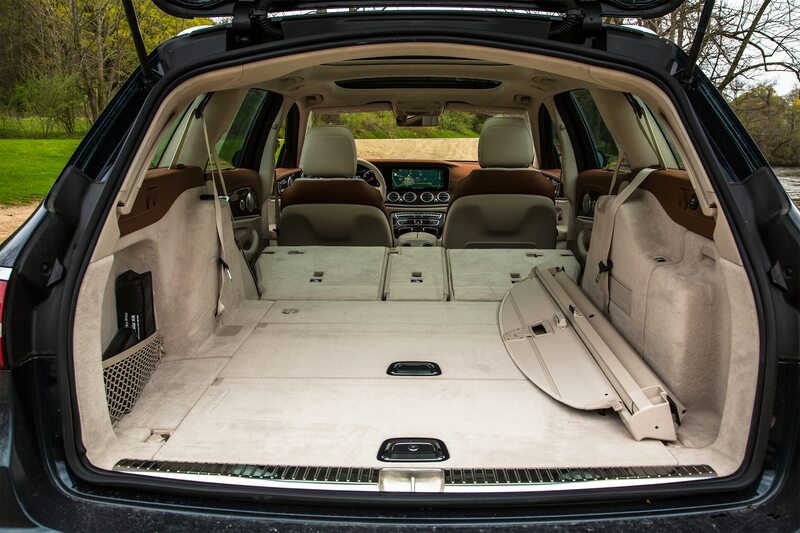 This wagon befits a gentleman or lady of either Anglo or Saxon descent out on a fowl-hunting excursion, offering plenty of luxuriously carpeted cargo floor for ol’ Rex the bloodhound to slobber onto. 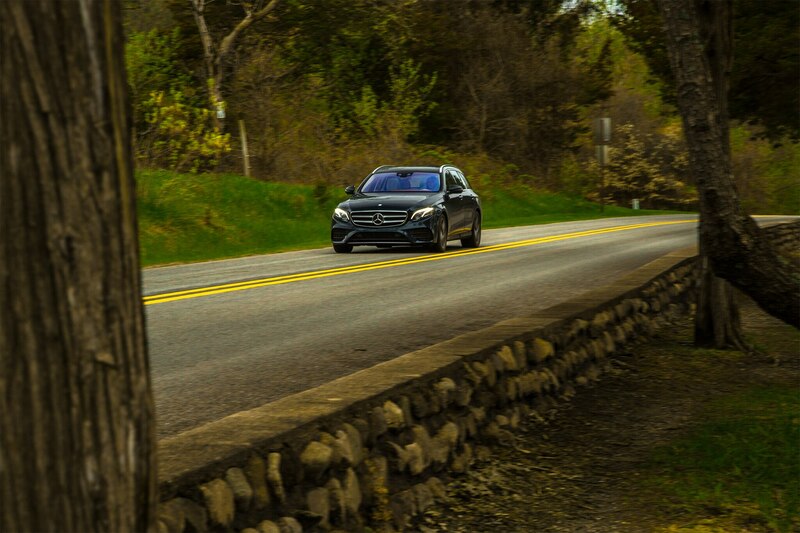 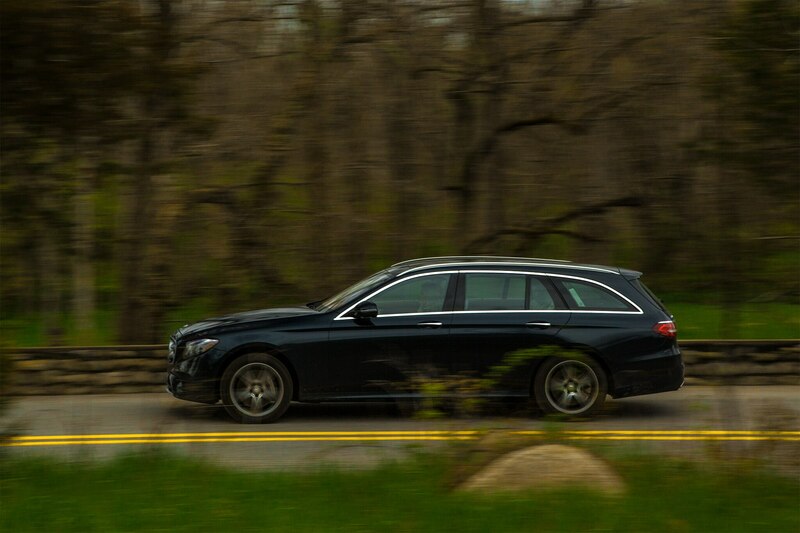 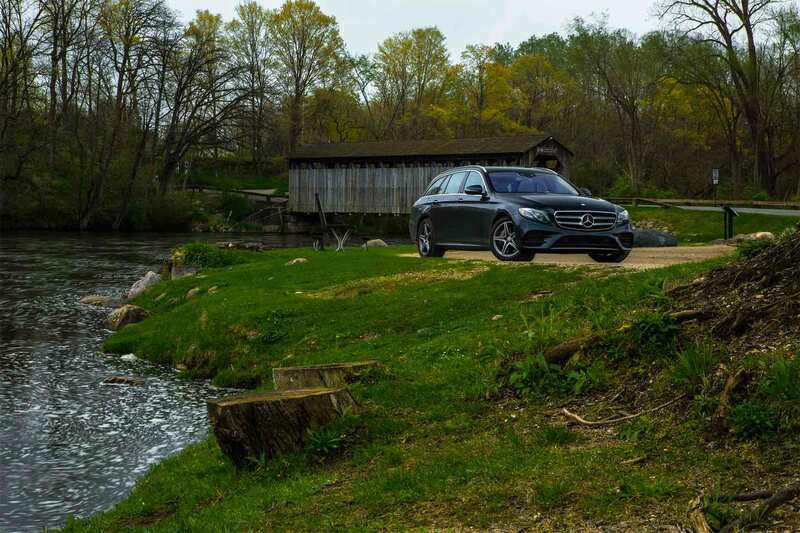 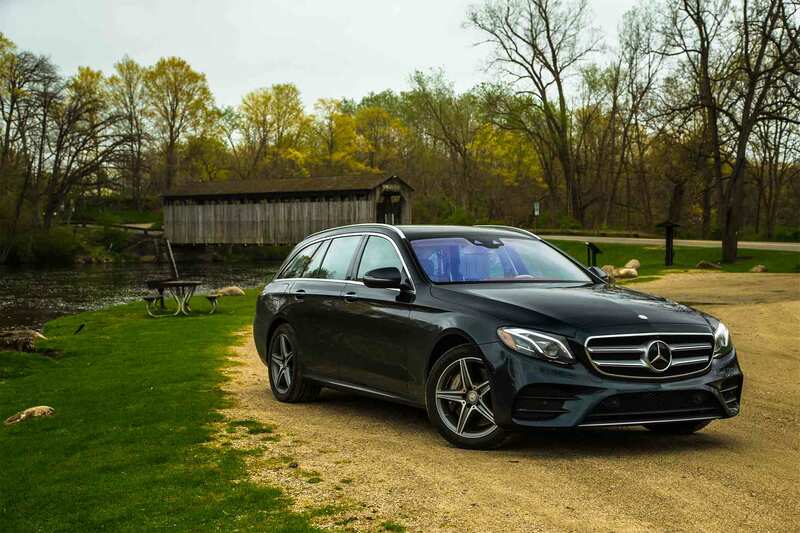 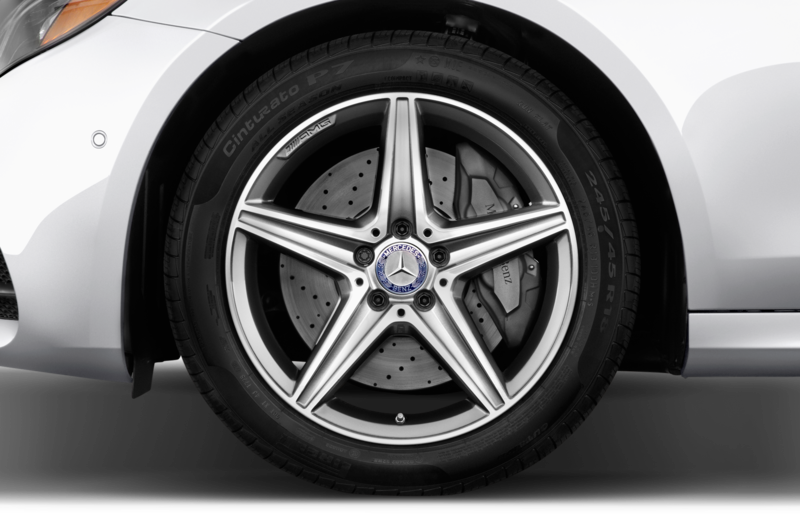 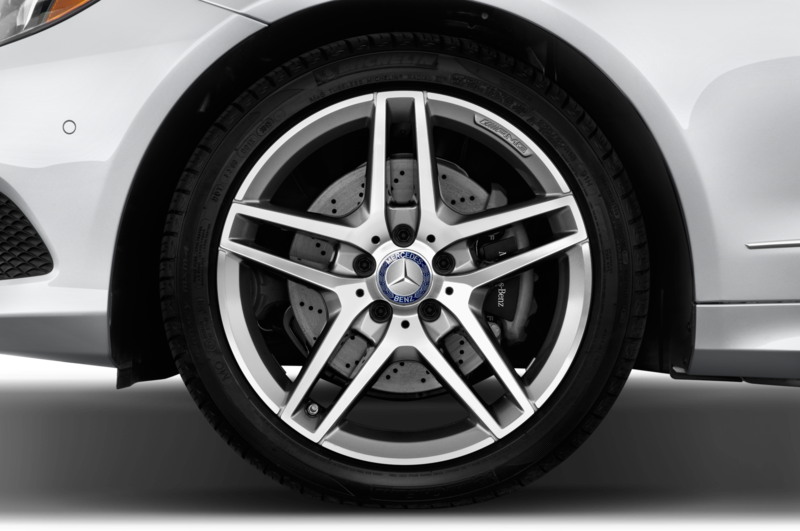 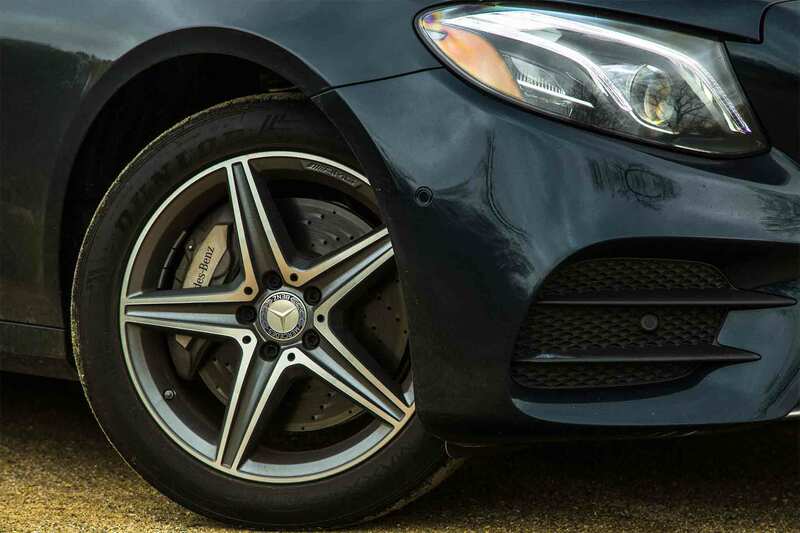 For those tired of the compromised handling characteristics of crossovers that offer no payoff in ride quality, in part due to the considerable unsprung weight of their typically big wheels, the Mercedes-Benz E400 Wagon is refreshingly different – long, low and wide. 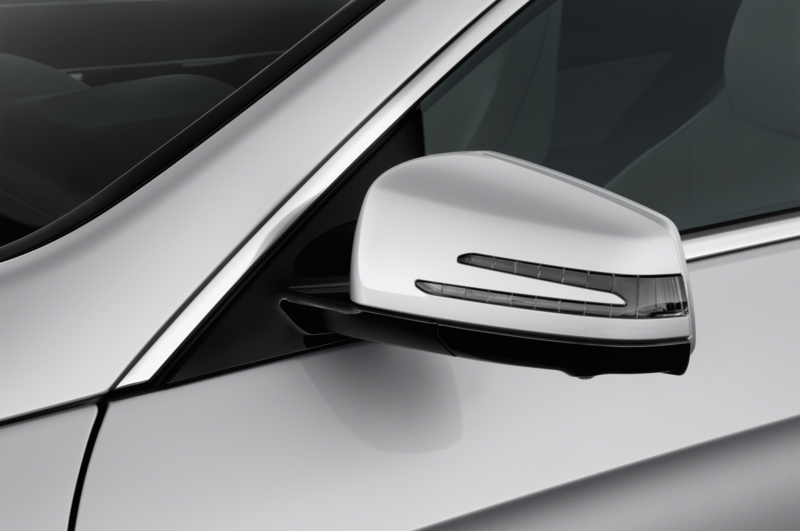 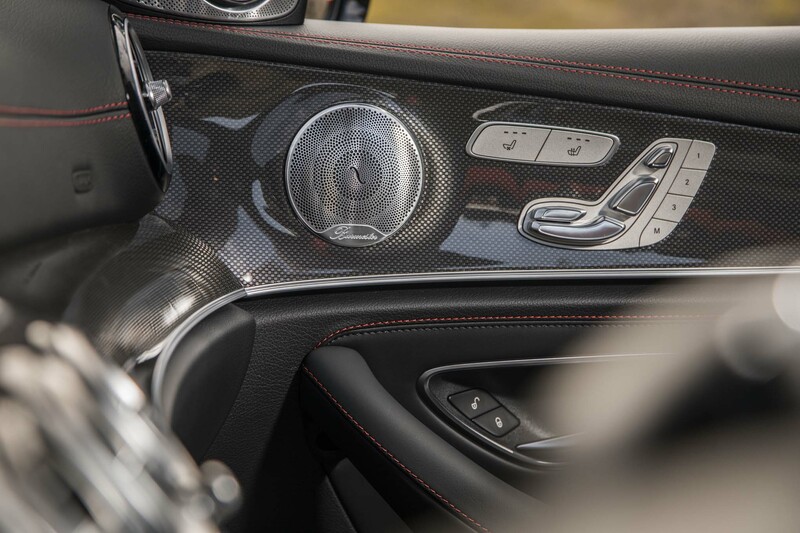 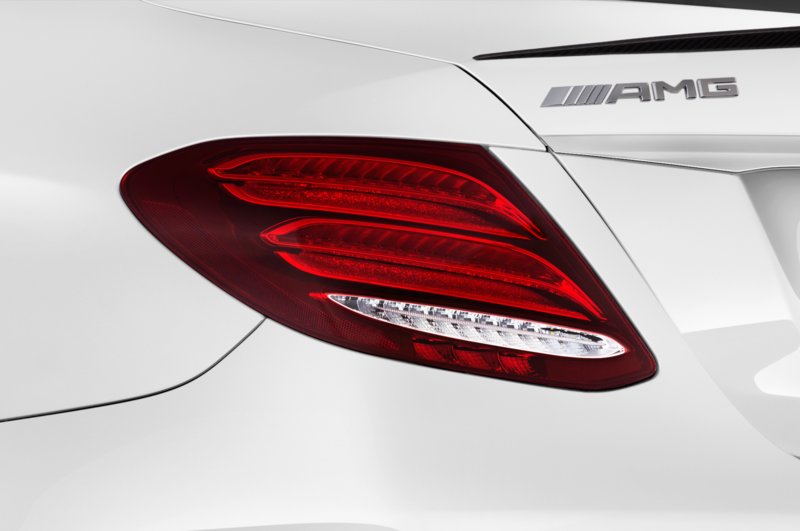 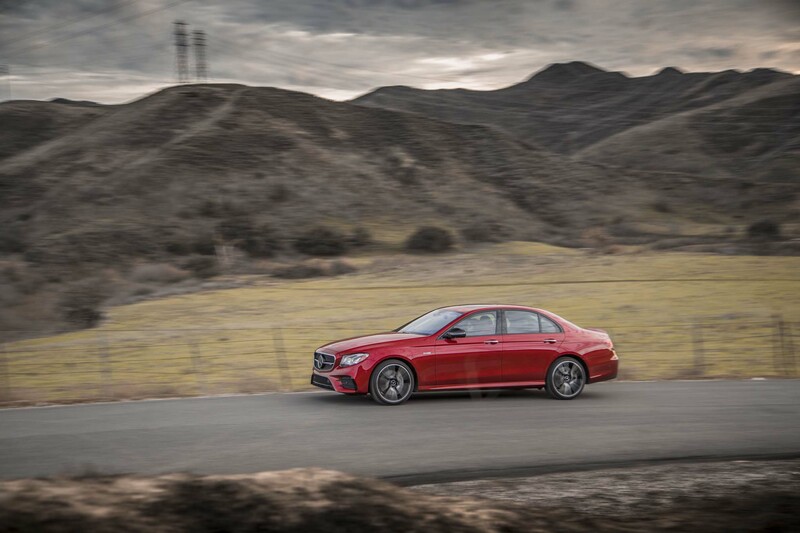 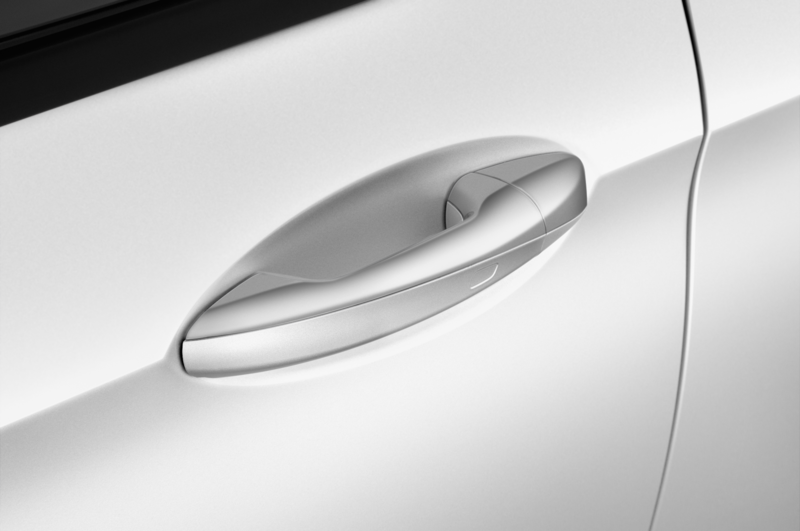 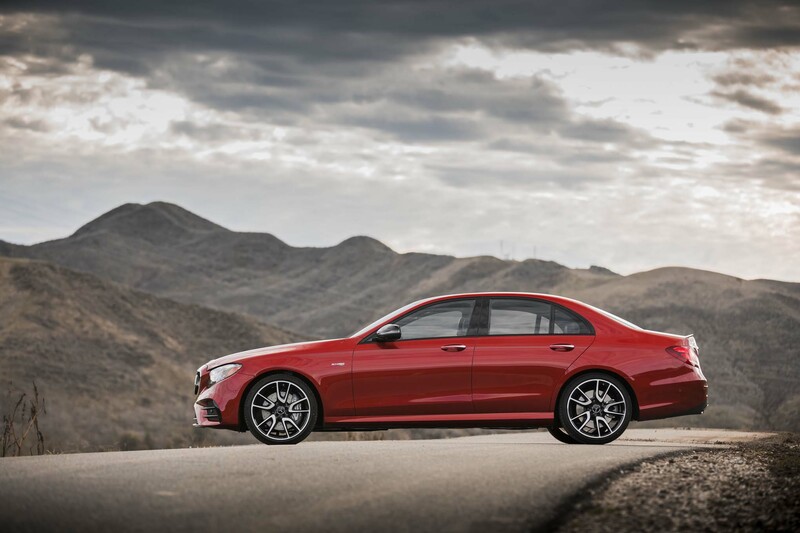 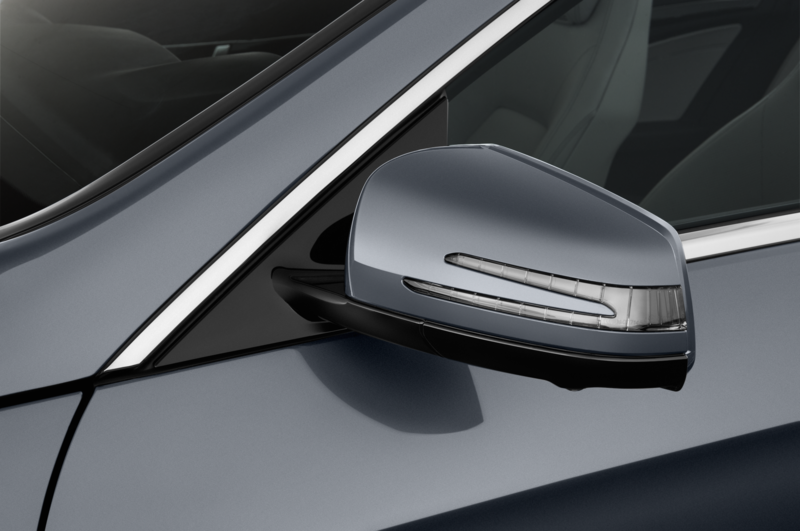 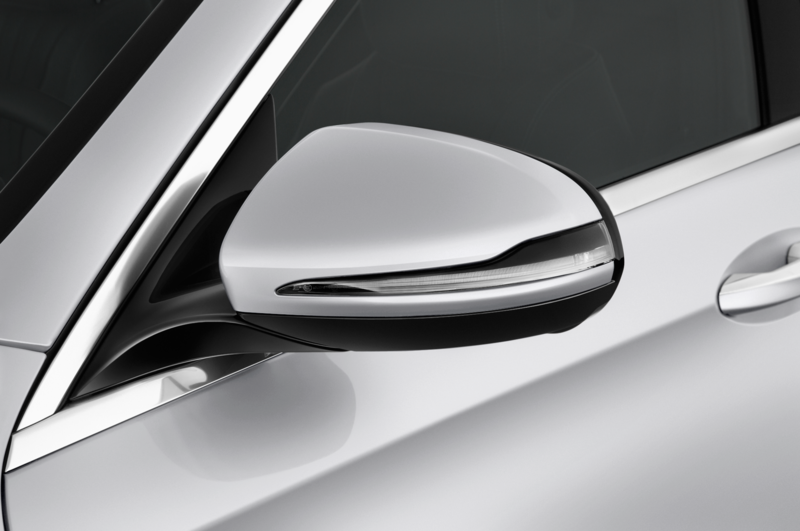 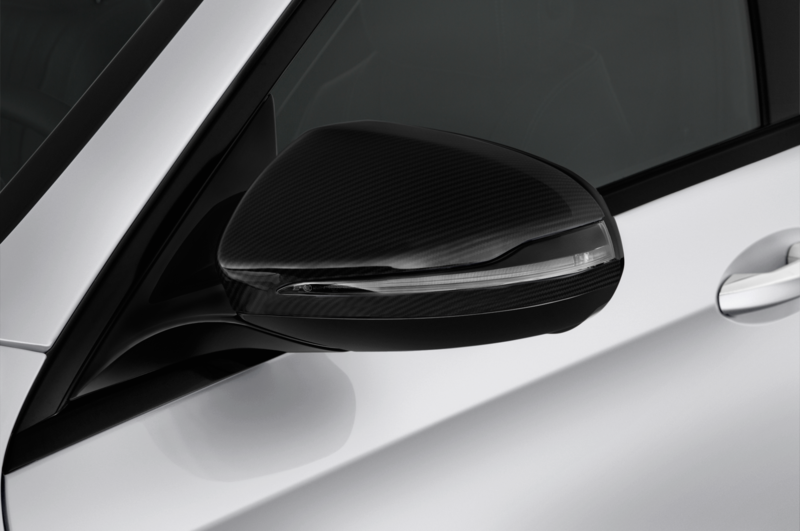 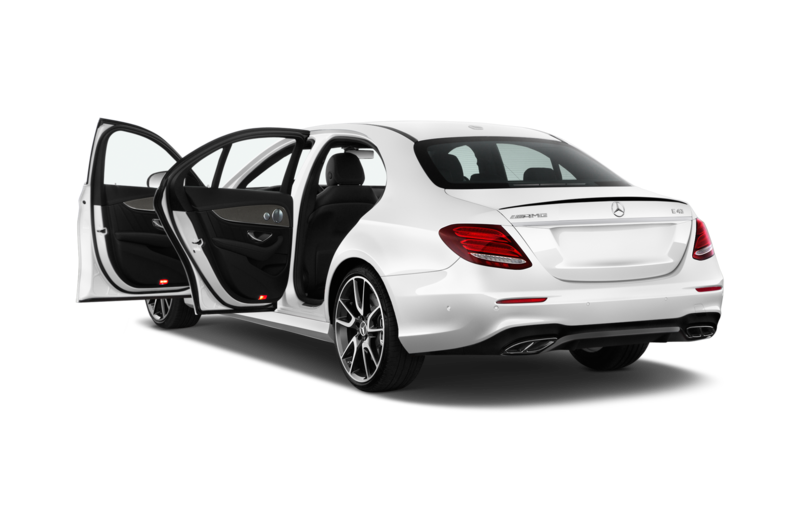 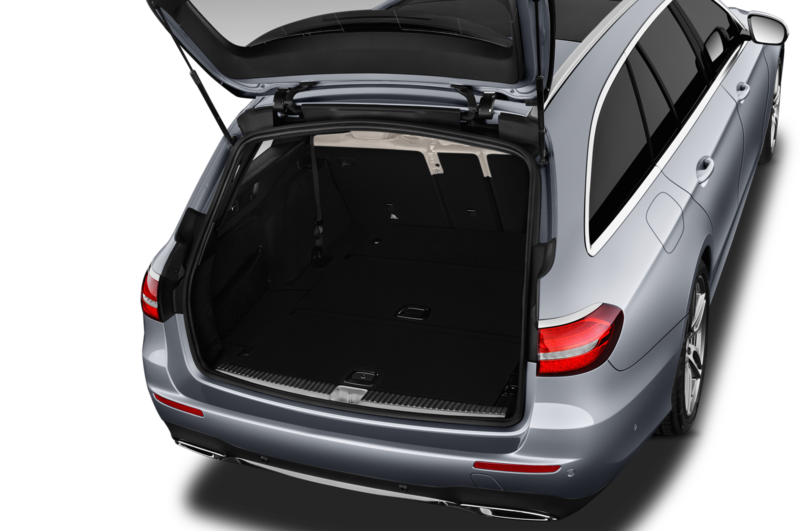 Its sporty, raked d-pillar is a departure from past E-Class wagons, which came off with awkwardly squared-off d-pillars to preserve rear-compartment space. 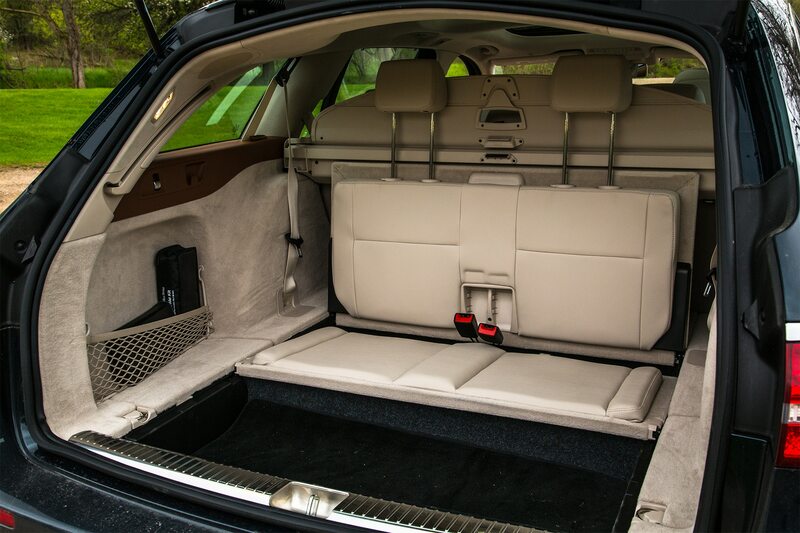 You’d be folding a pair of rear-facing third-row seats to get Rex to fit into that rear compartment, something rarely seen in a modern station wagon, let alone one with a rakish d-pillar. 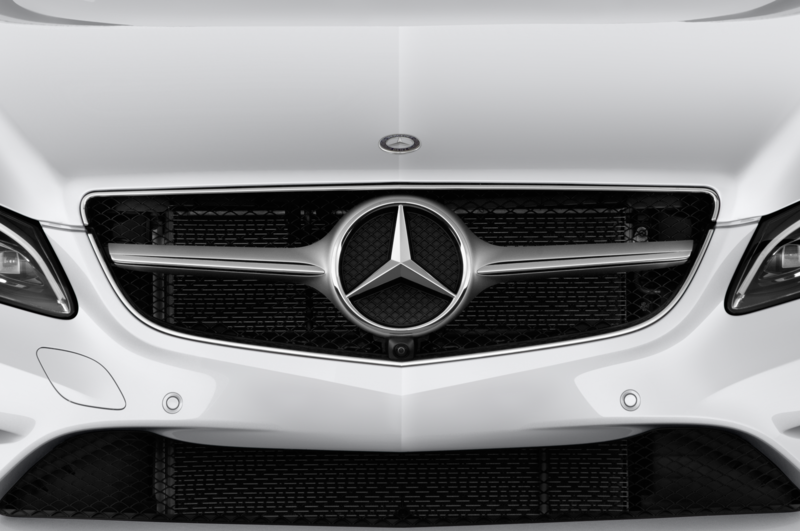 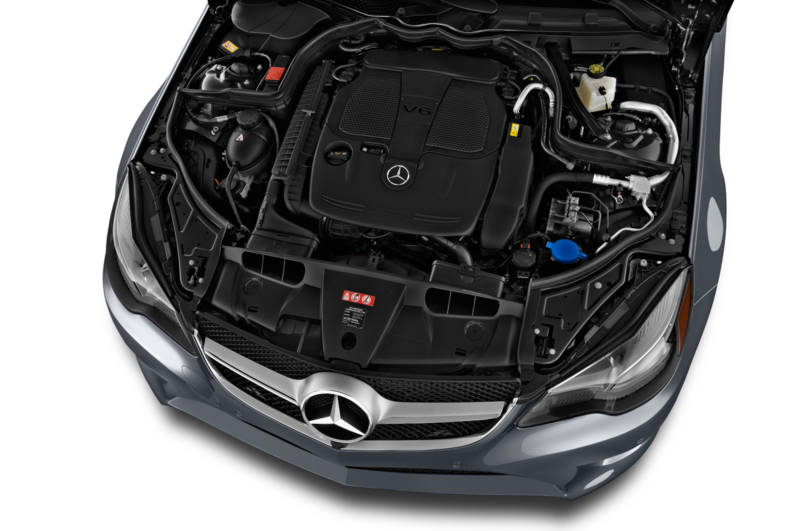 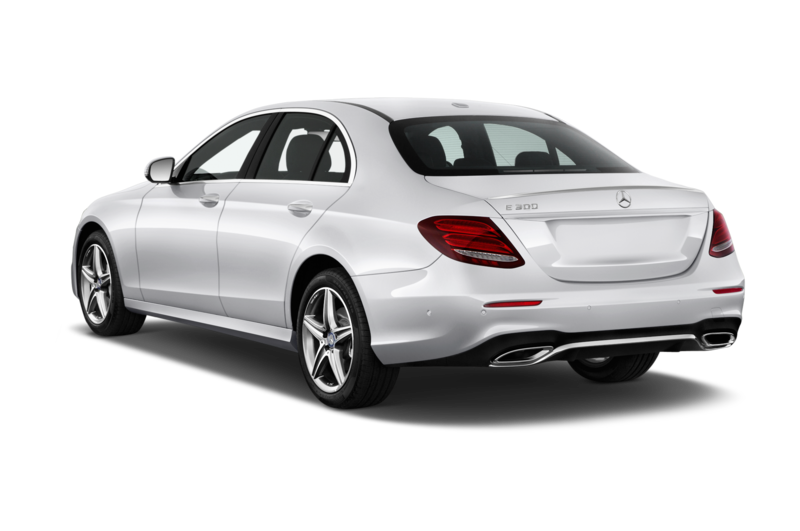 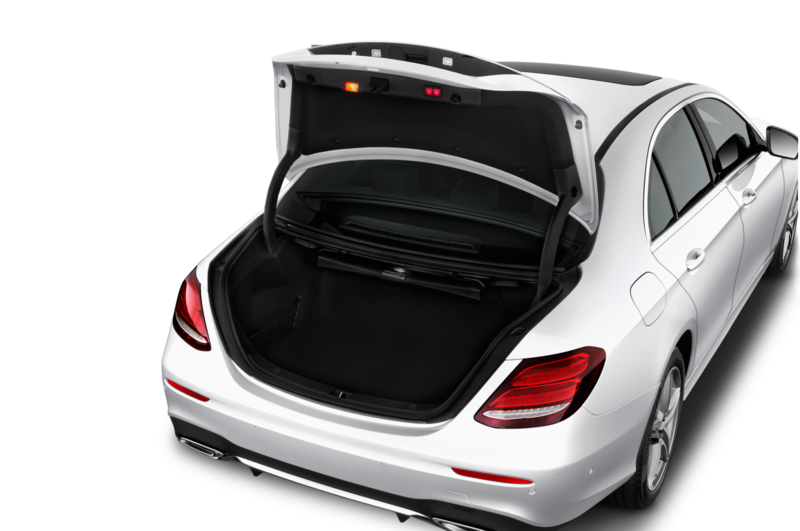 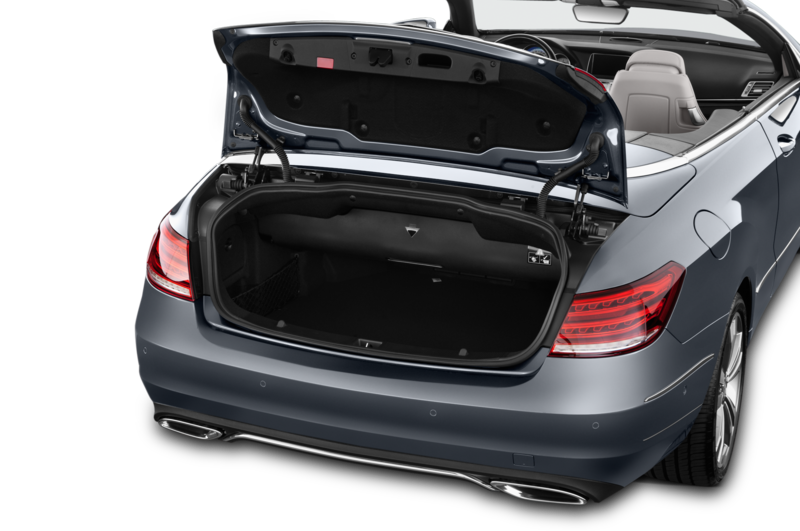 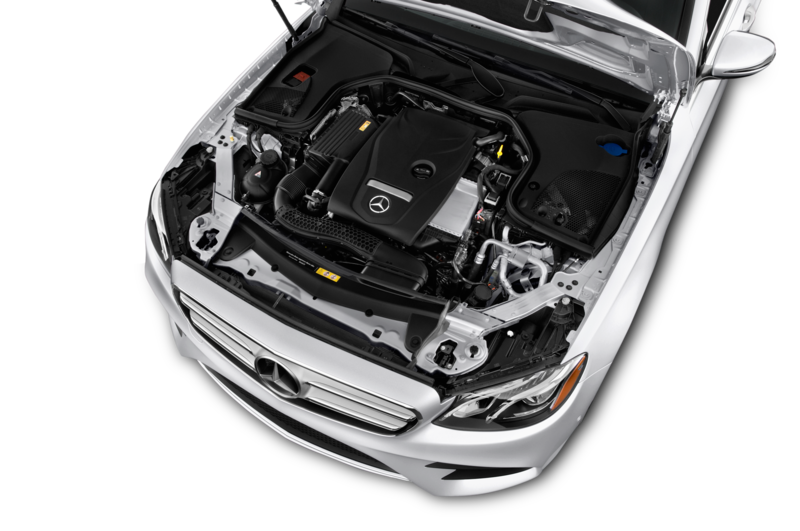 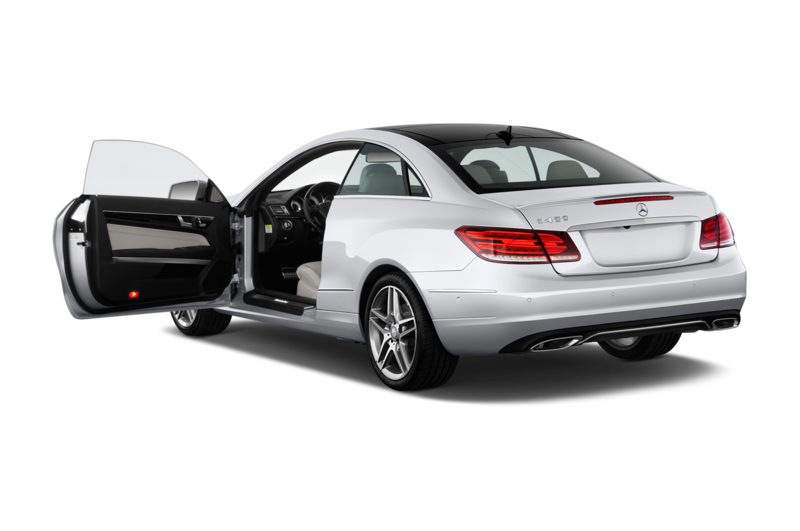 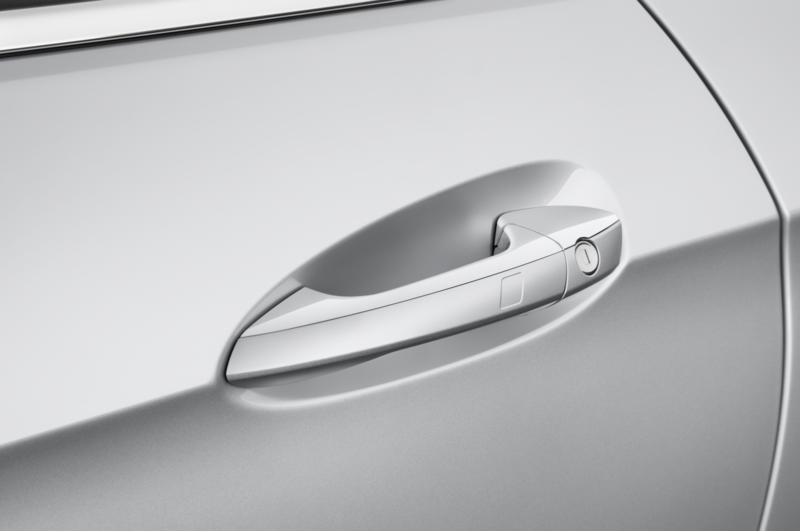 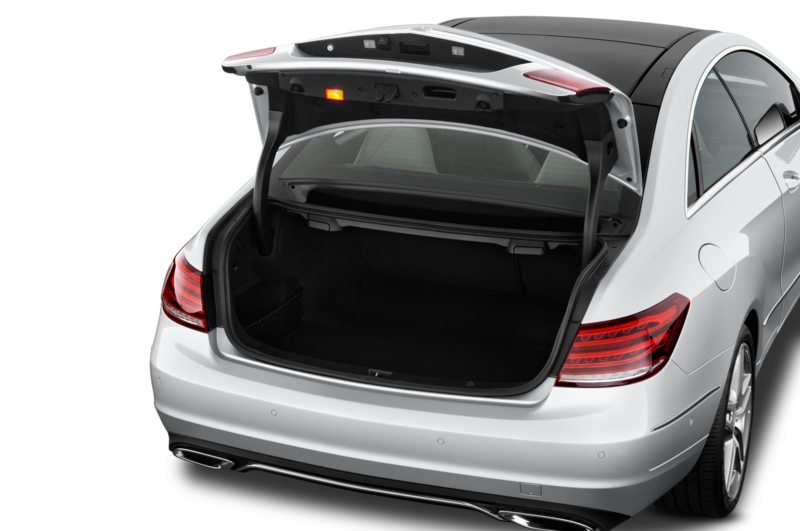 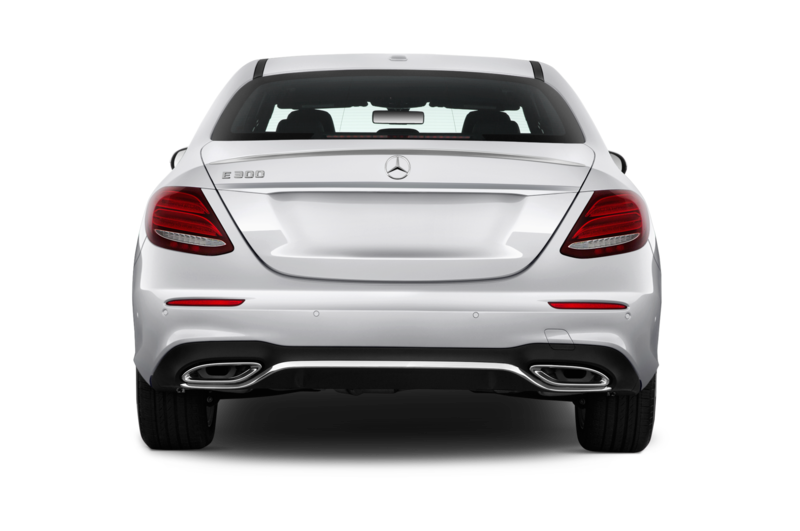 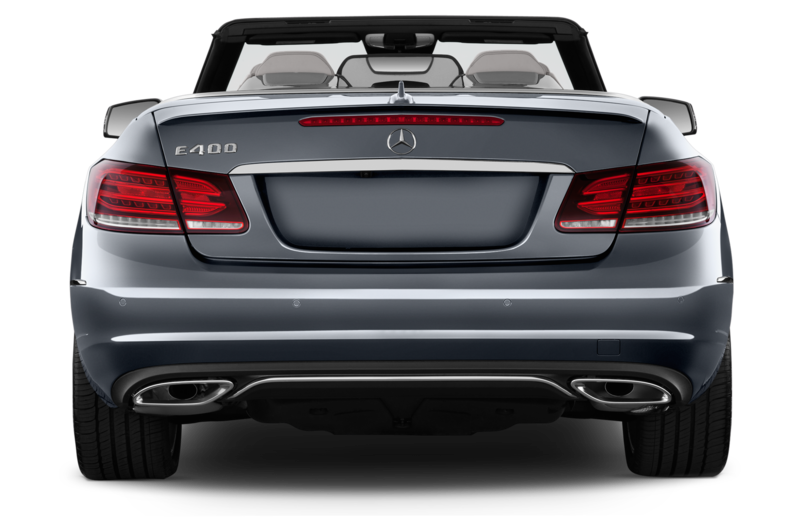 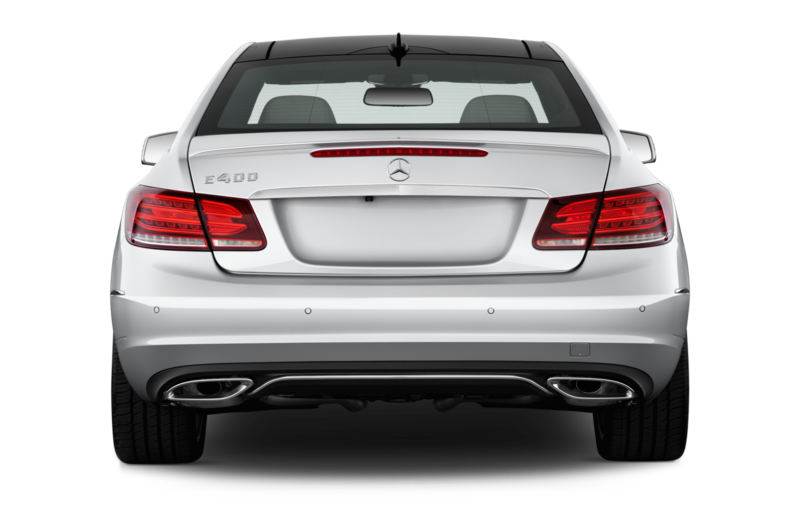 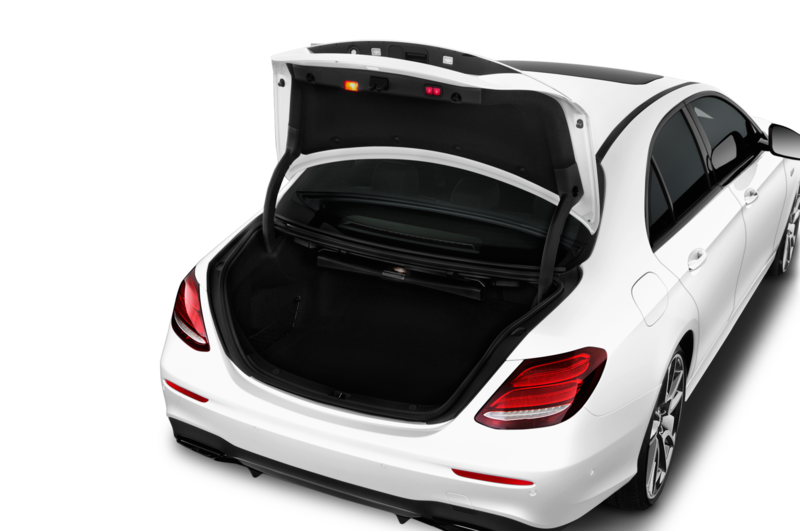 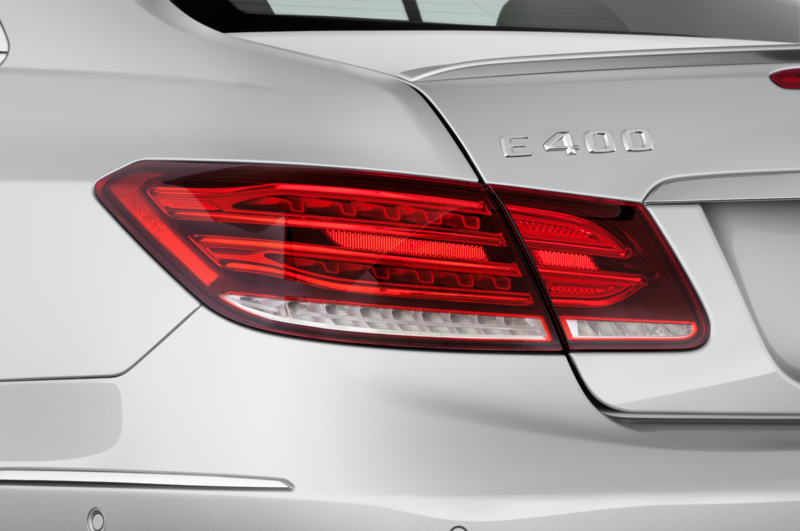 However, unlike wagons of the past, the 2017 E400 has far less headroom to offer back there thanks to structural members that meant to provide rollover protection. 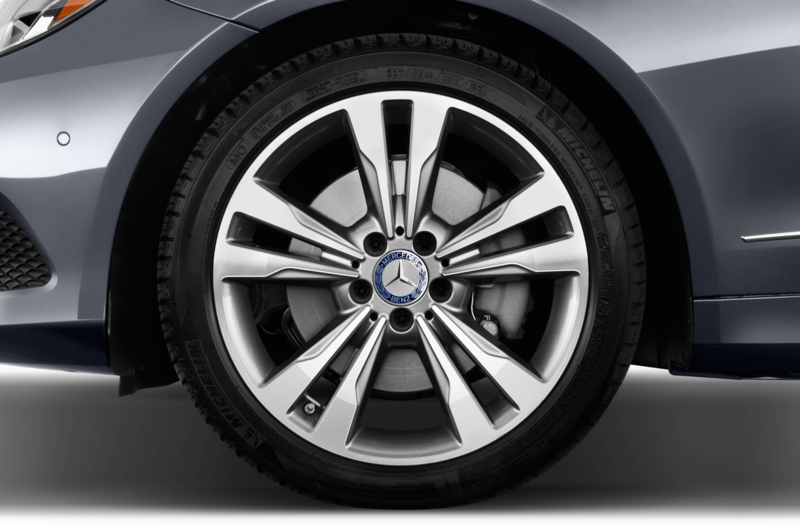 Marc’s son is 10, and his daughter is nearly 12. 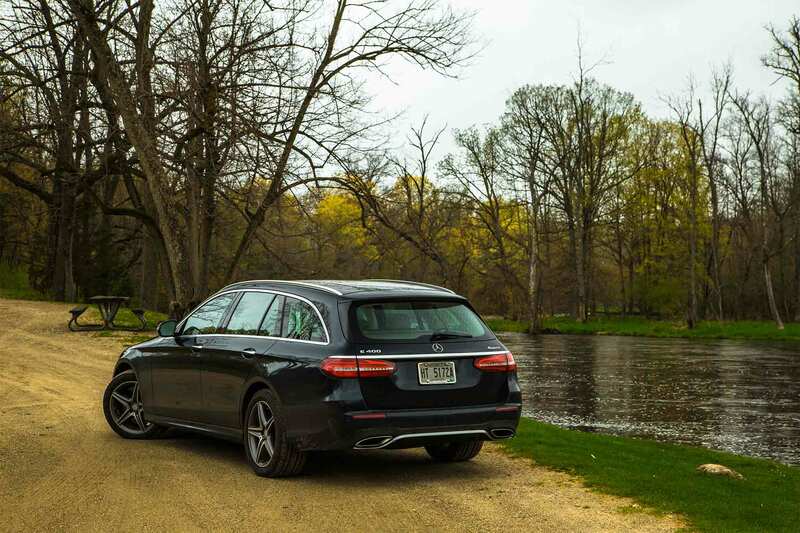 The rear-facing seat proved “almost too small” for his daughter, and with booster seats becoming required for children as old as 8, this $83,055 E400 is best thought of as a two-row hauler for smaller families that can occasionally carry a couple of friends. 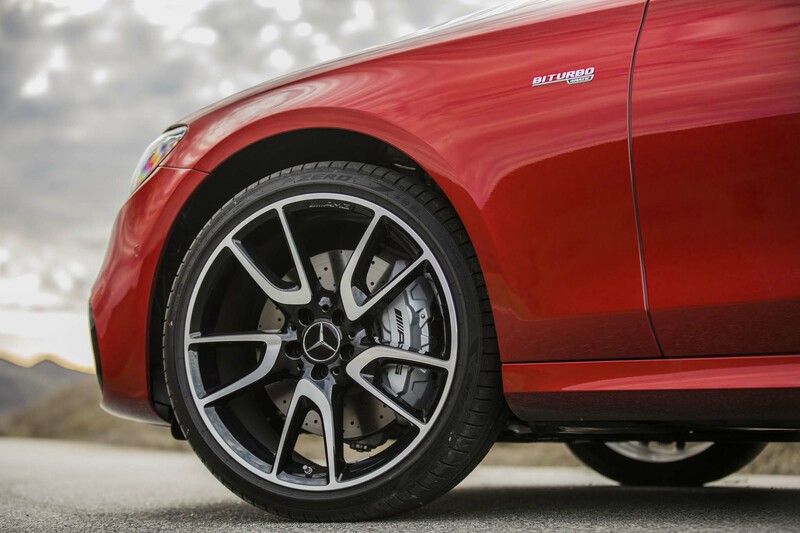 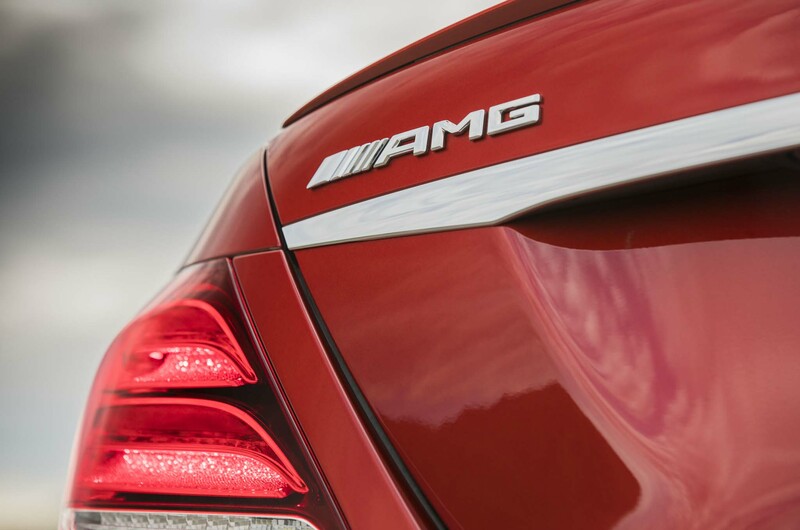 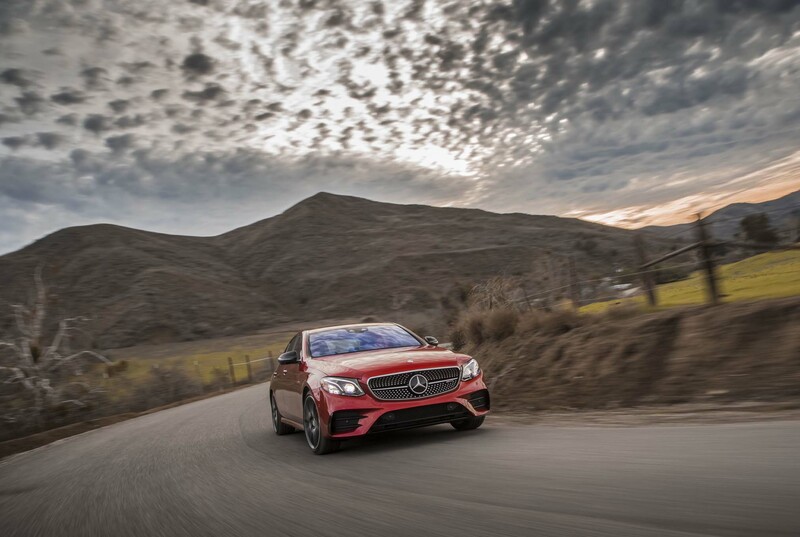 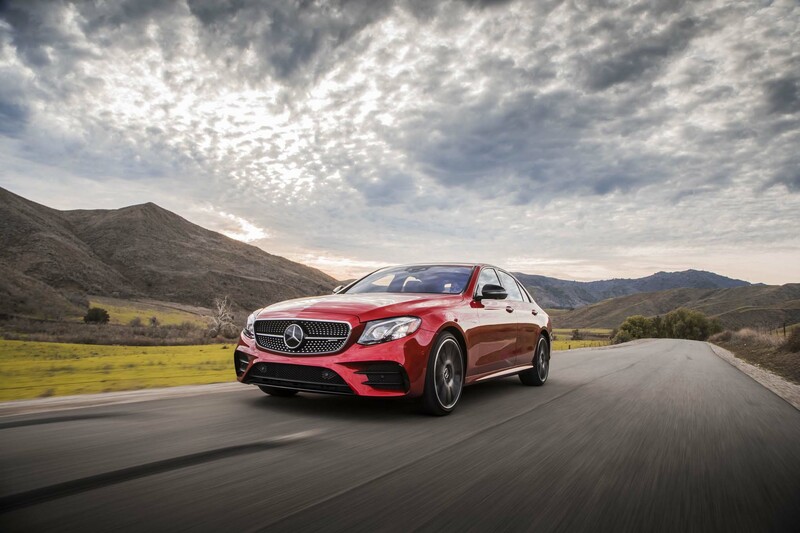 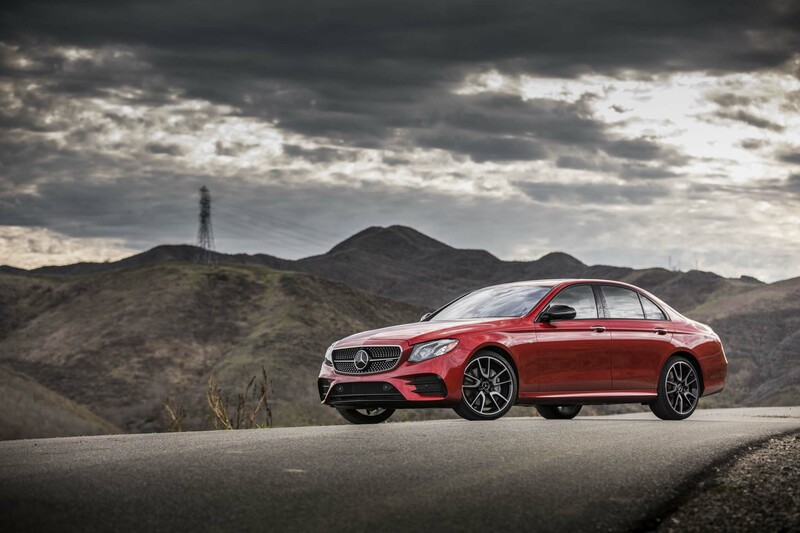 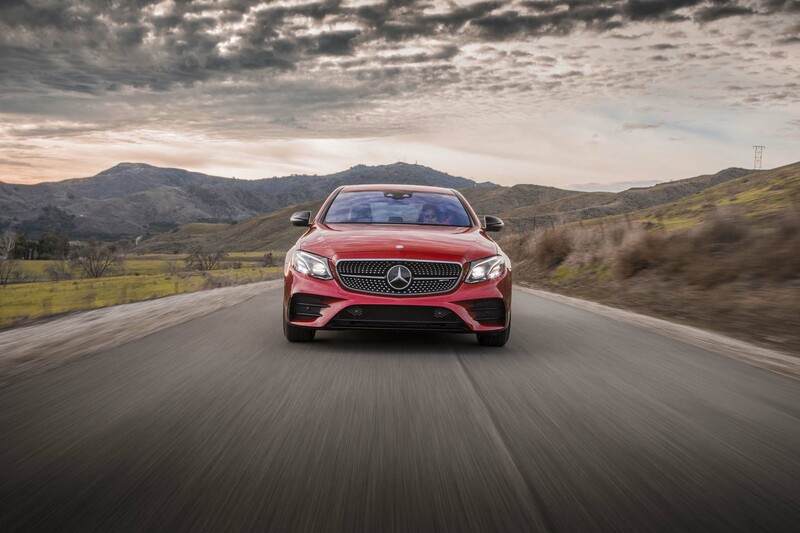 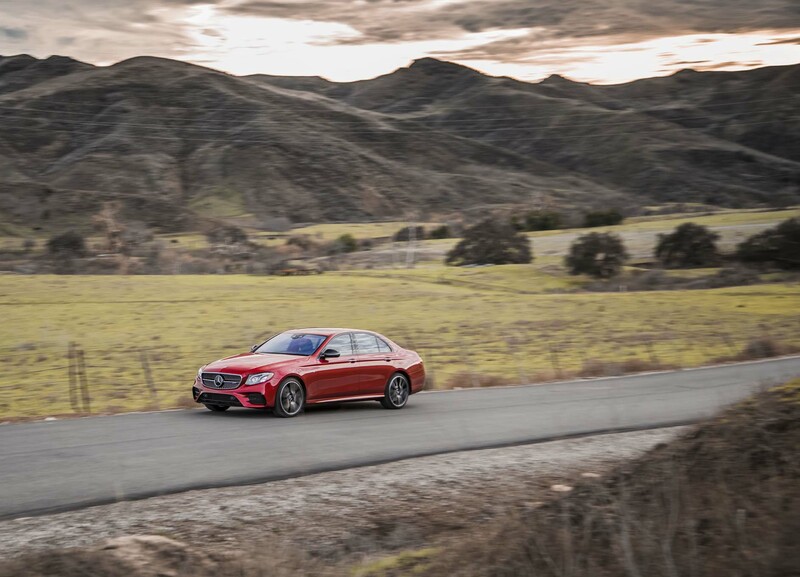 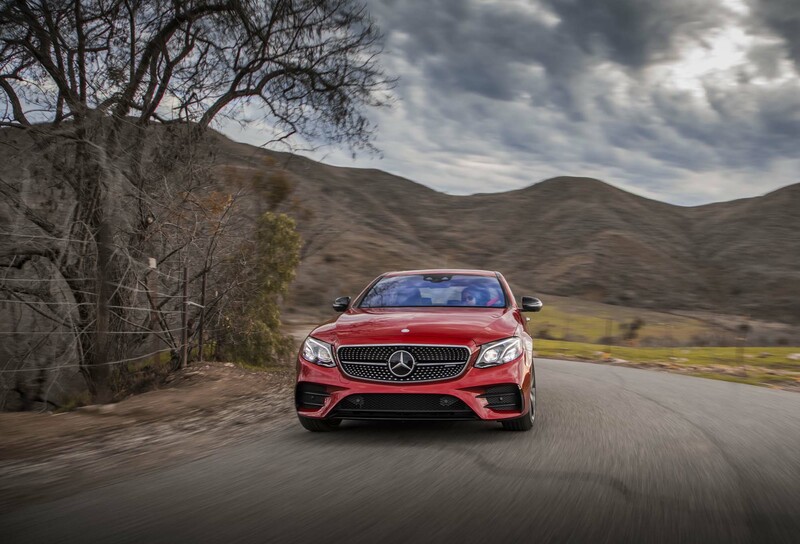 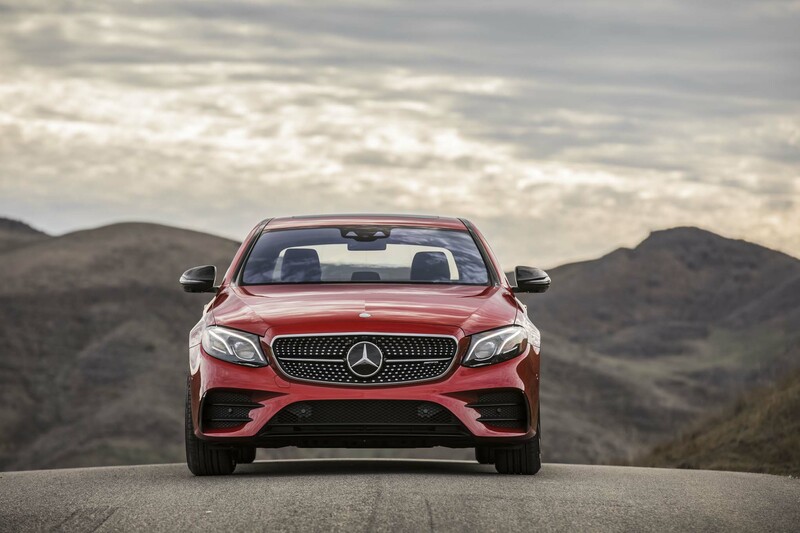 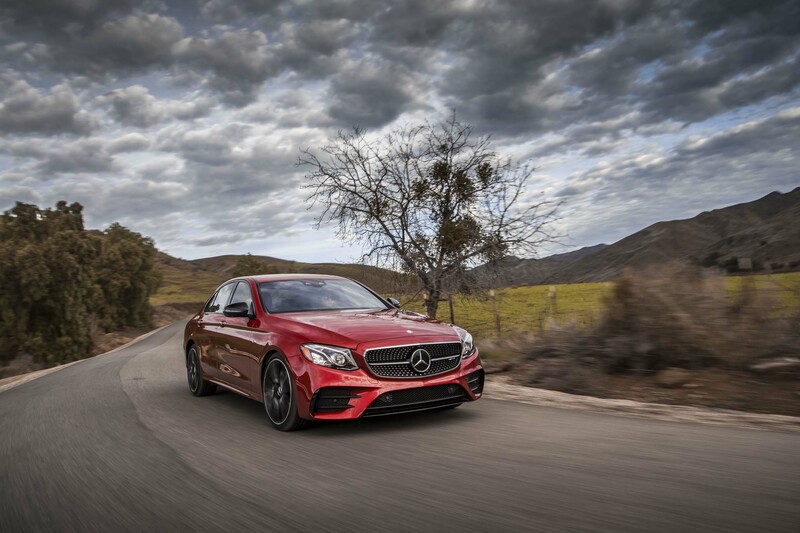 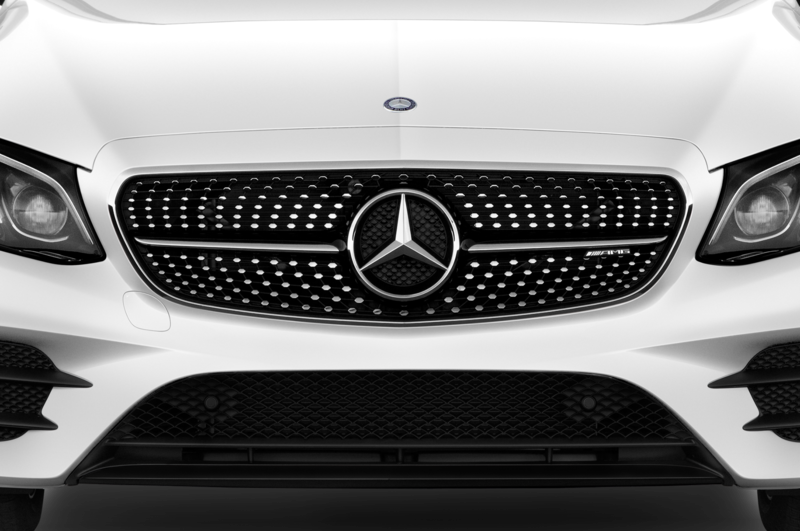 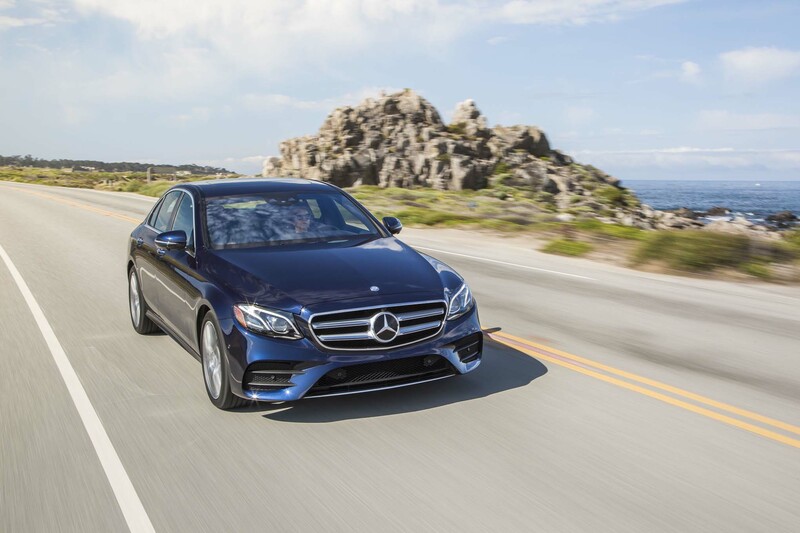 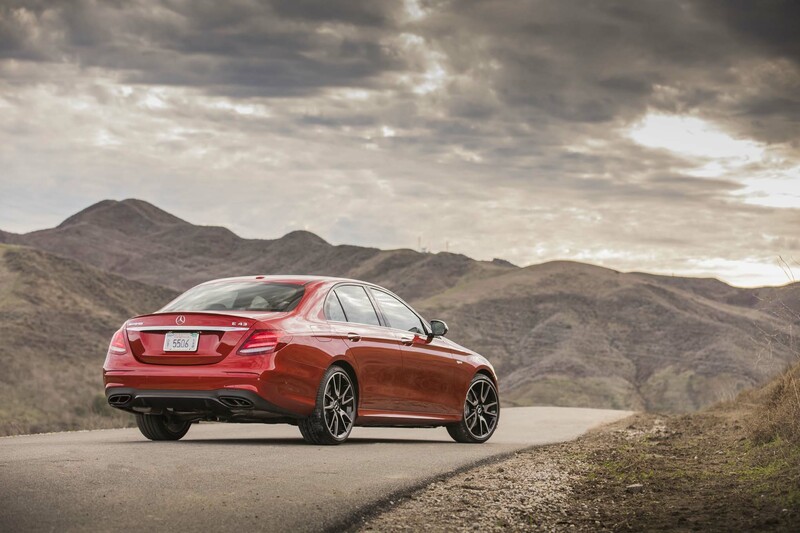 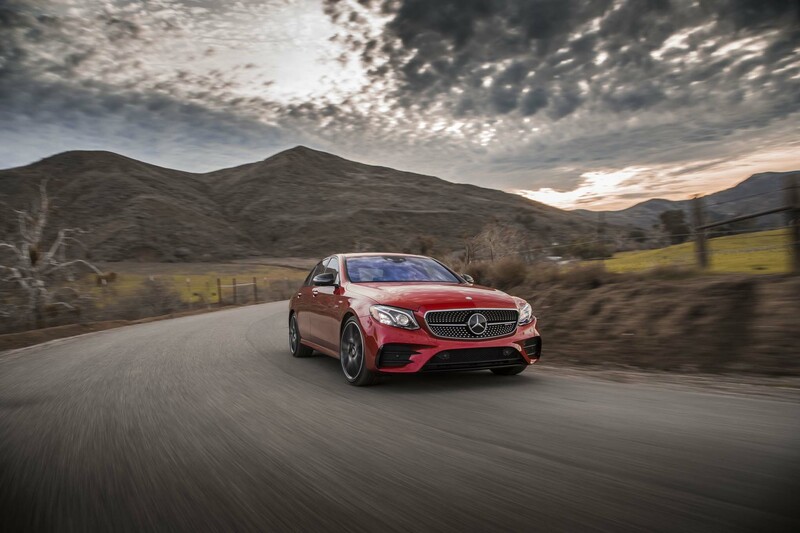 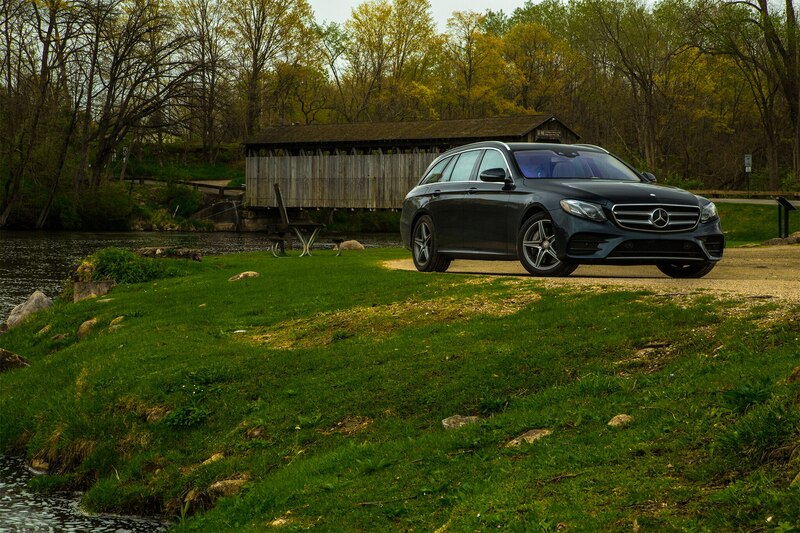 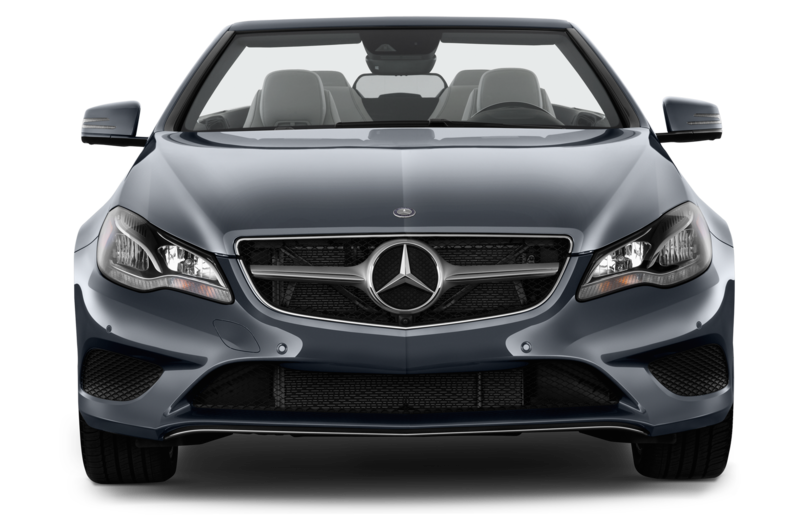 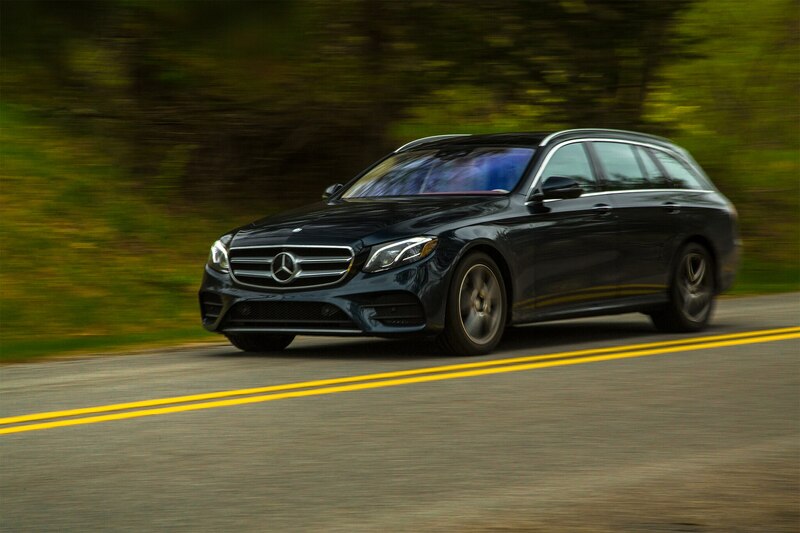 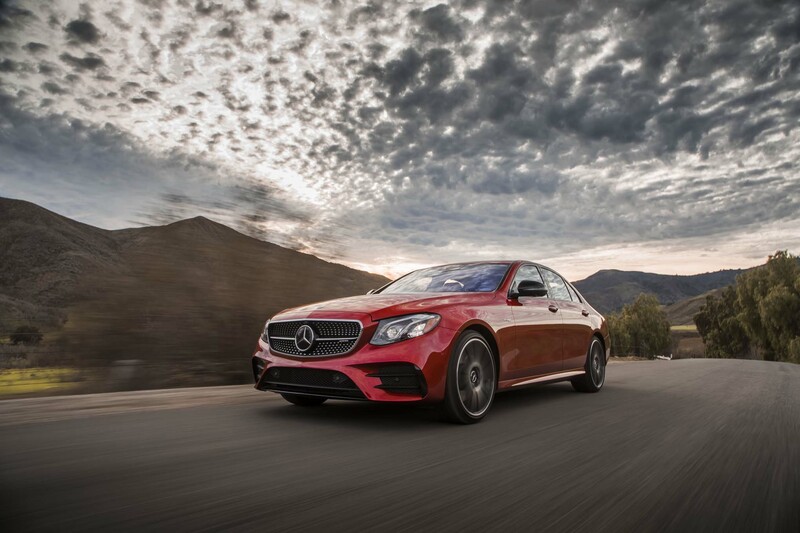 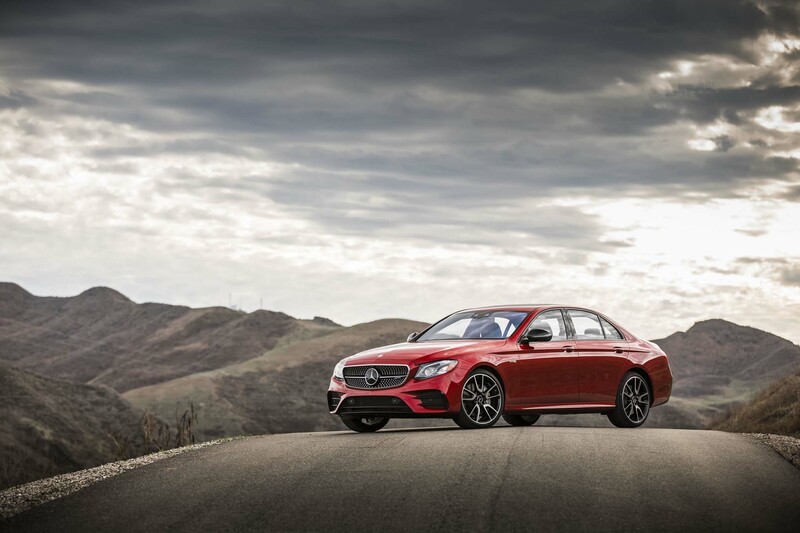 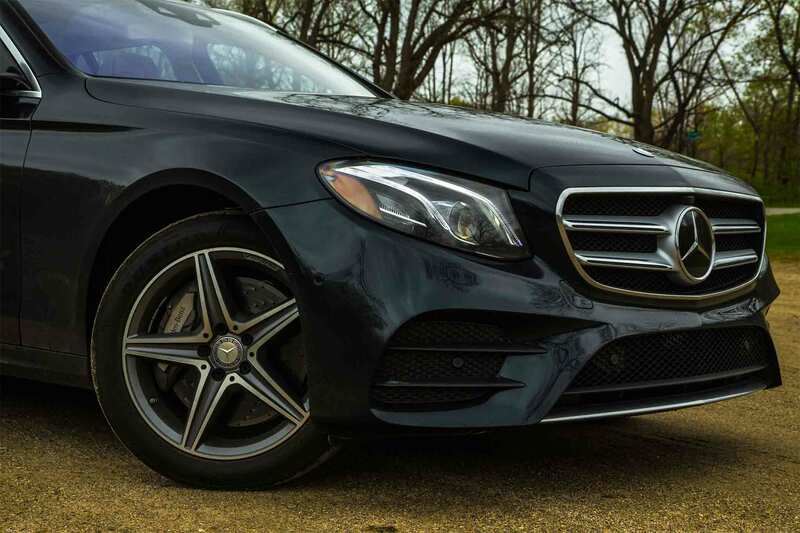 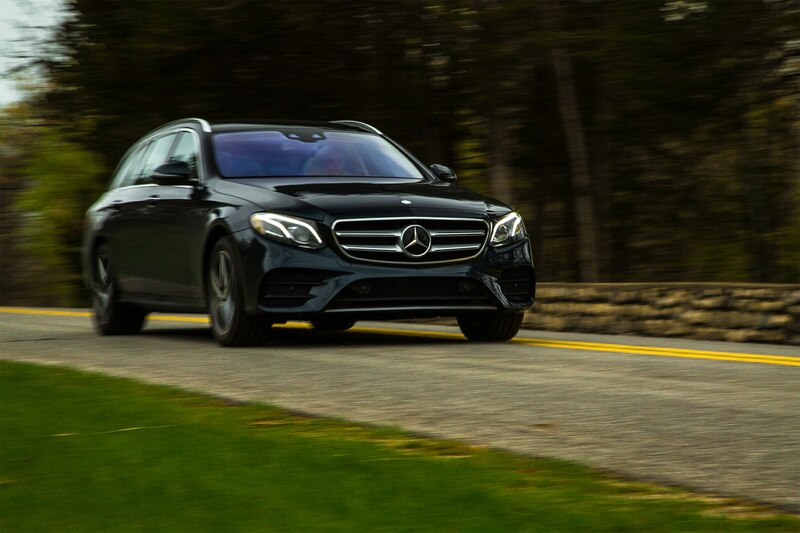 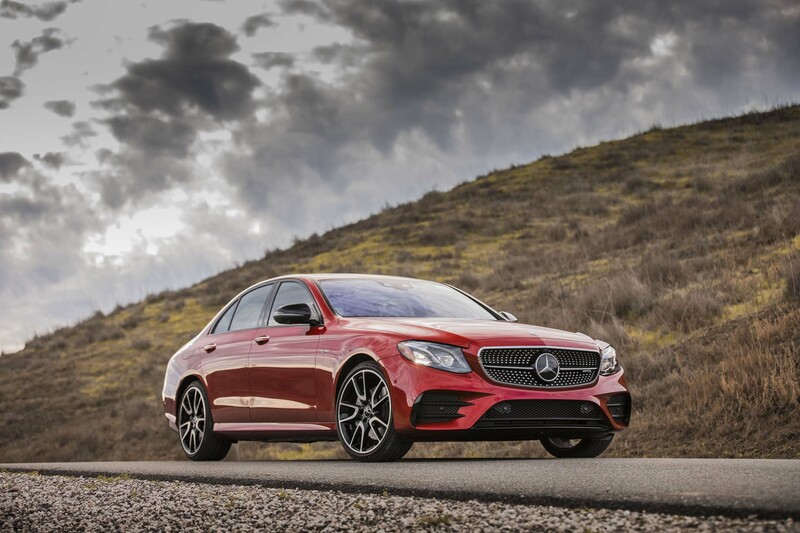 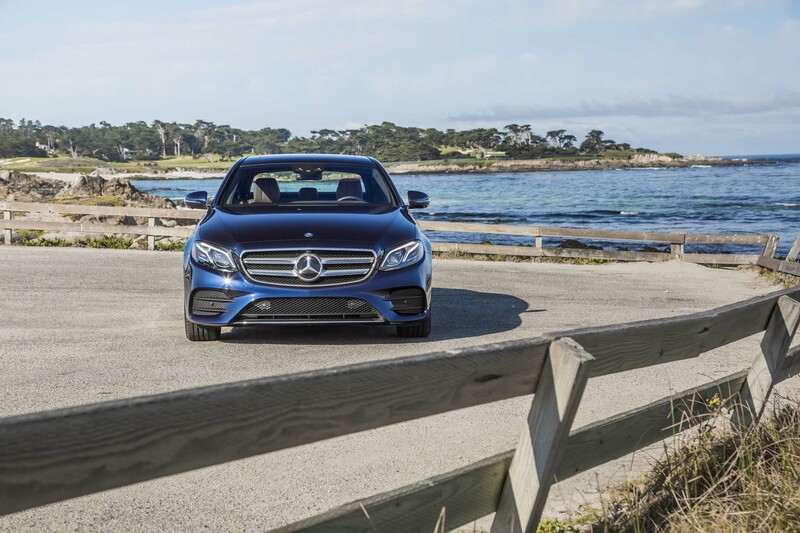 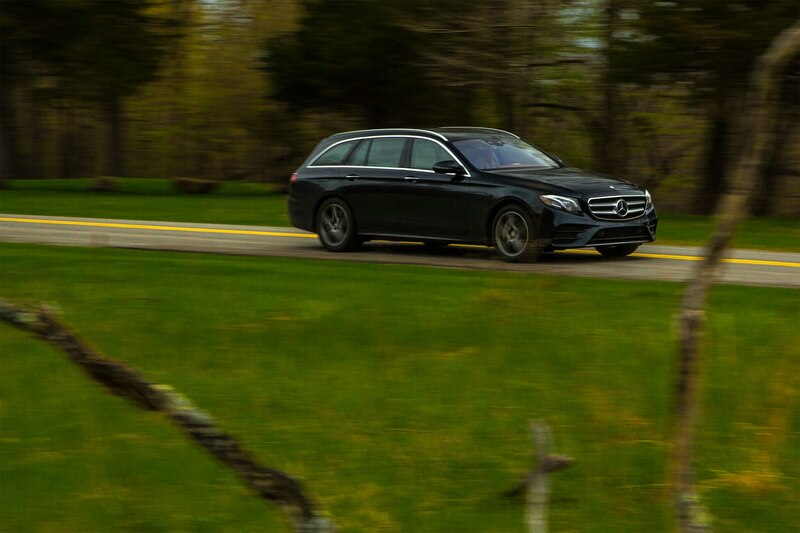 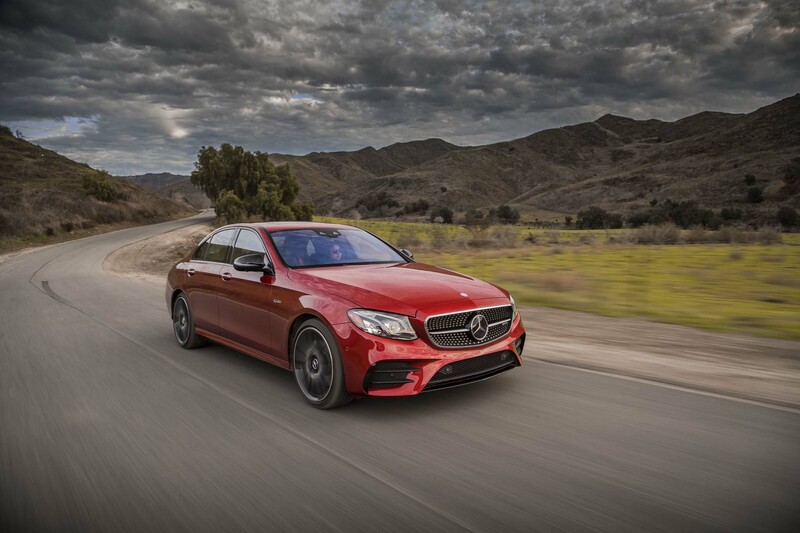 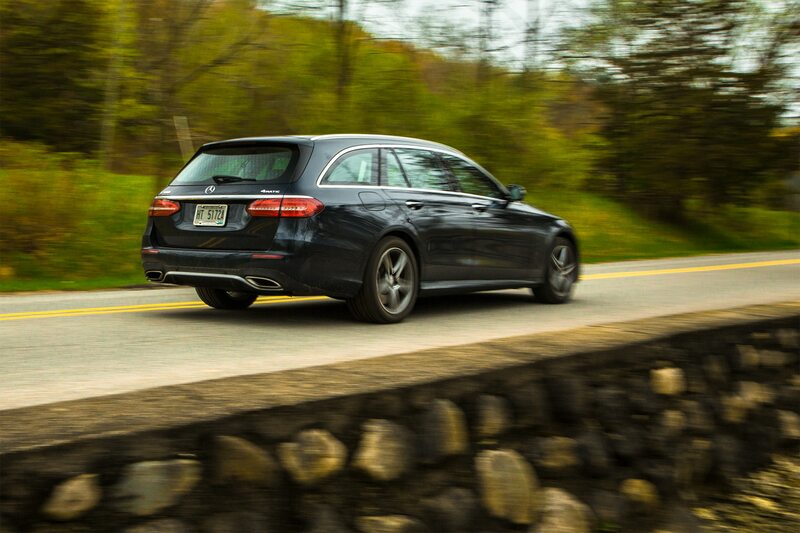 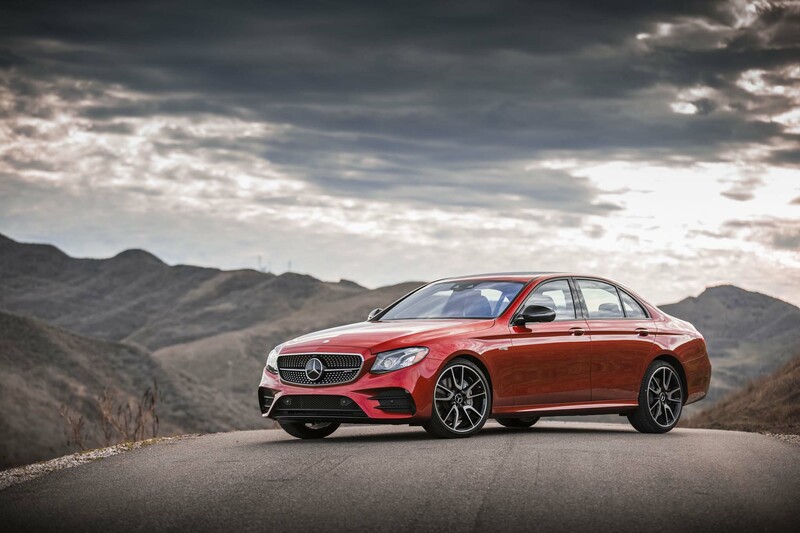 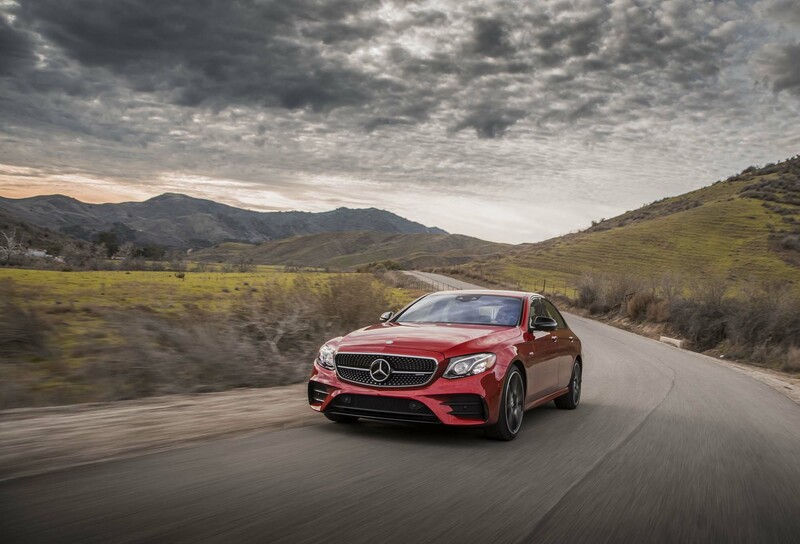 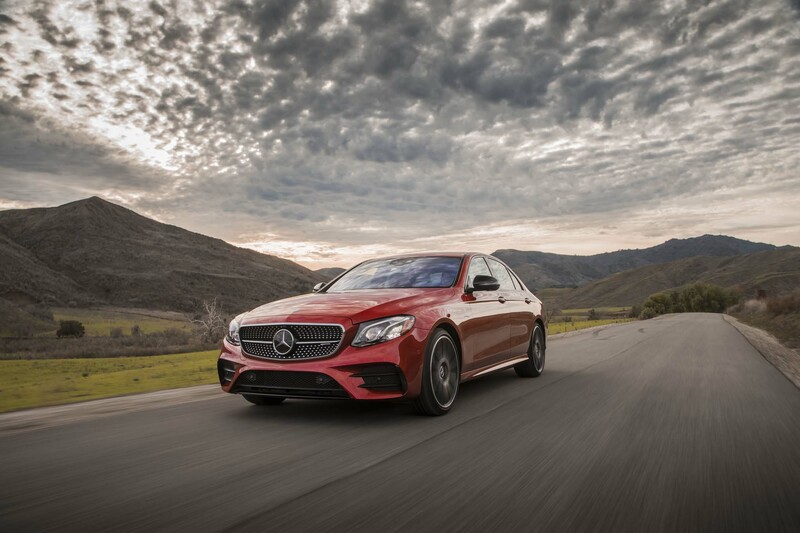 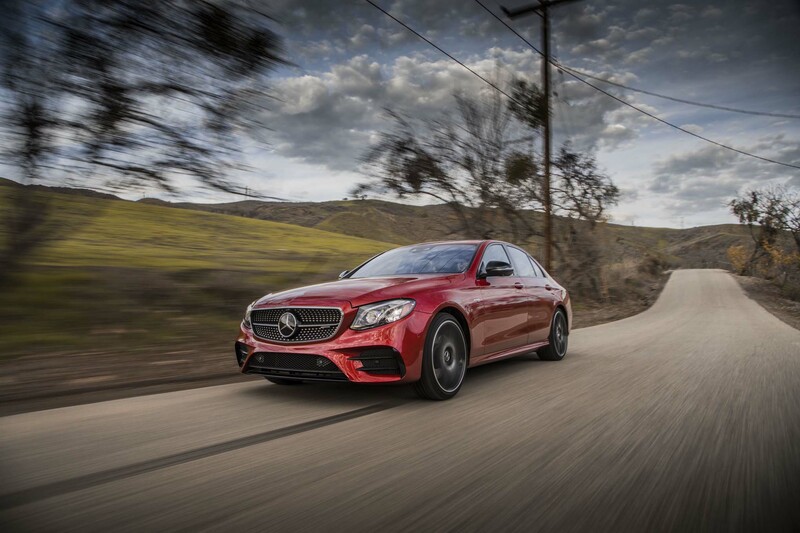 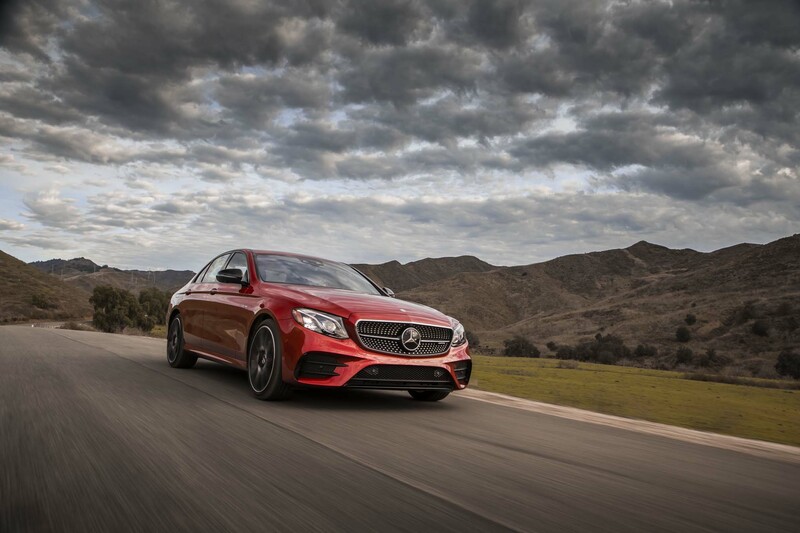 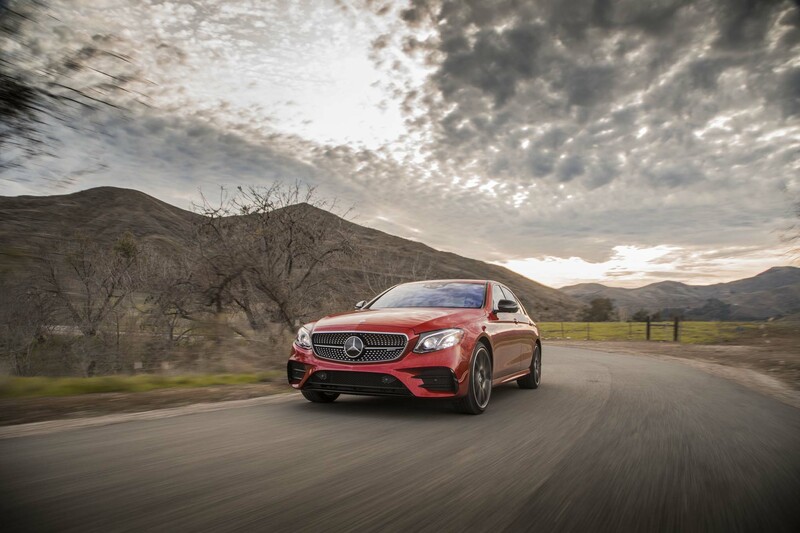 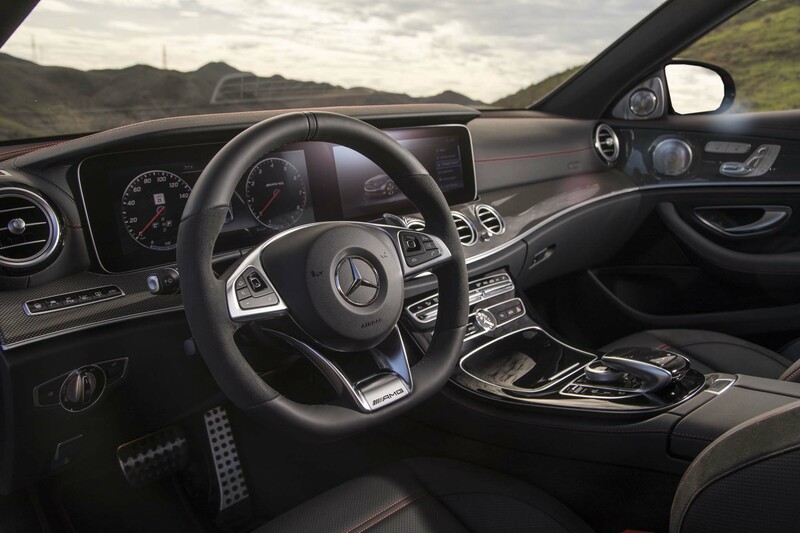 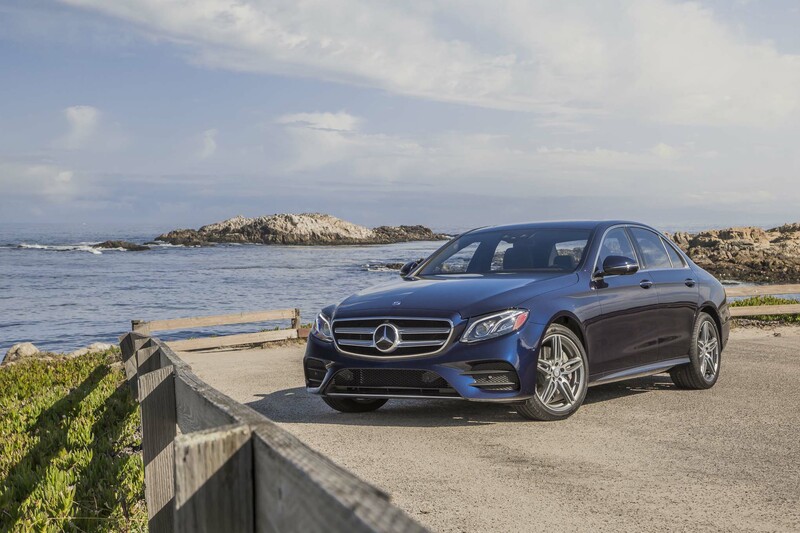 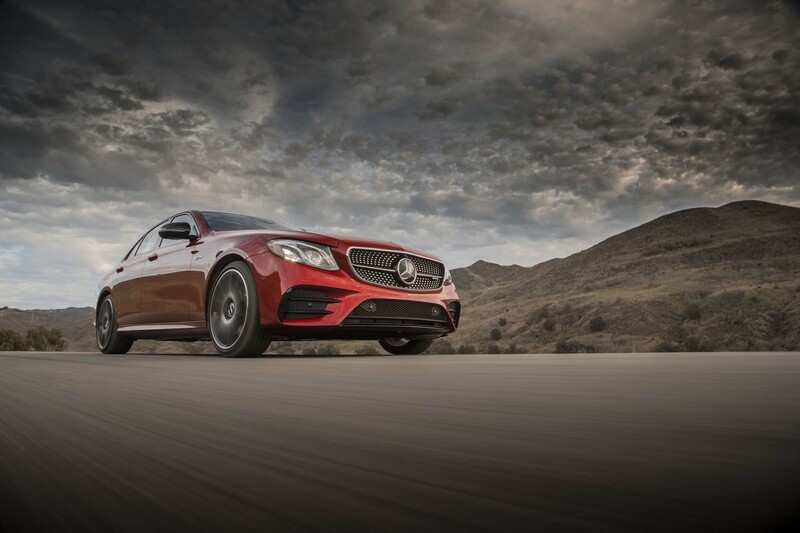 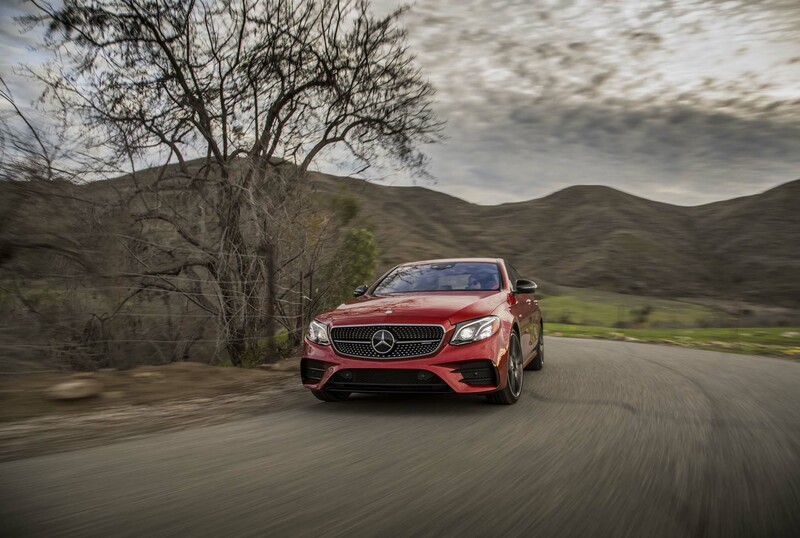 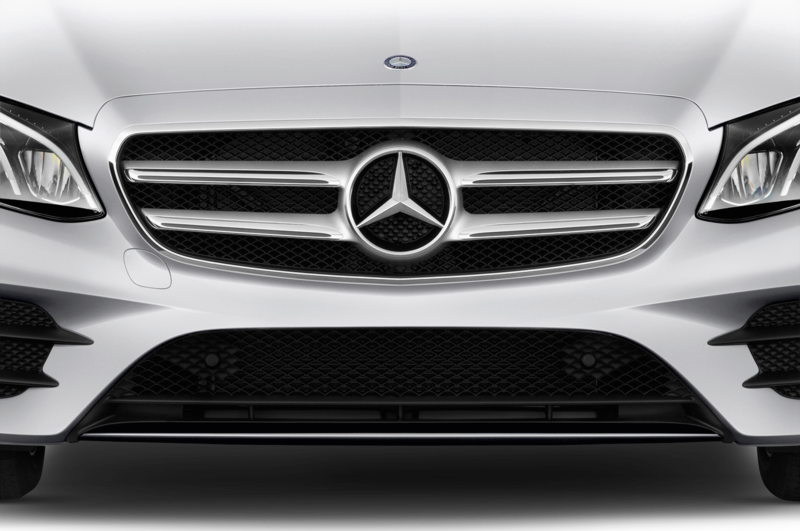 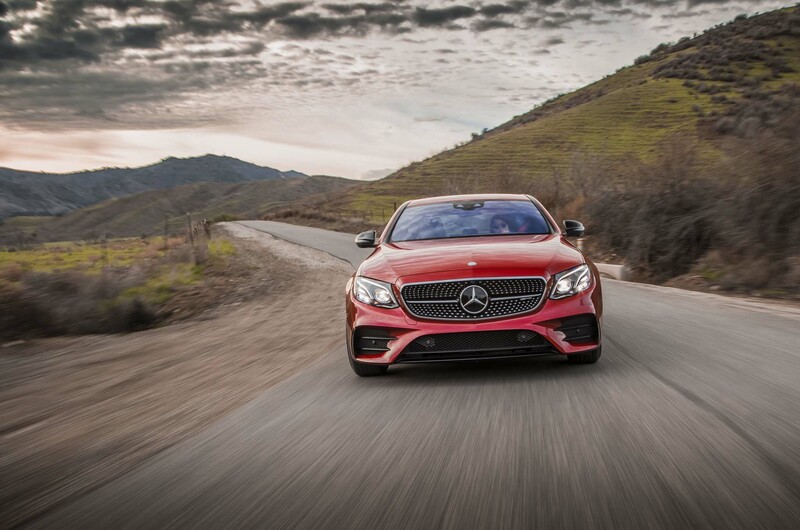 Although the Wagon adds capacious three-row utility to the E-Class along with the sort-of-shooting-brake flavor many enthusiasts love, there’s “sport” conceit to be found. 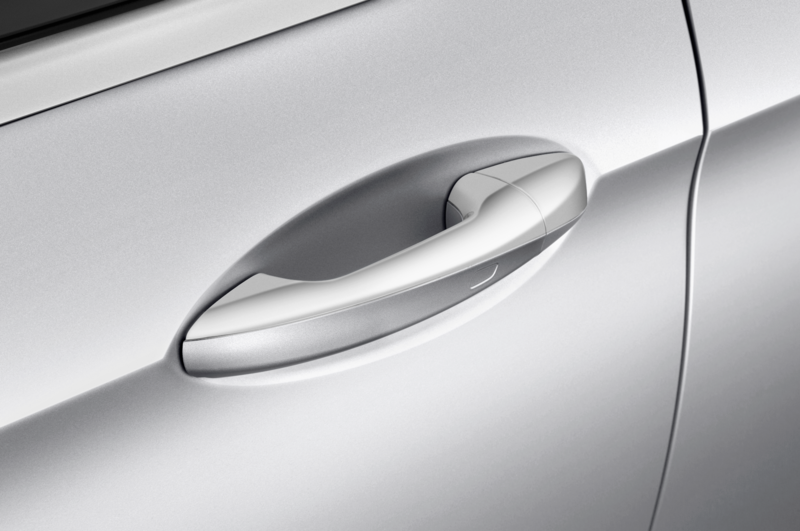 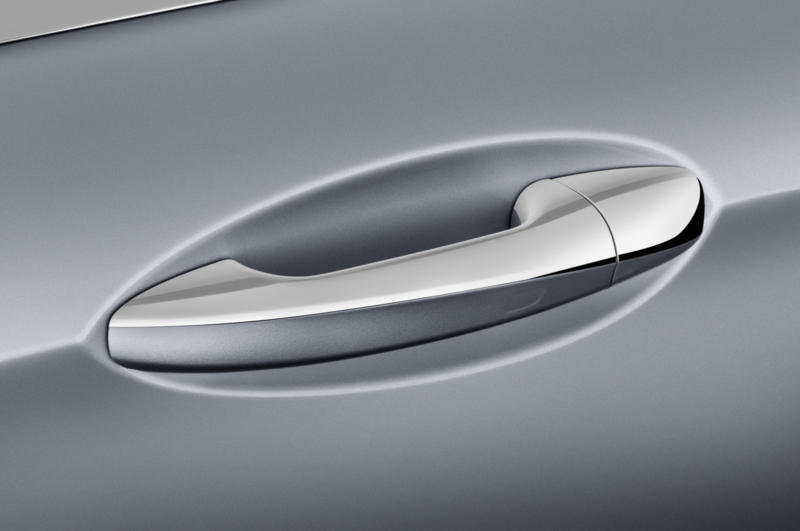 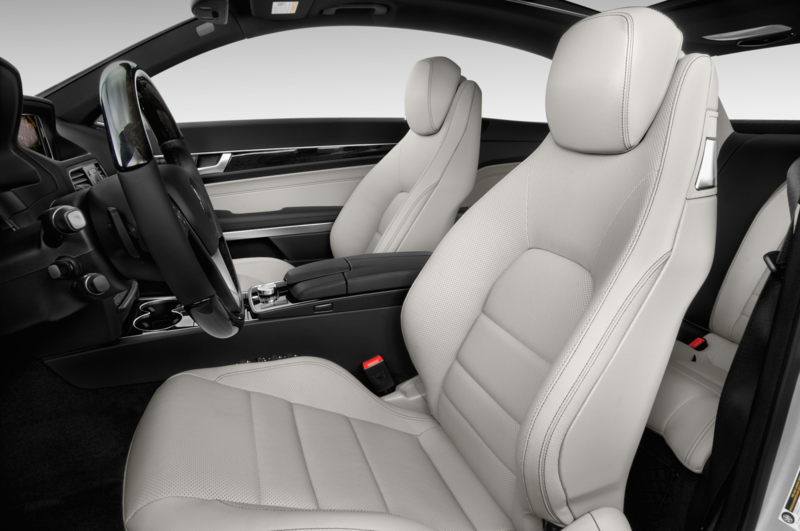 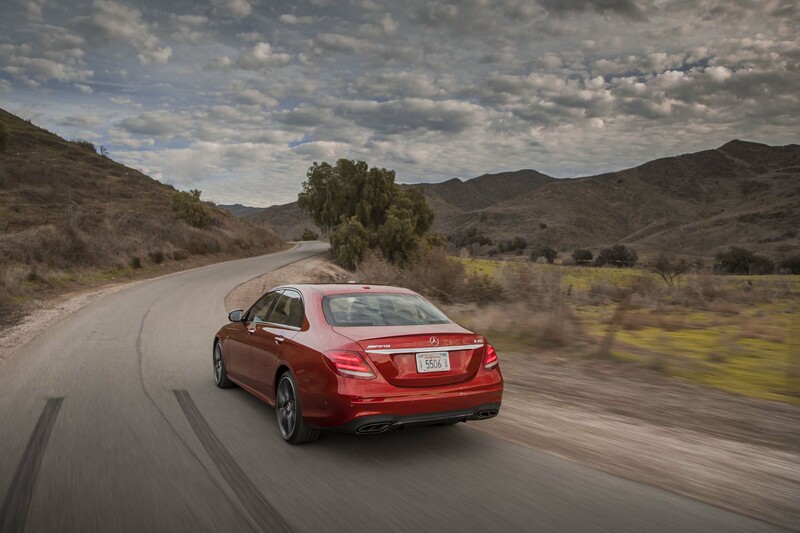 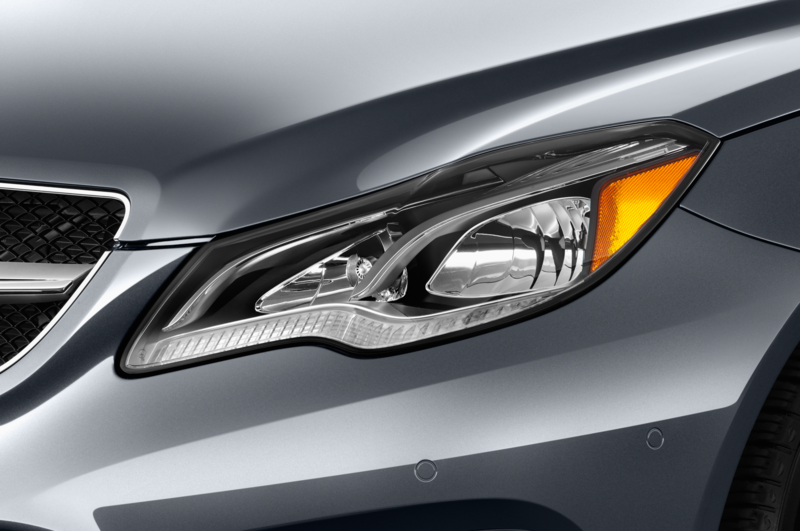 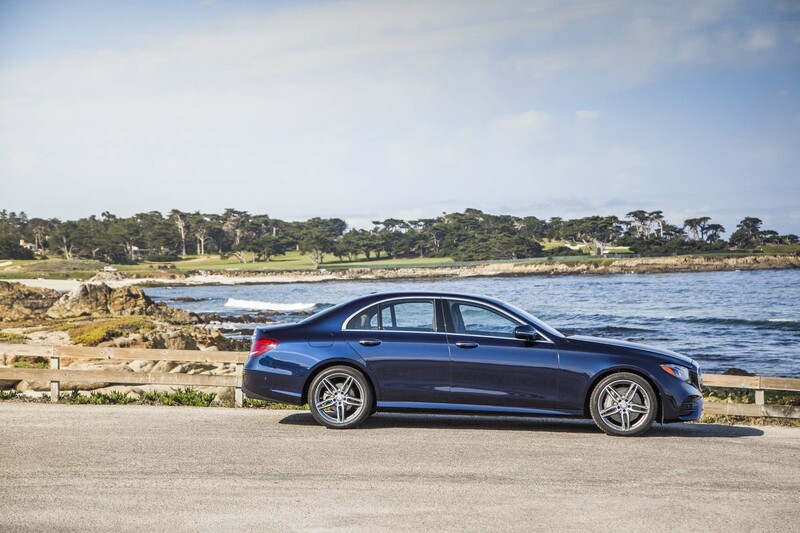 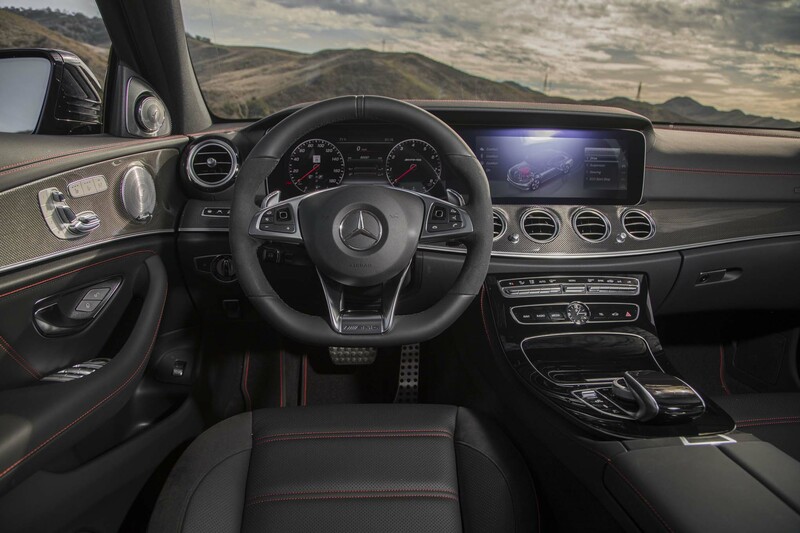 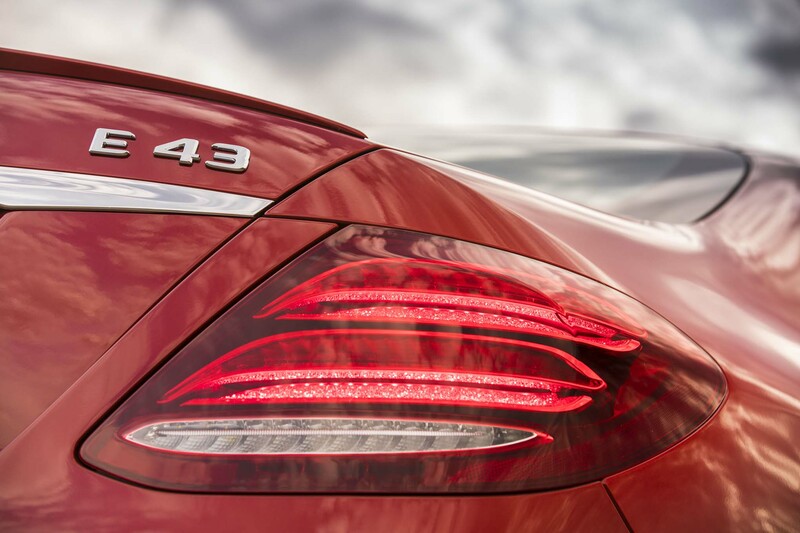 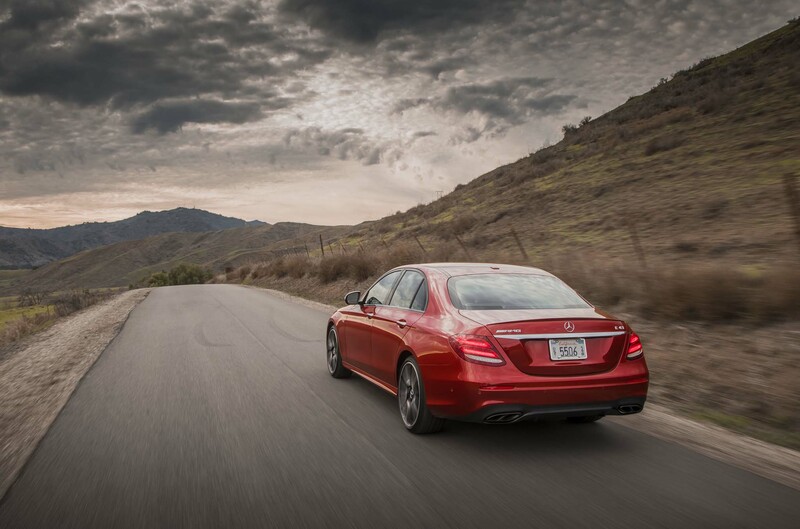 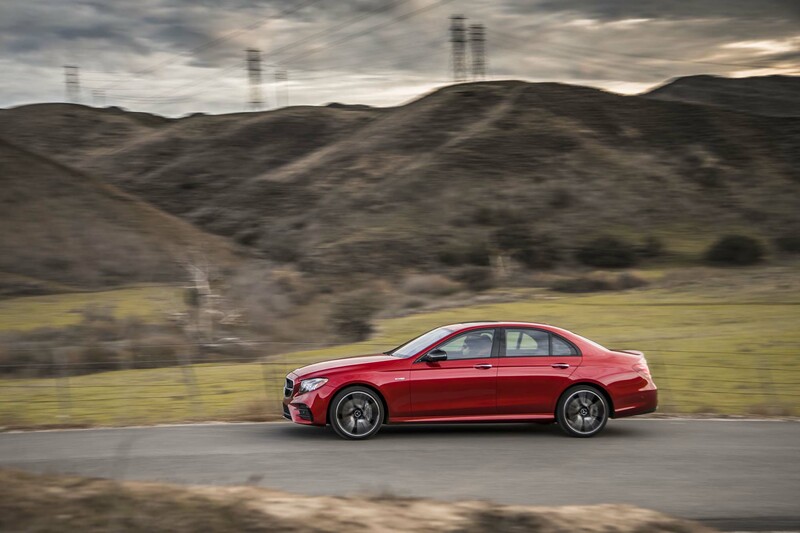 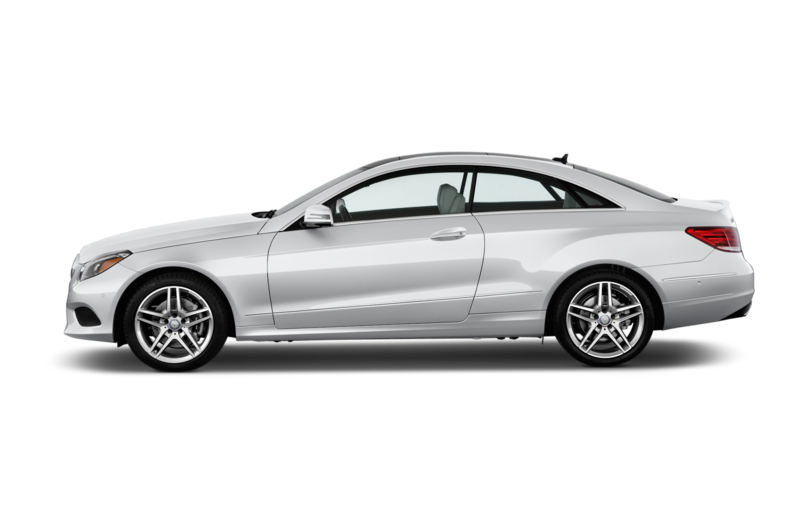 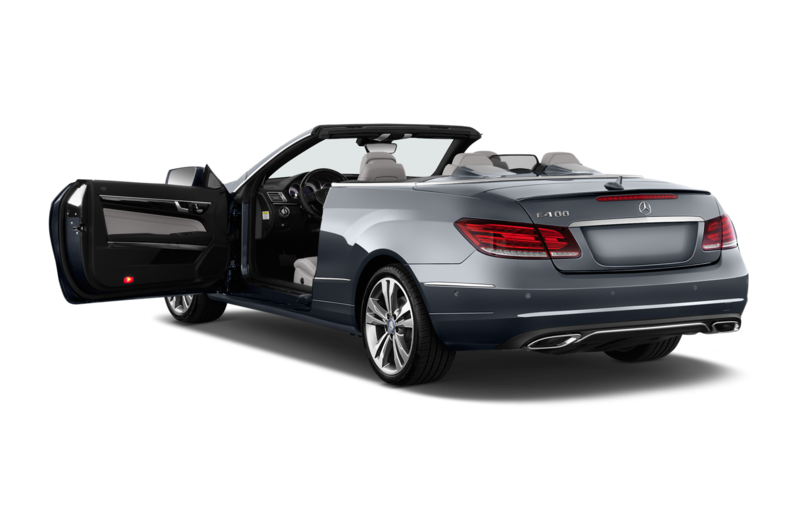 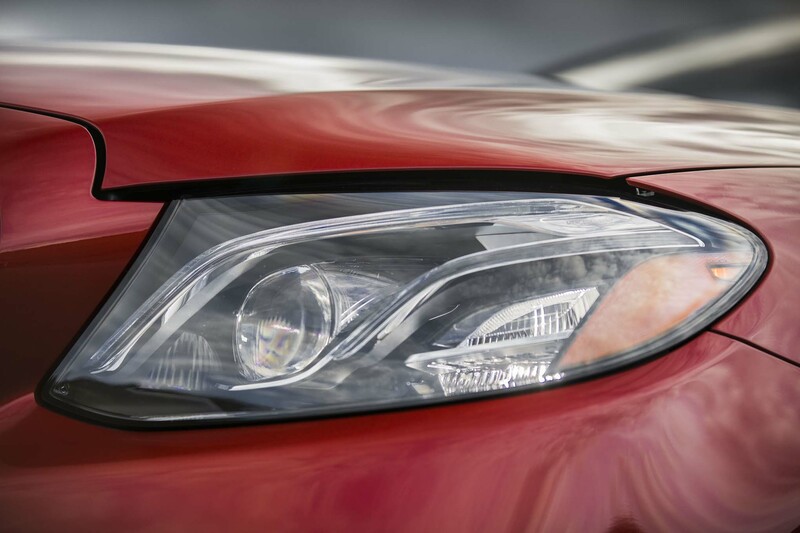 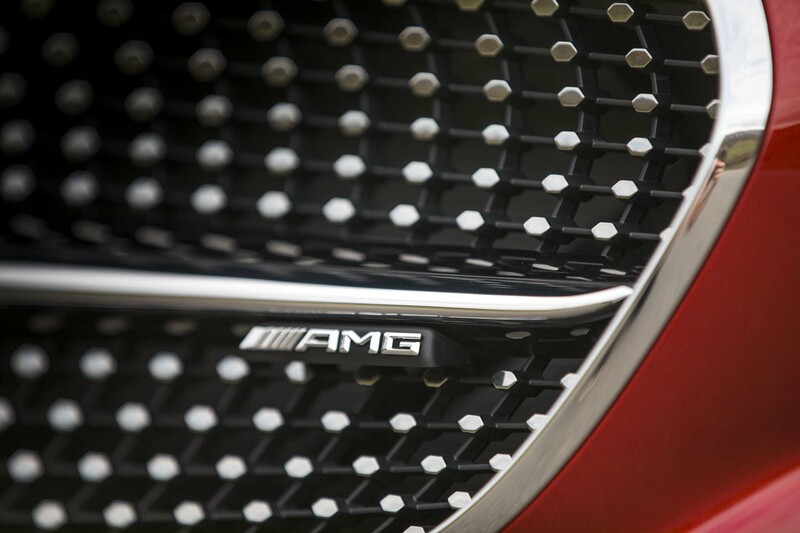 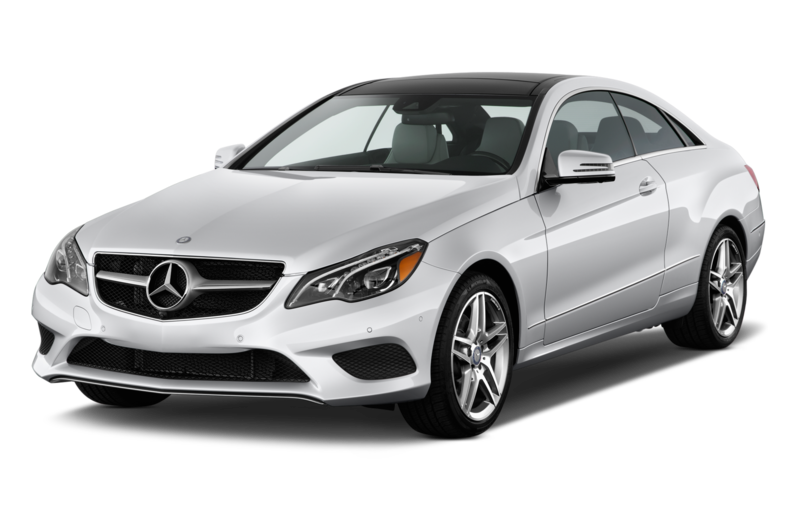 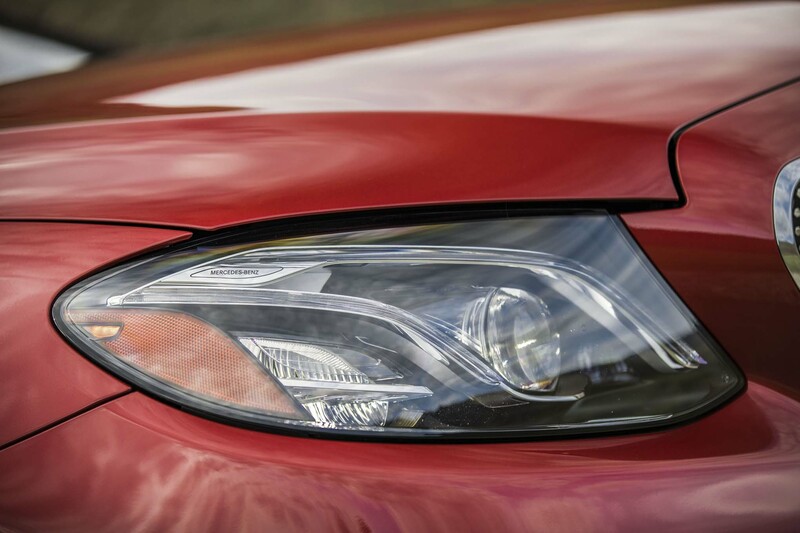 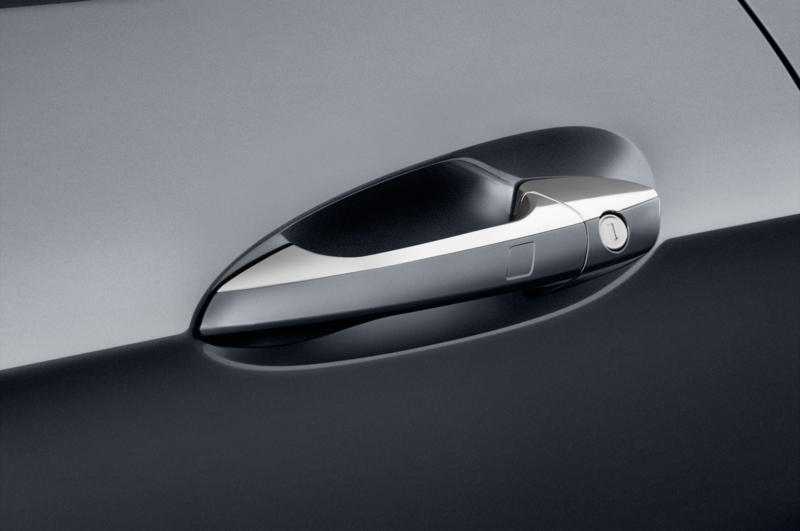 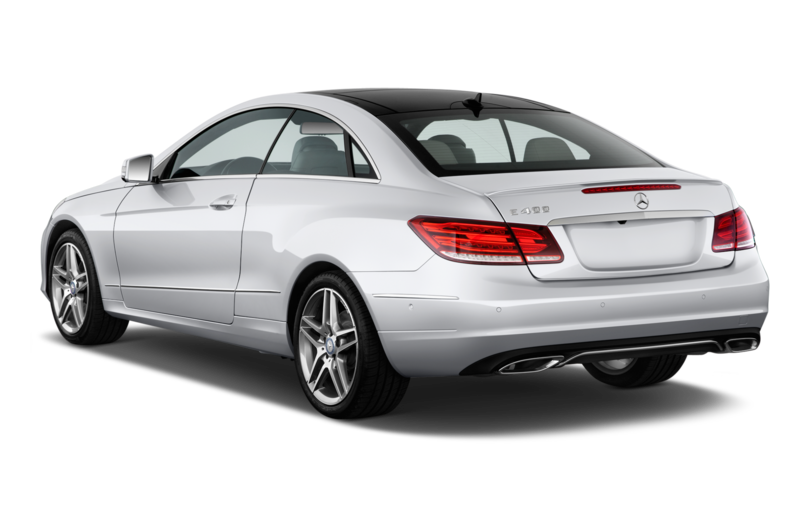 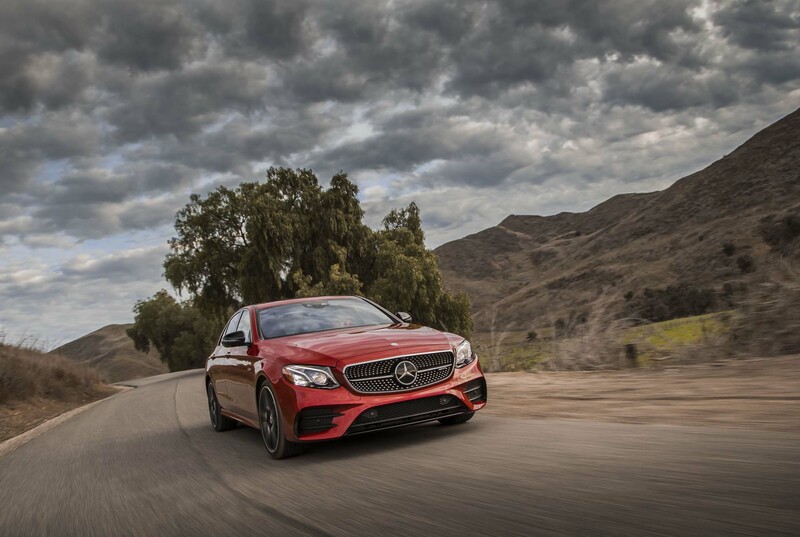 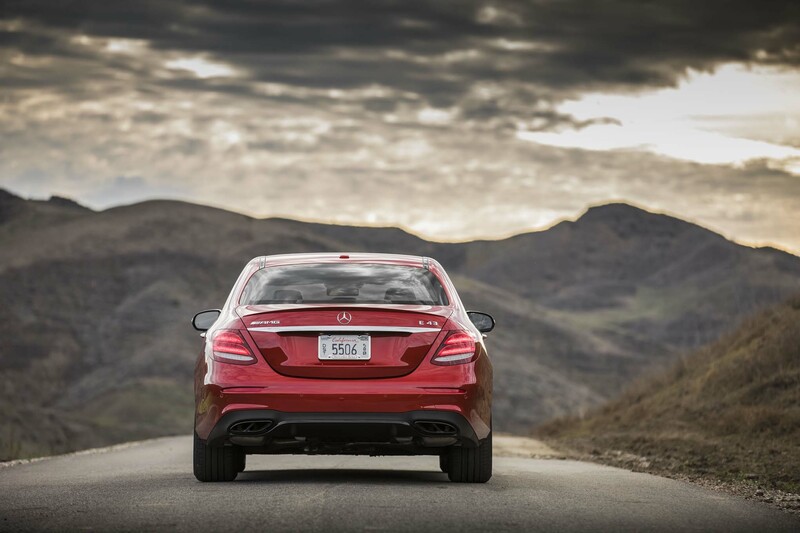 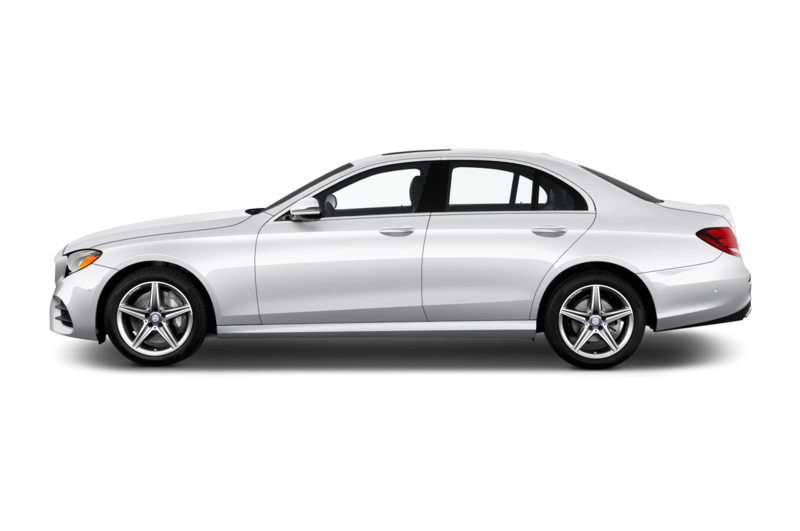 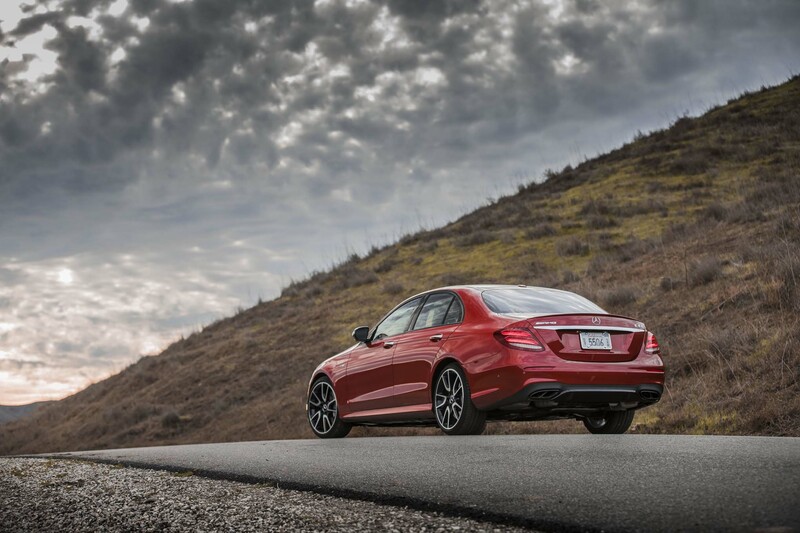 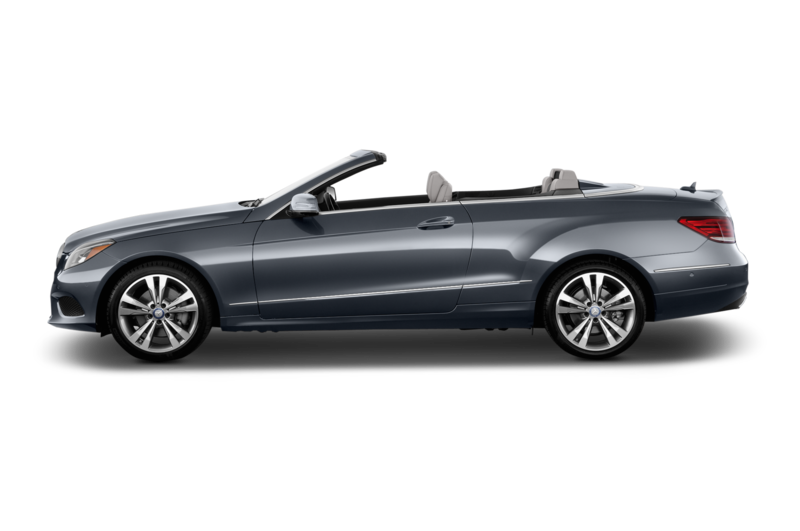 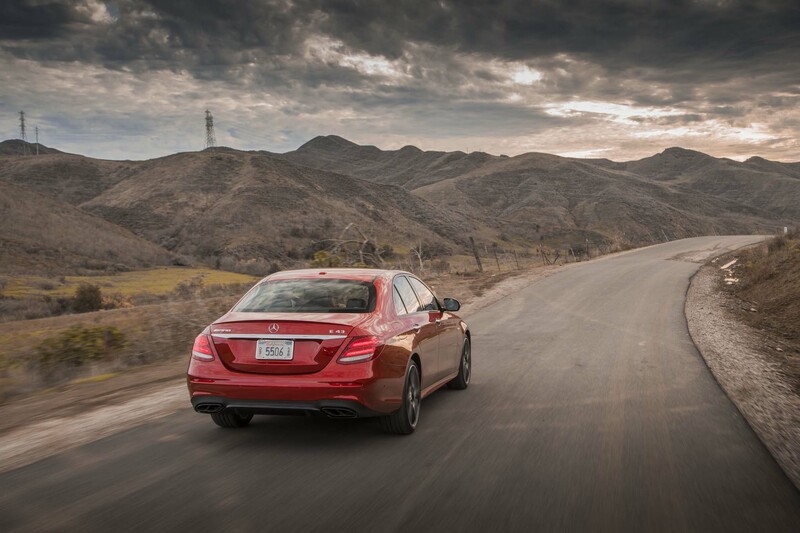 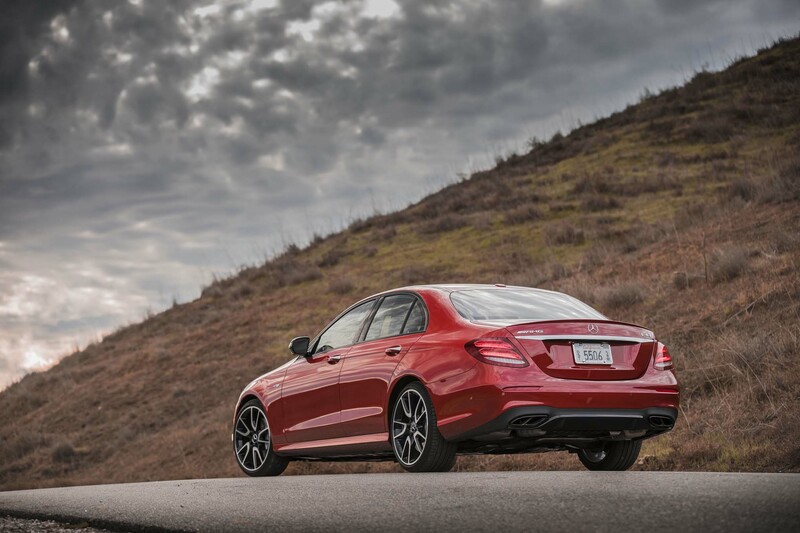 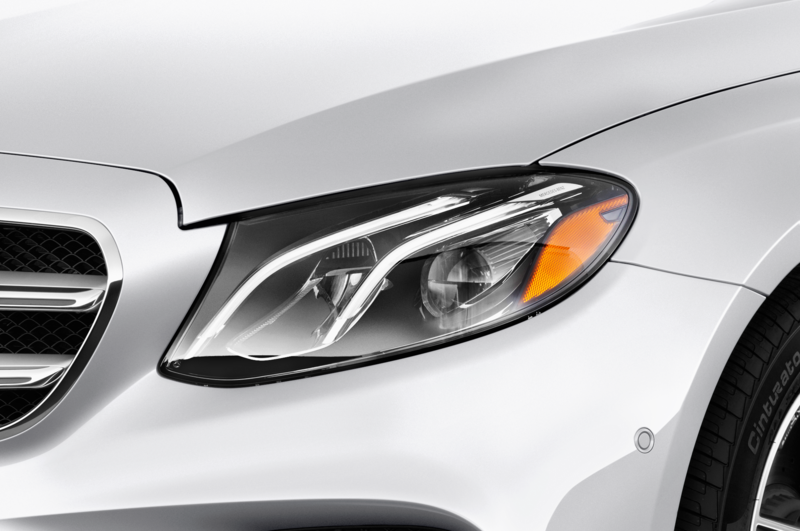 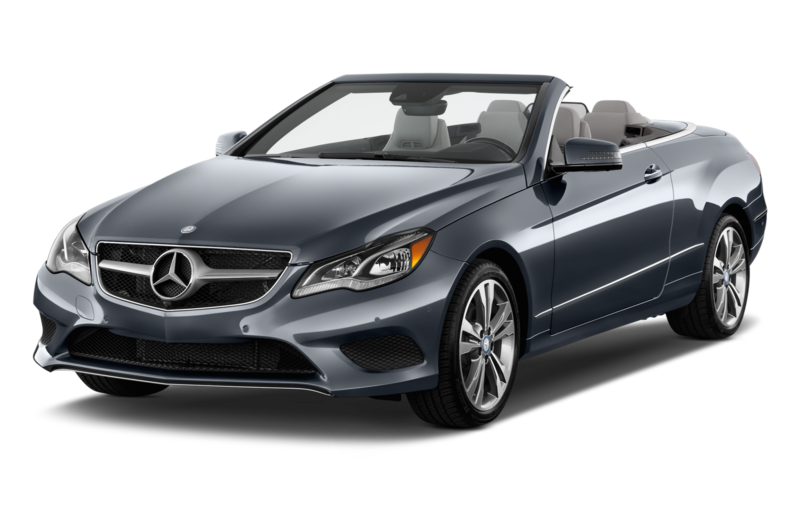 Nevertheless, ride and handling is as good as it gets for a modern midsize luxury car. 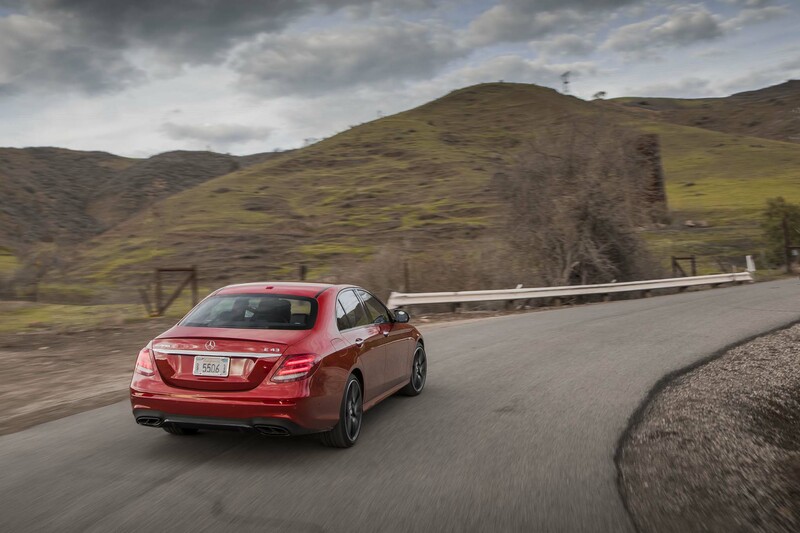 There’s marginal roll and minimal understeer in corners. 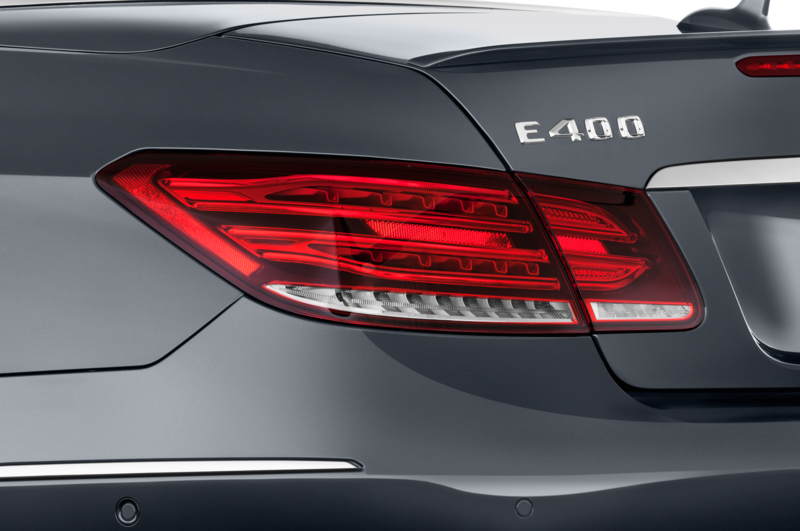 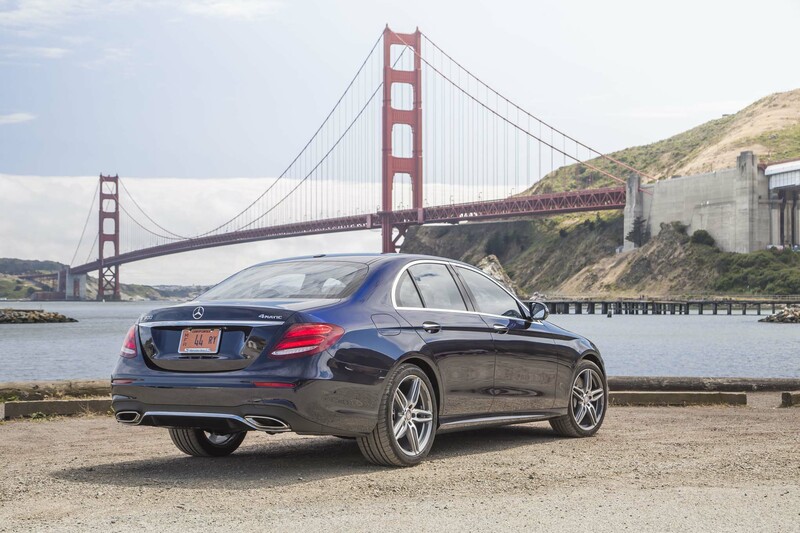 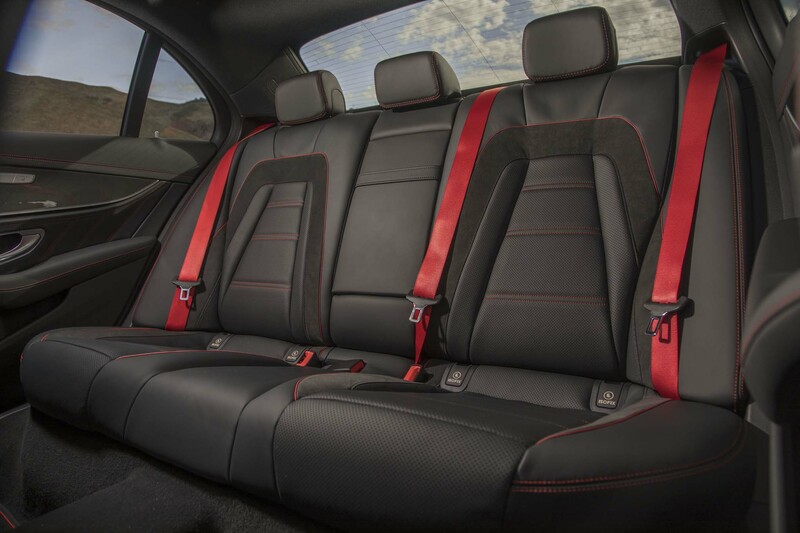 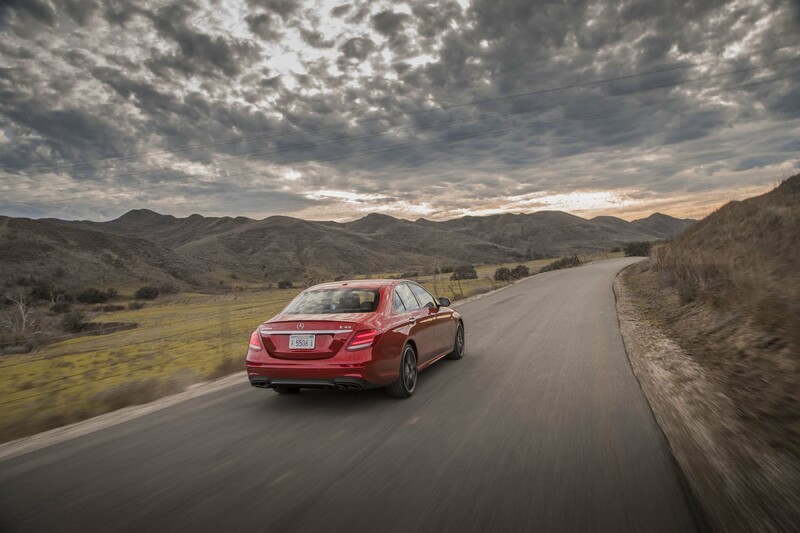 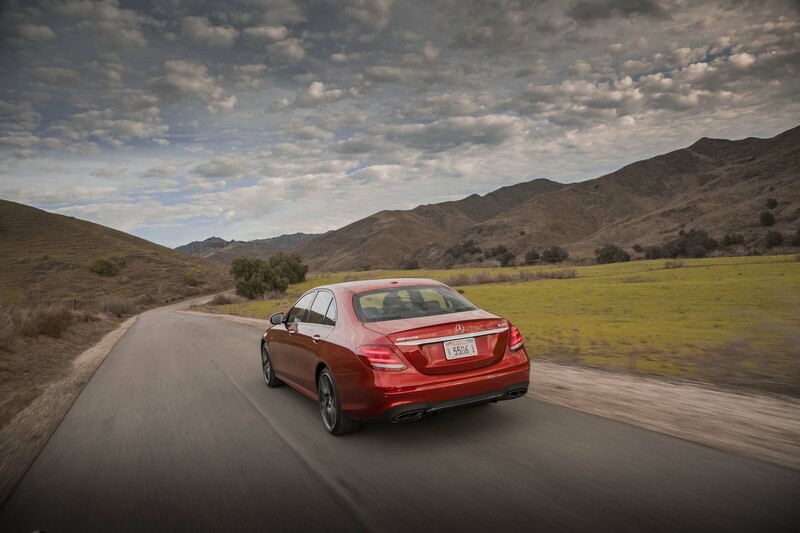 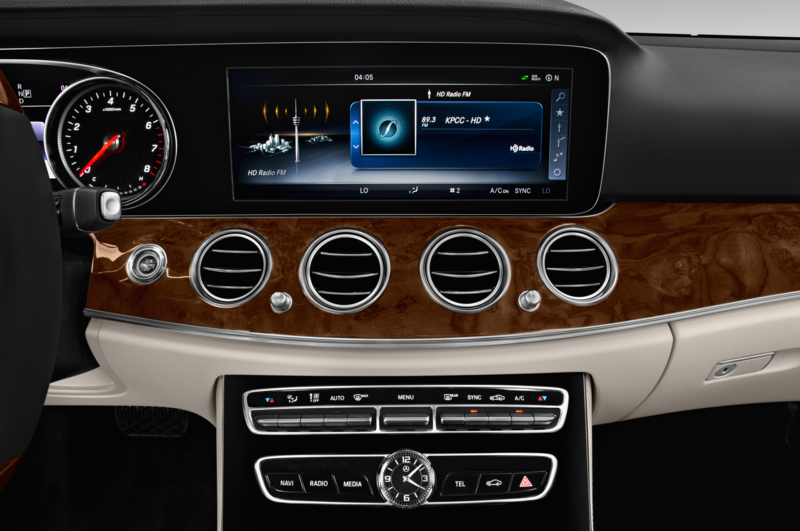 Even in “Sport+,” the E400’s ride is reasonably comfortable. 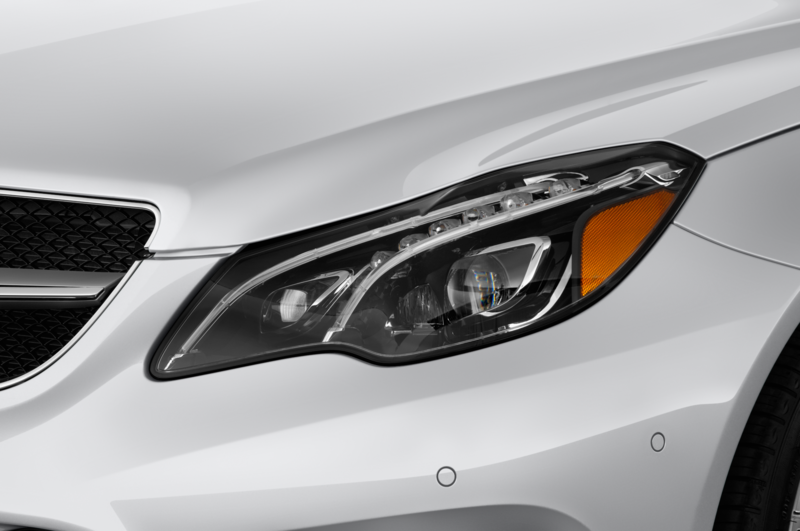 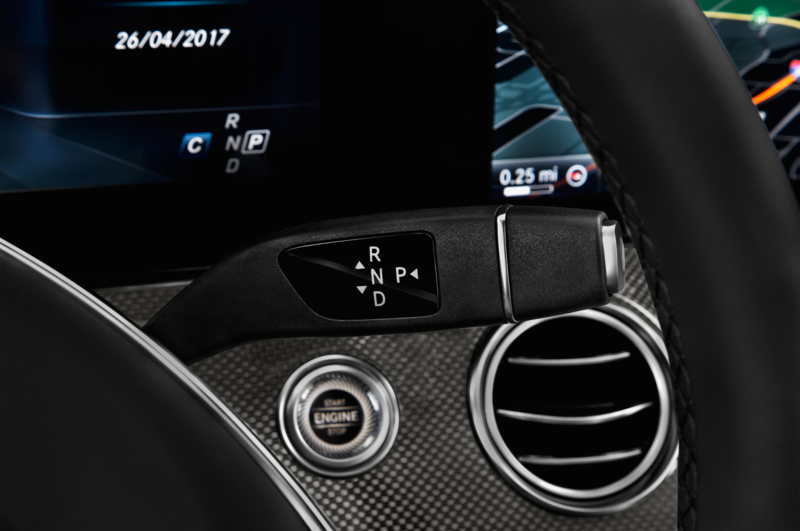 The dynamic settings are the sort of feature most buyers will try once before settling on the perfectly buttoned down “comfort” mode. 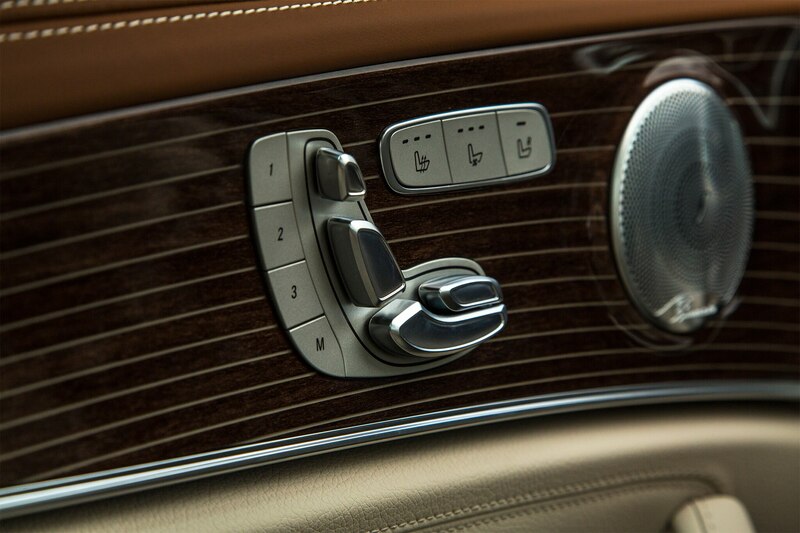 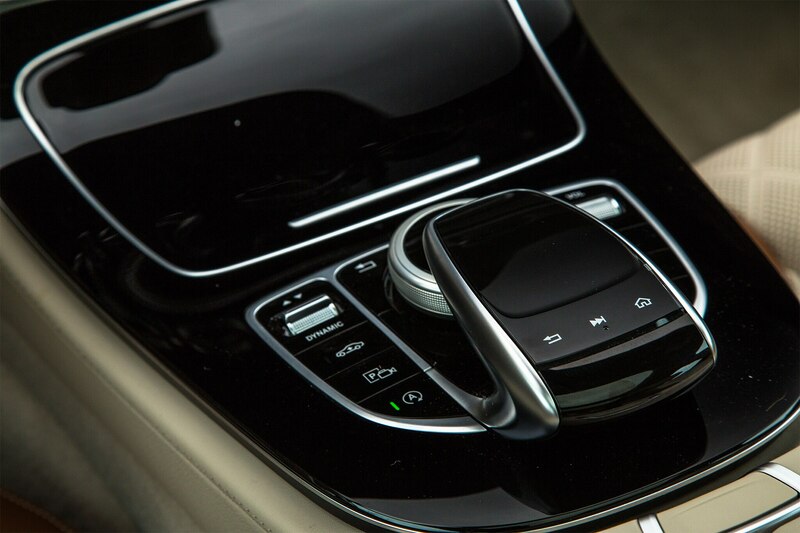 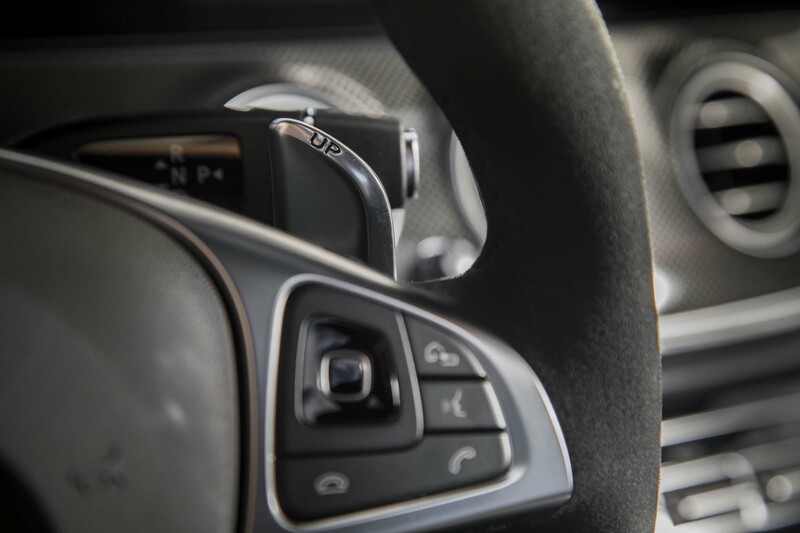 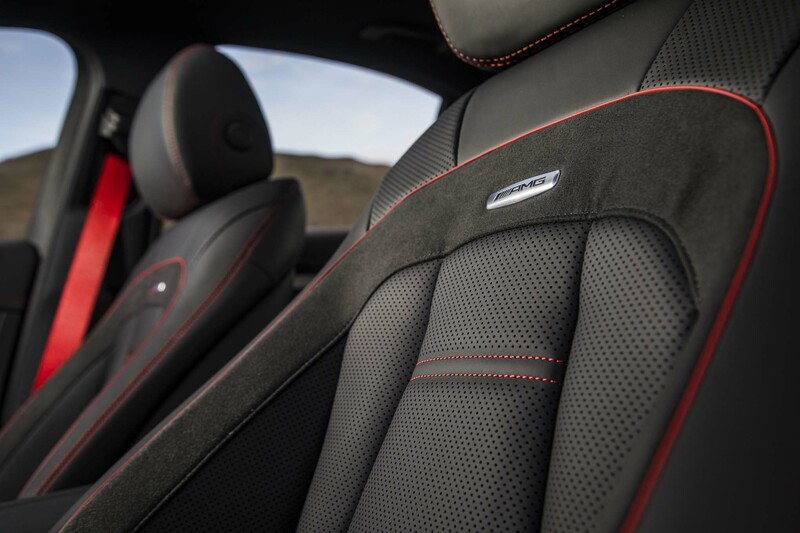 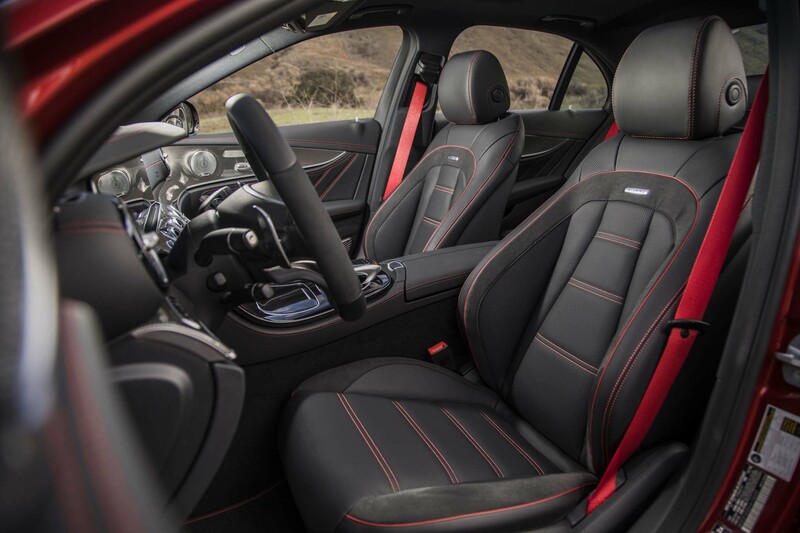 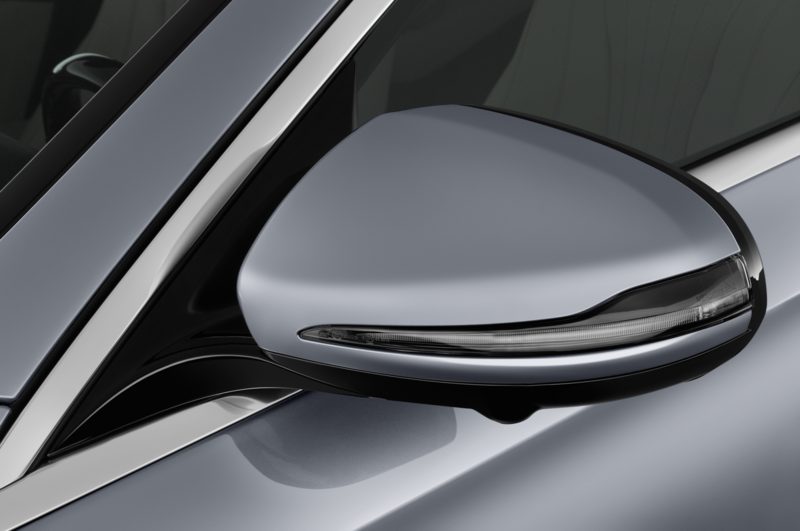 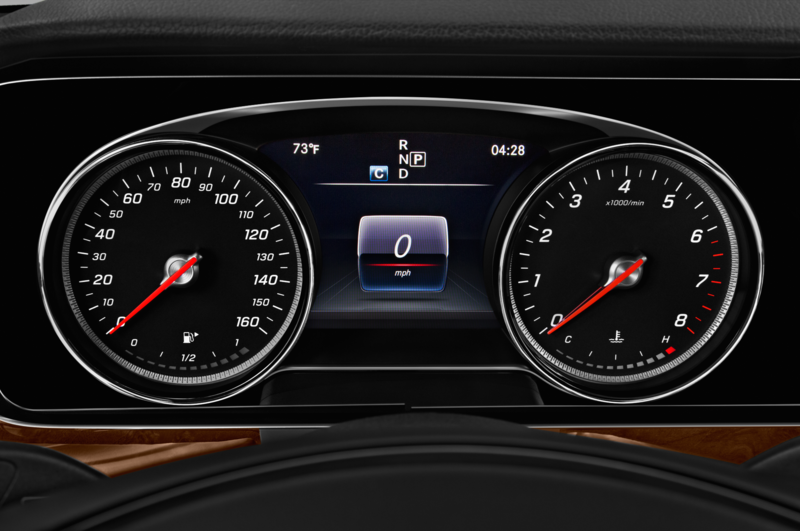 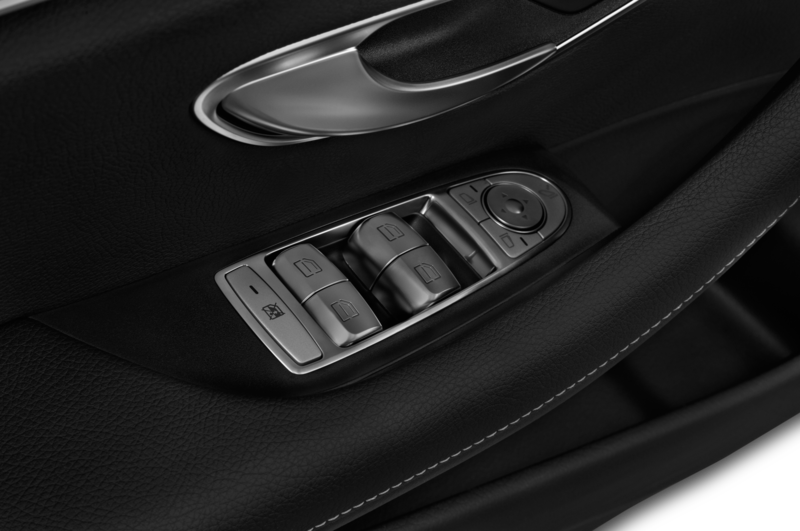 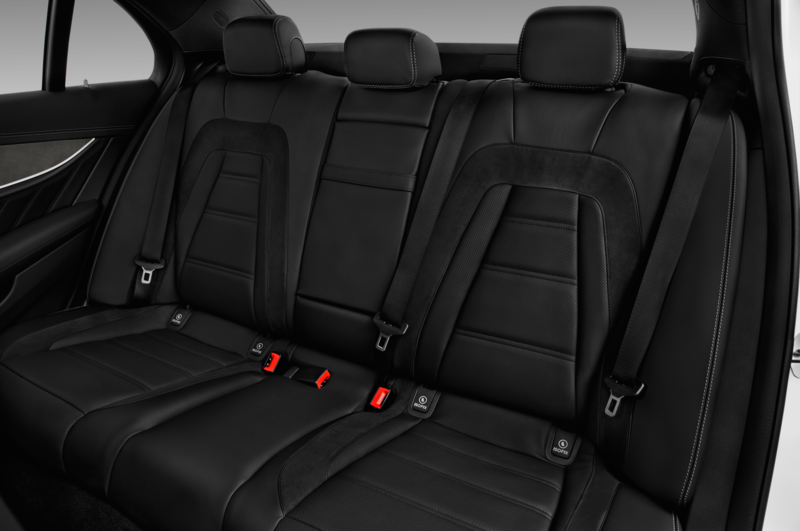 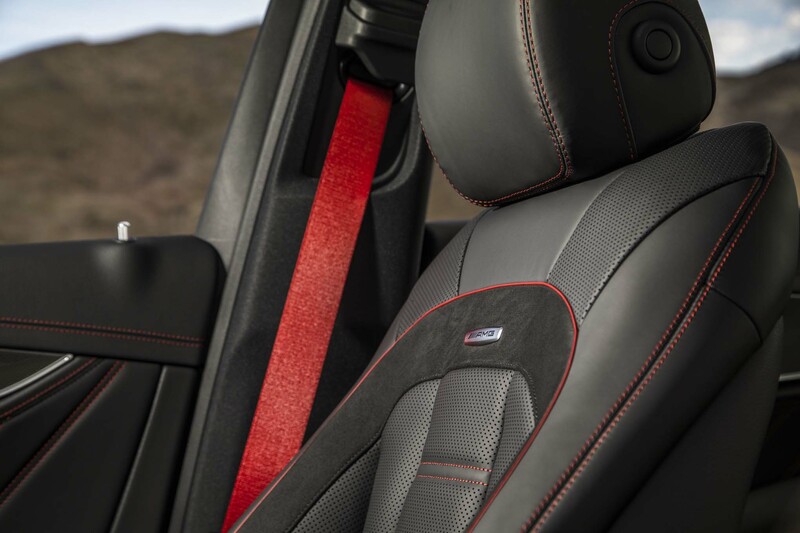 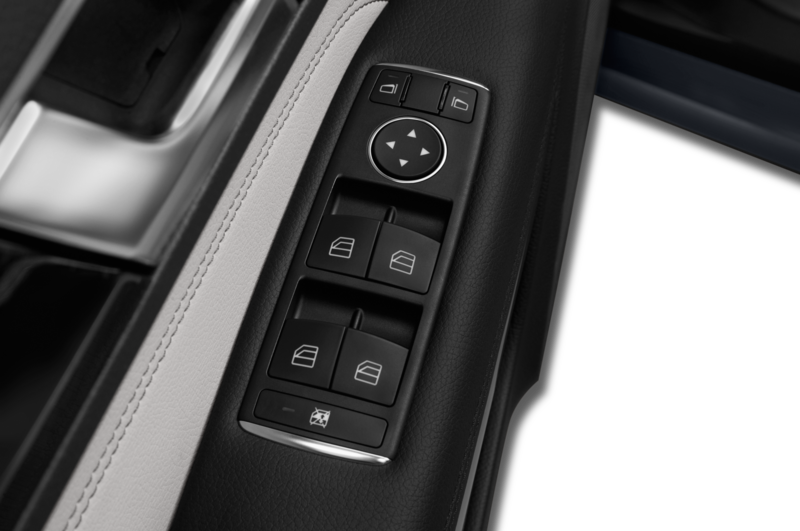 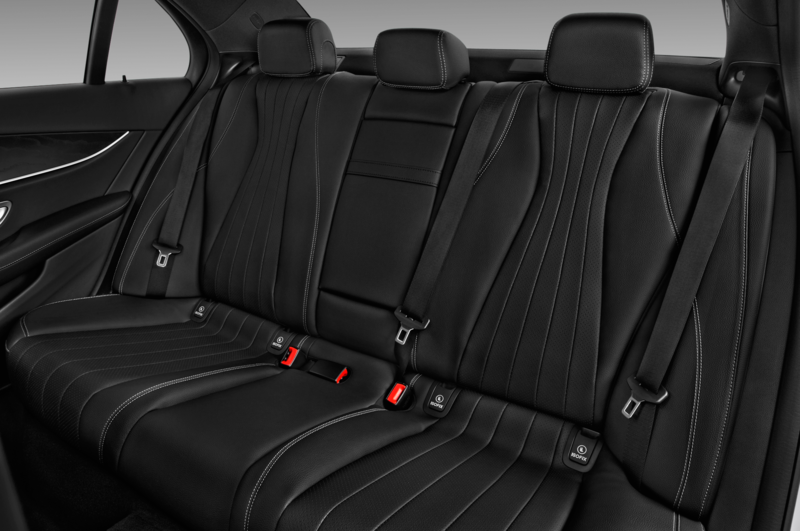 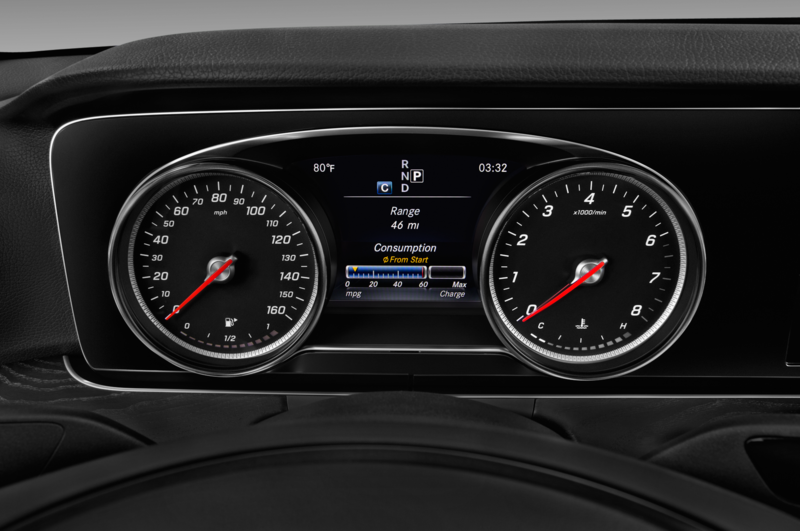 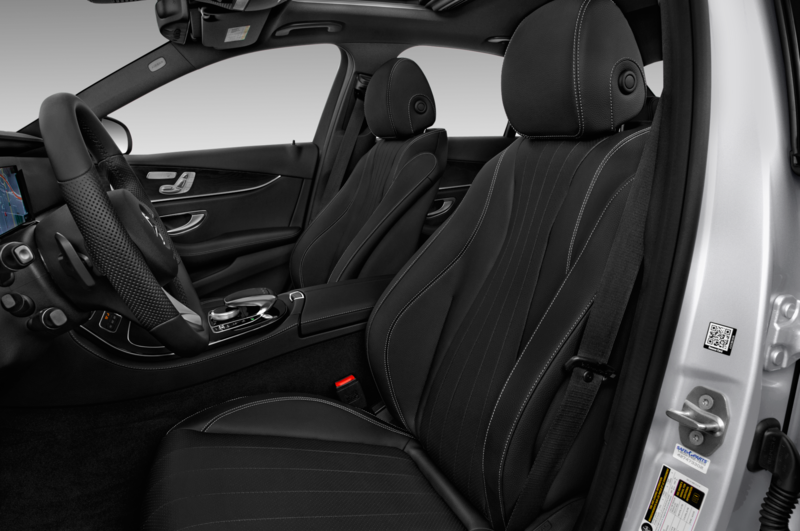 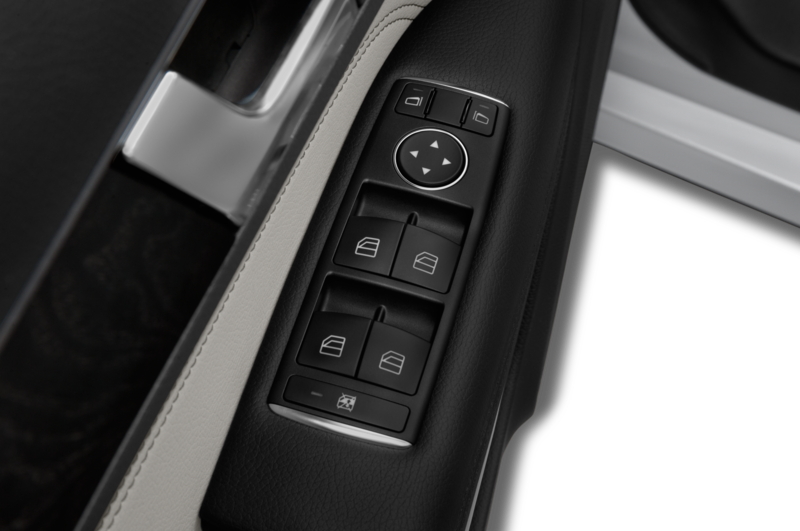 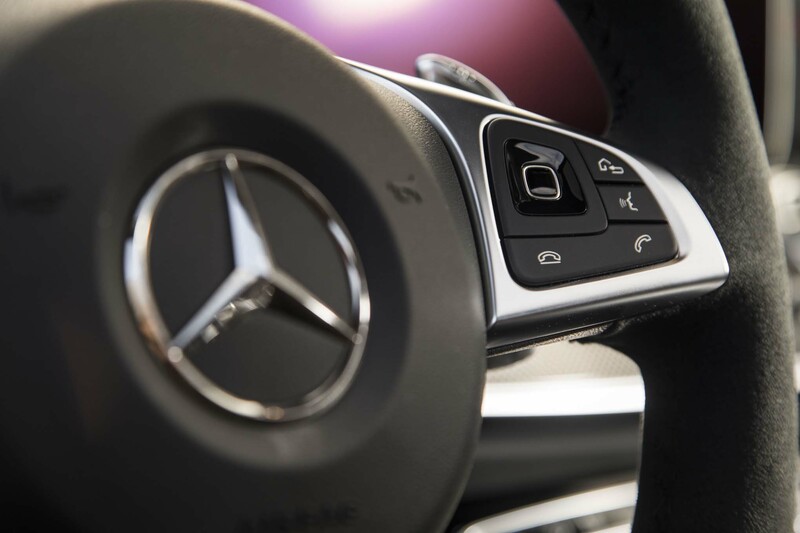 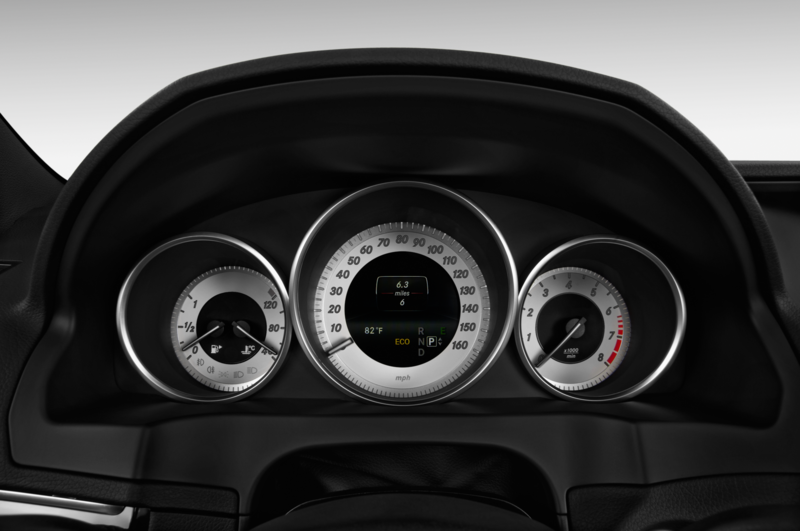 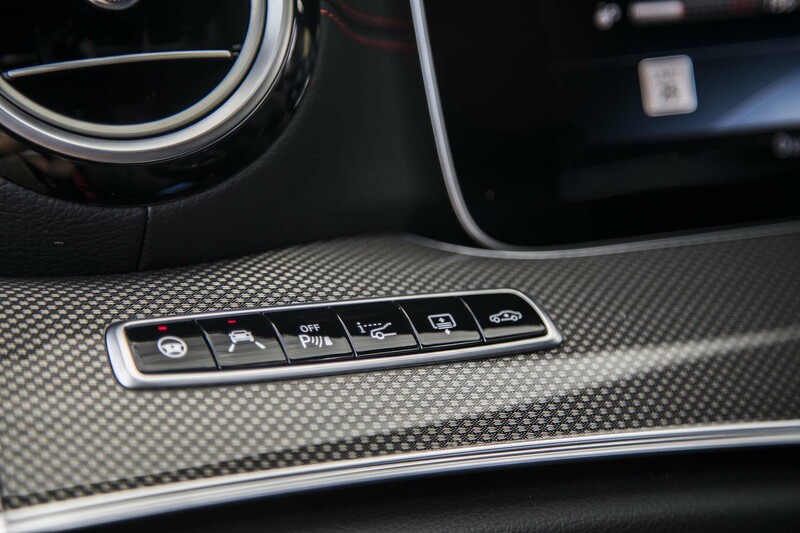 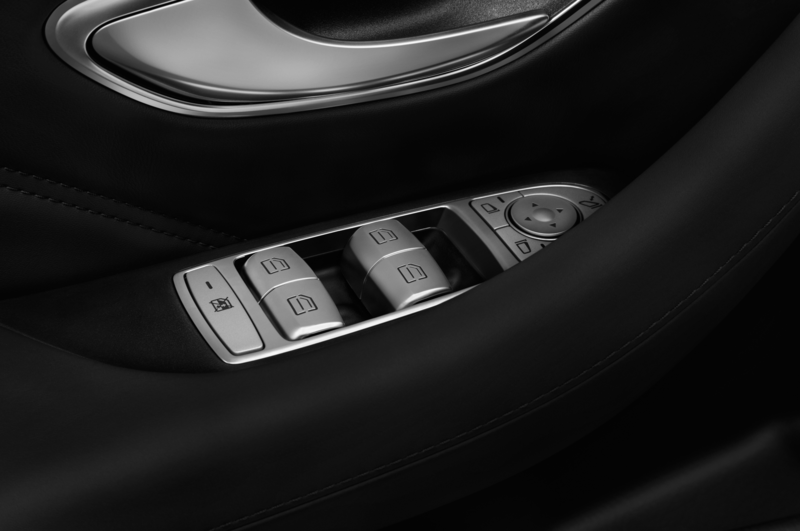 Except “Comfort” starts the E-Wagon from a stop in second gear, while “Sport” and “Sport+” launch in first. 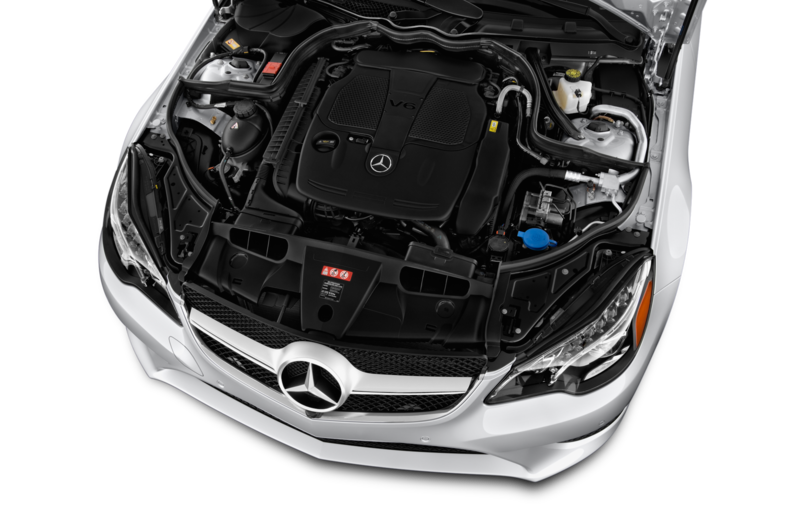 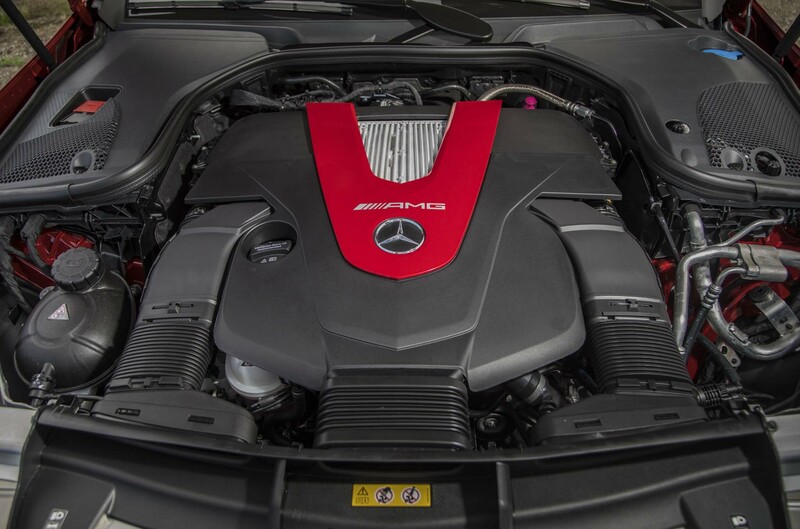 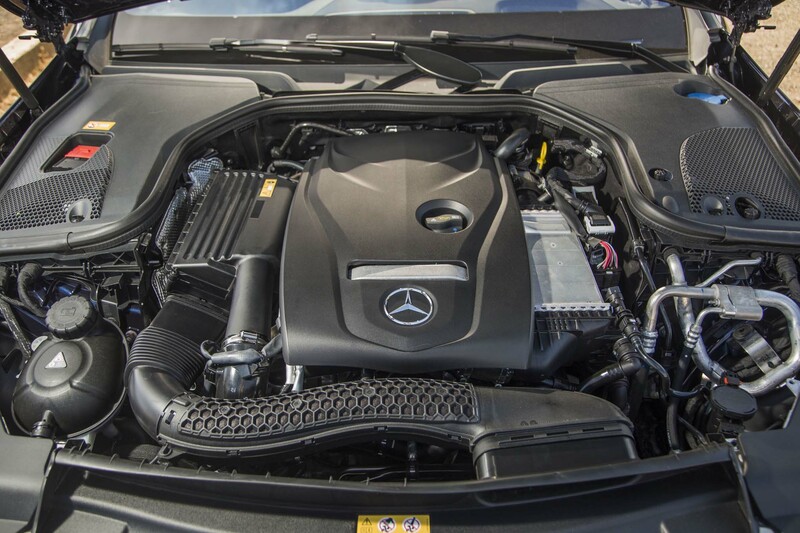 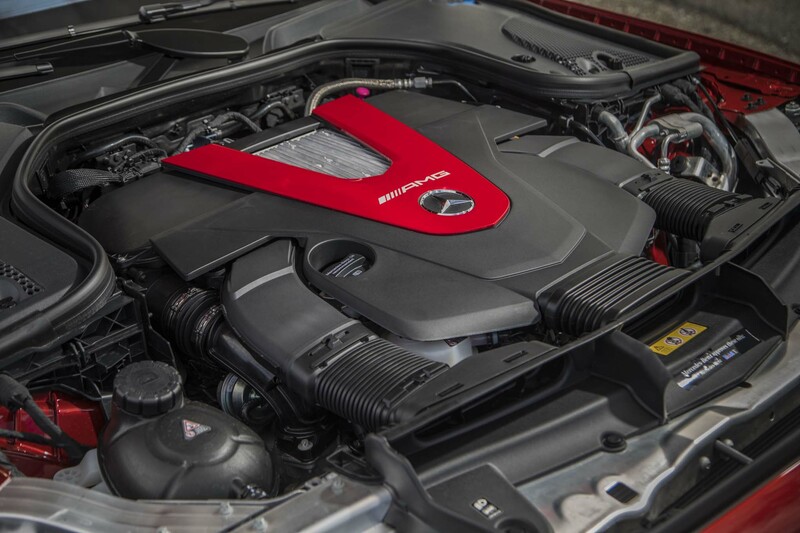 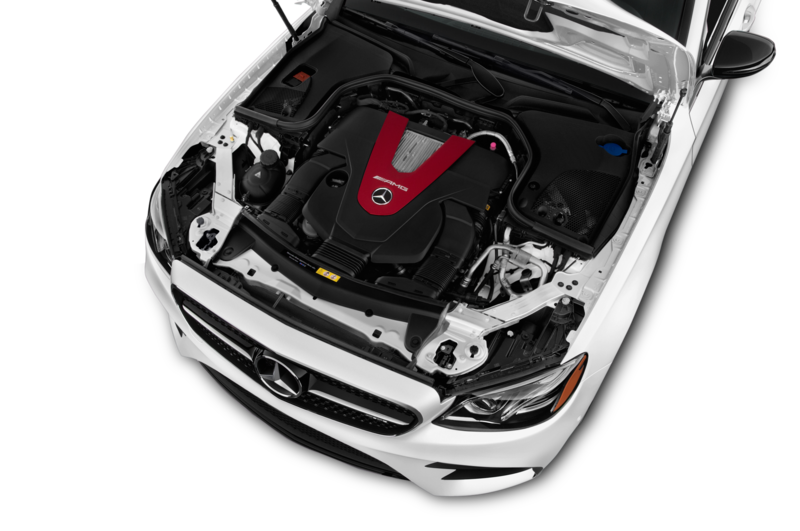 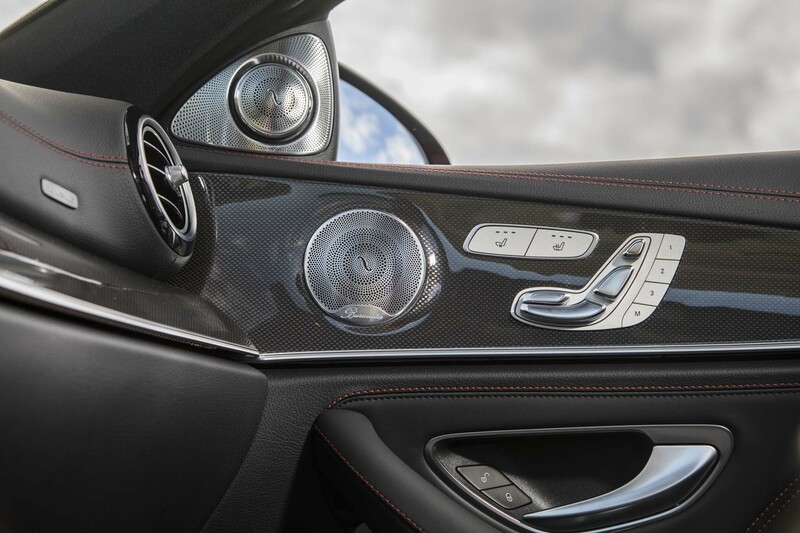 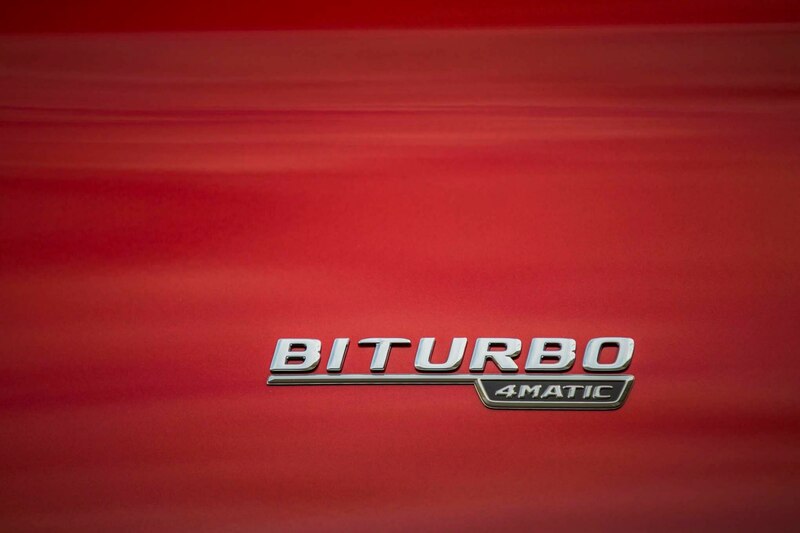 The twin-turbo V-6 provides sufficient oomph in second, unless you’re an enthusiast who has tried a first-gear launch. 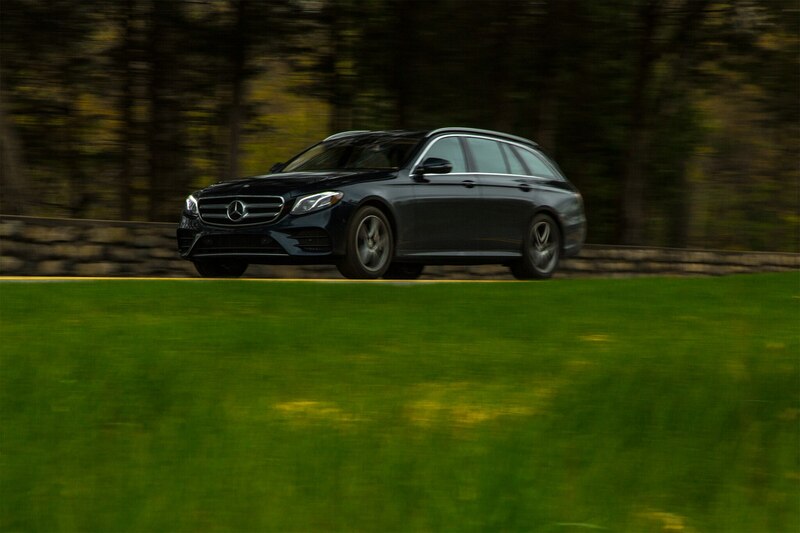 For those who would choose the twin-turbo V-6 wagon over the turbo-four sedan because it’s a wagon, that becomes a threat to matching EPA fuel economy numbers. 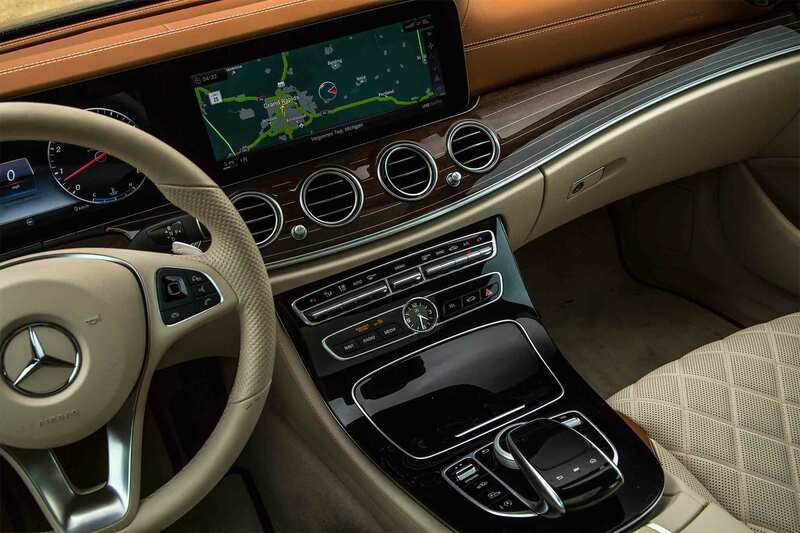 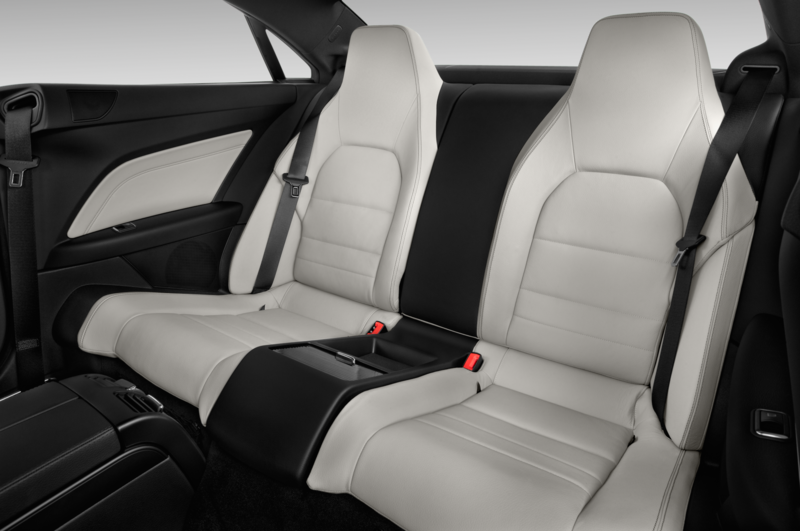 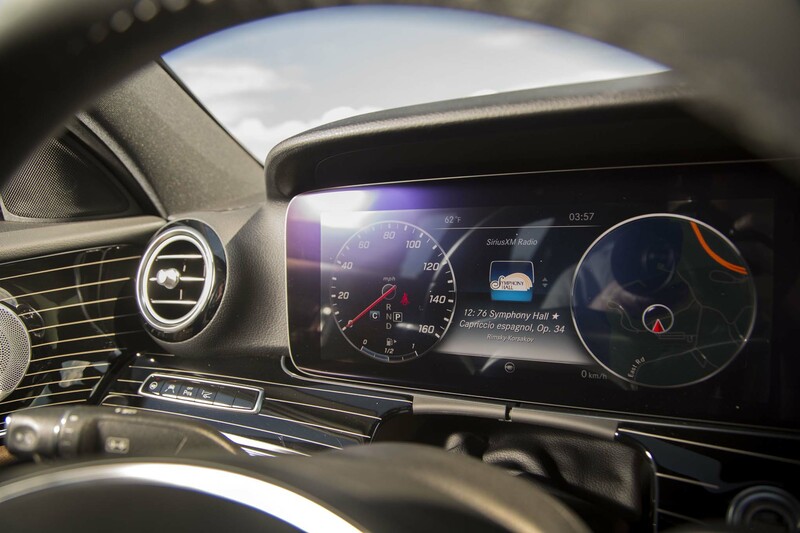 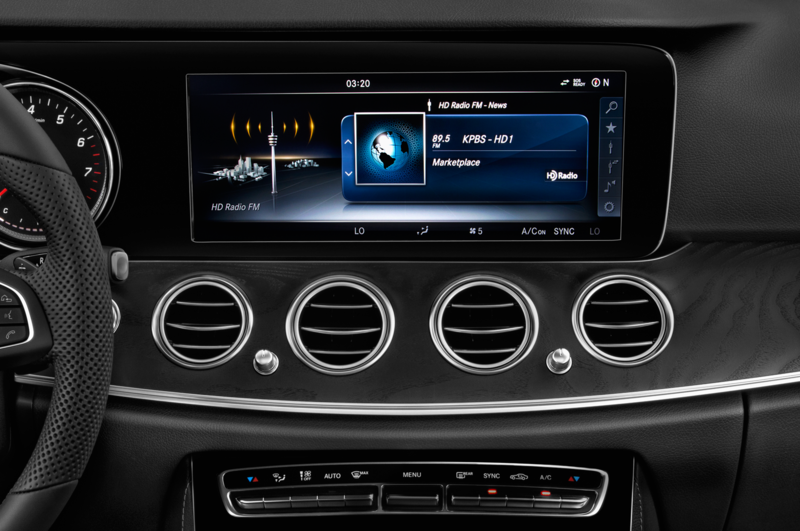 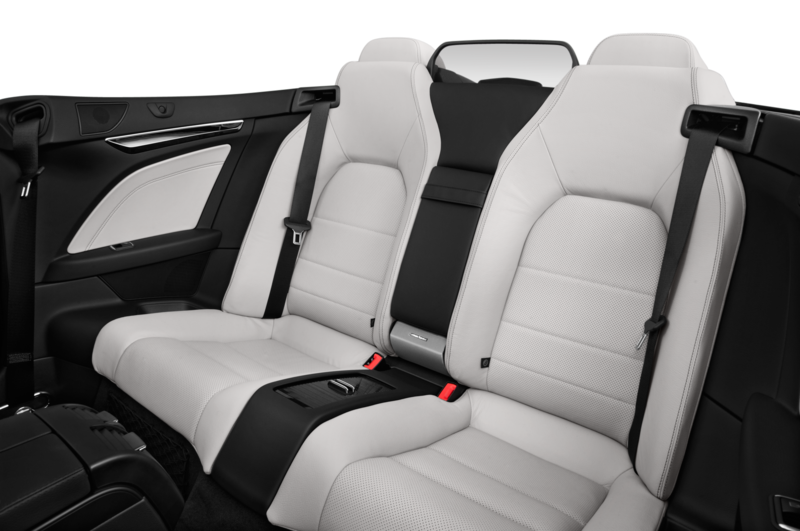 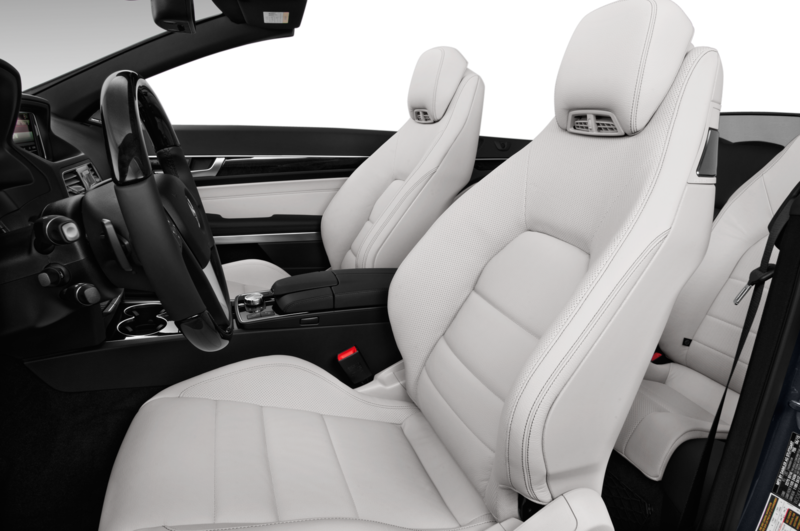 The only big complaint is the information/entertainment system, which like virtually every premium/luxury brand’s system, can take your attention off of the road. 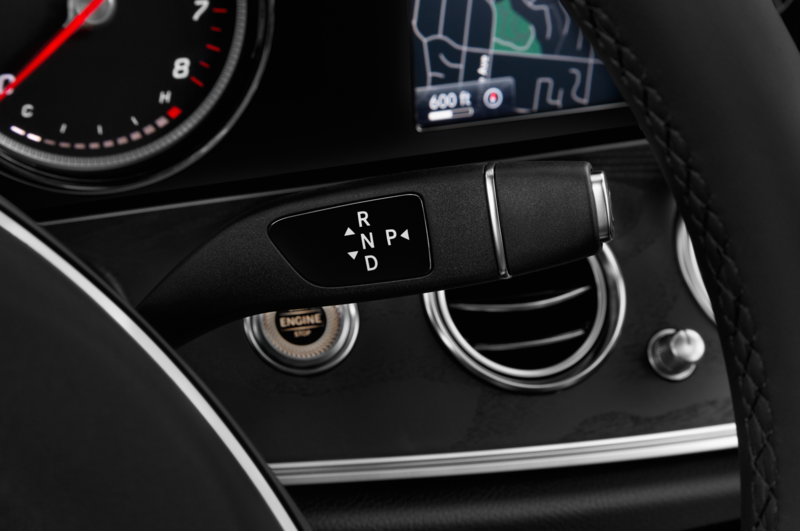 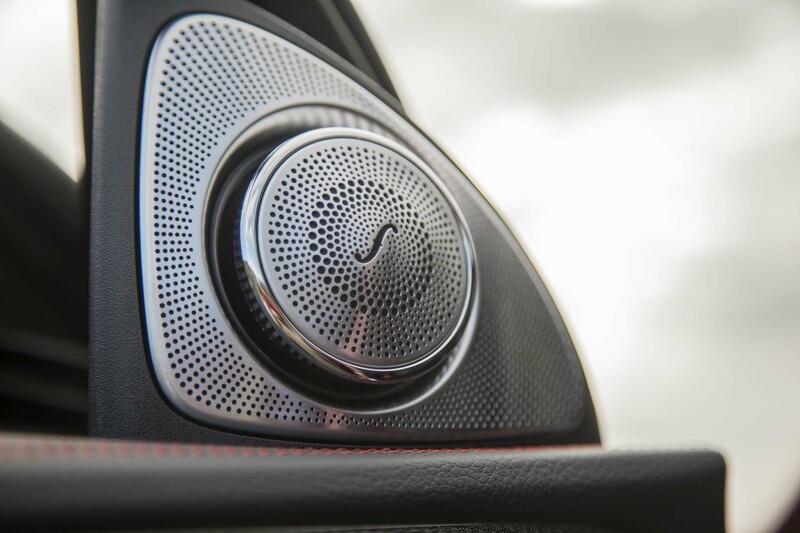 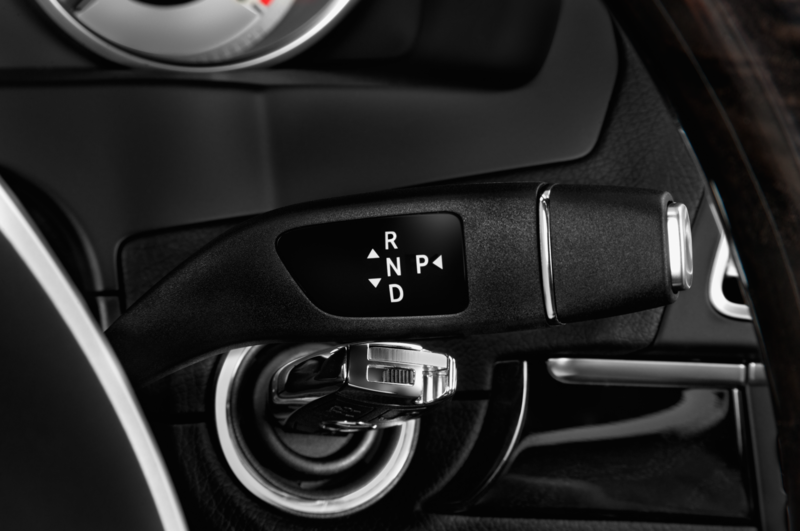 Pull over, please, if you try to fiddle with the COMAND rotary control knob and look for an FM radio station that doesn’t have the strongest of signals. 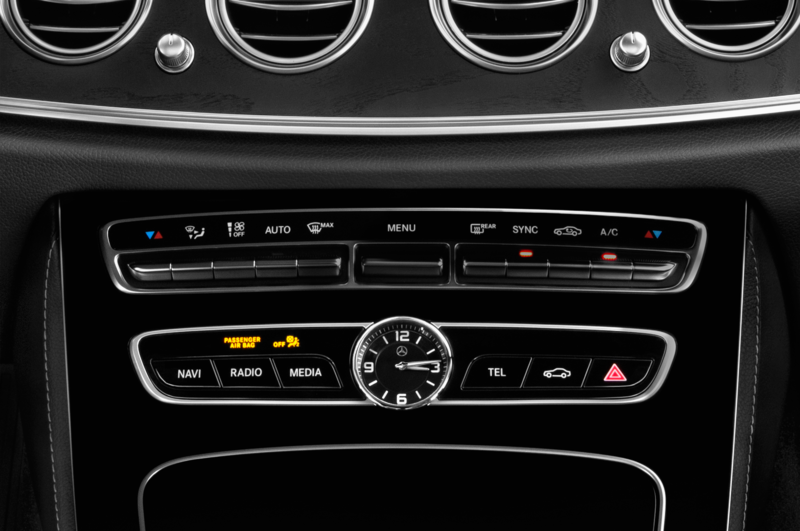 Such stations don’t show up on the screen unless you specifically tune to them, and that requires a bit of digging through menus. 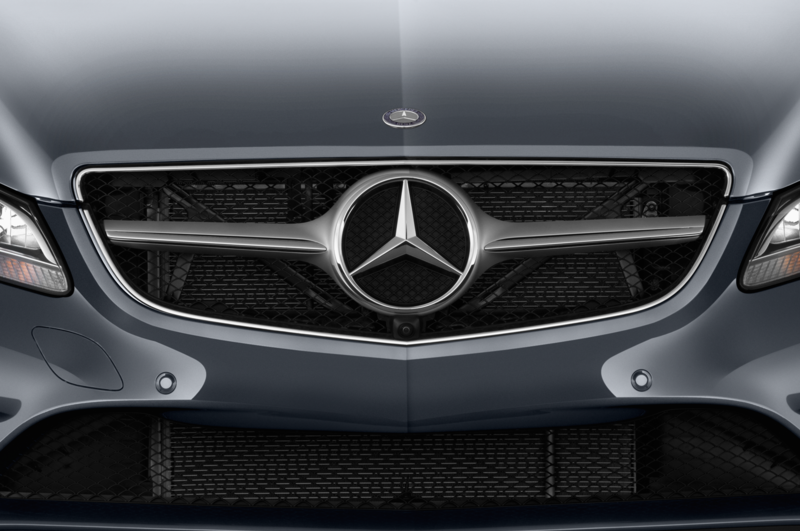 But that’s the state of luxury brands these days. 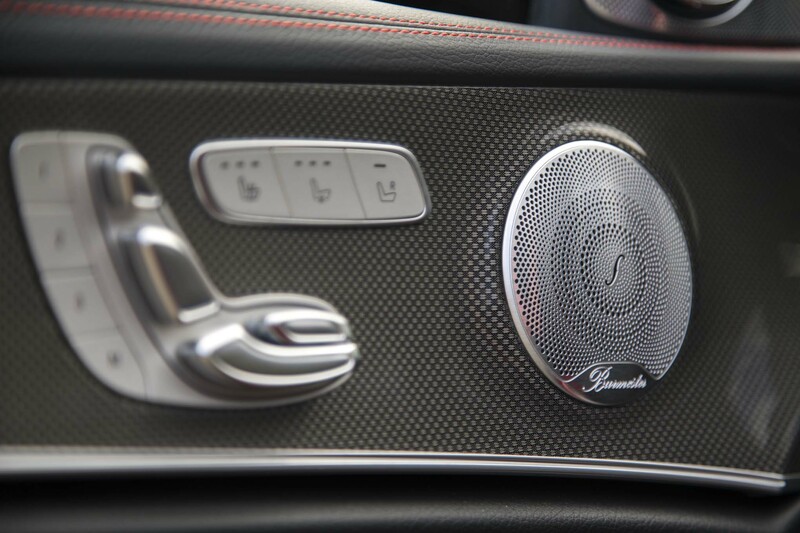 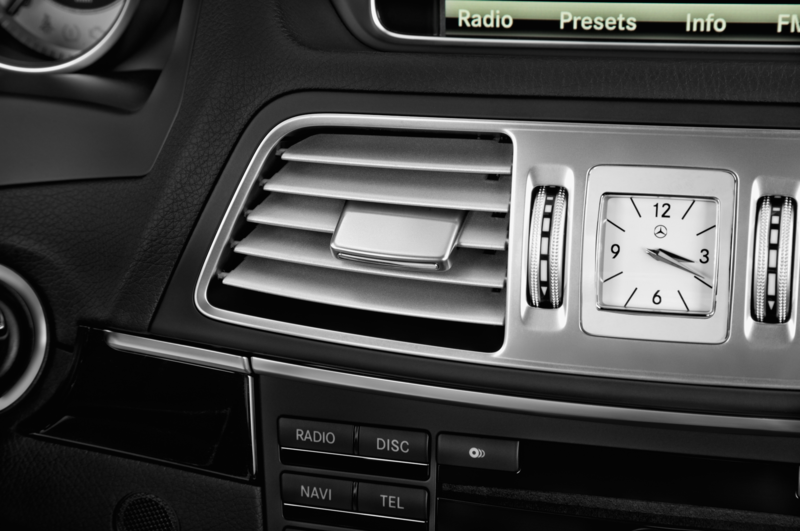 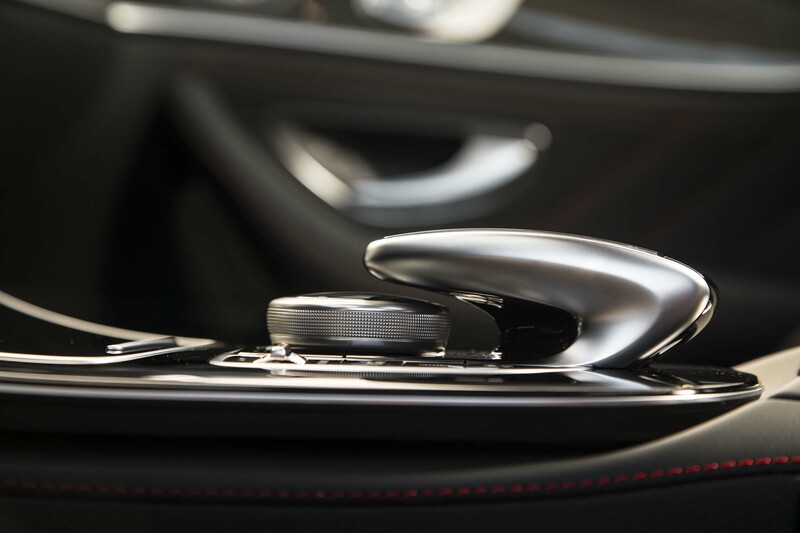 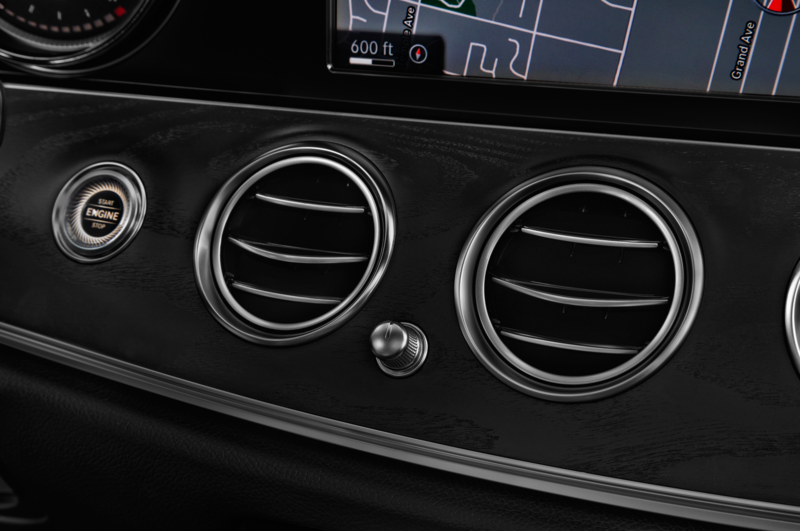 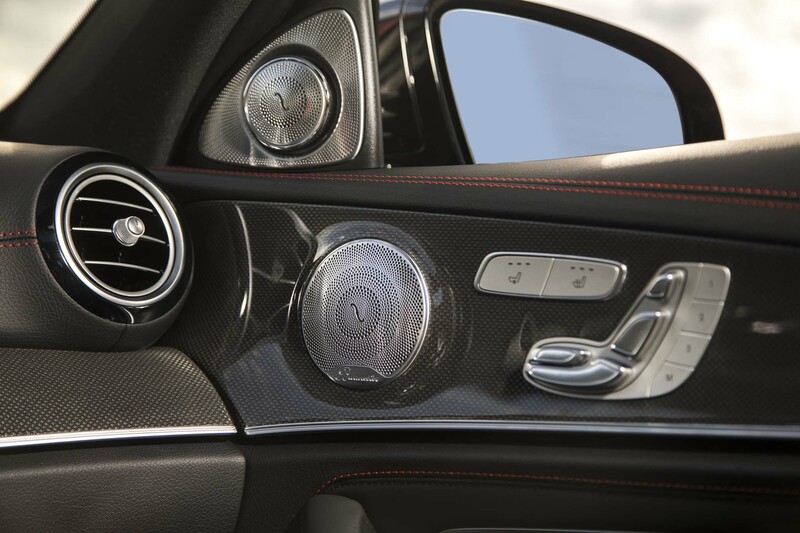 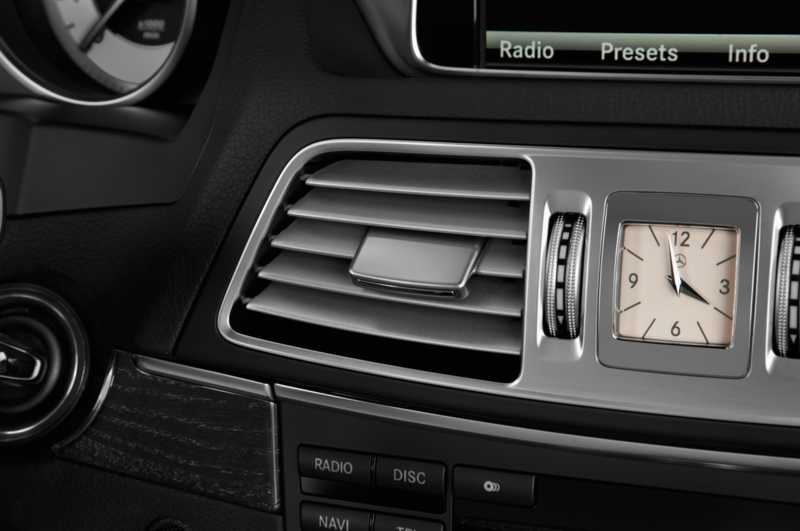 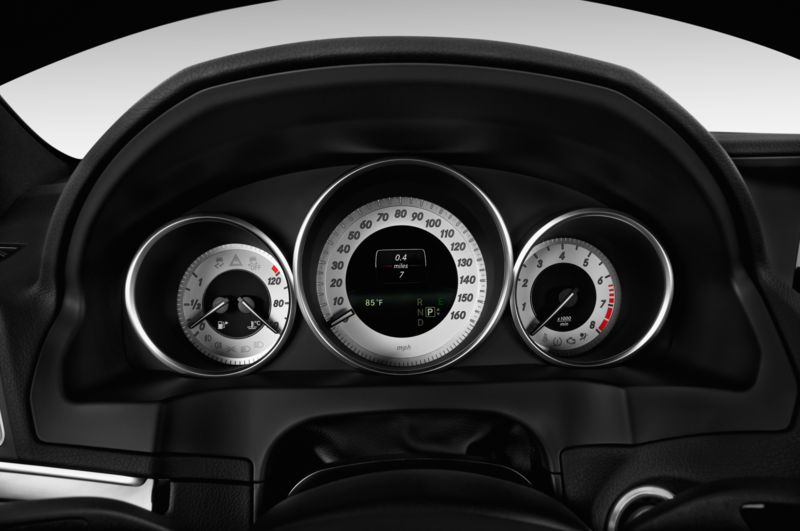 There is, at least, a physical volume wheel you can use that’s right in front of the center console. 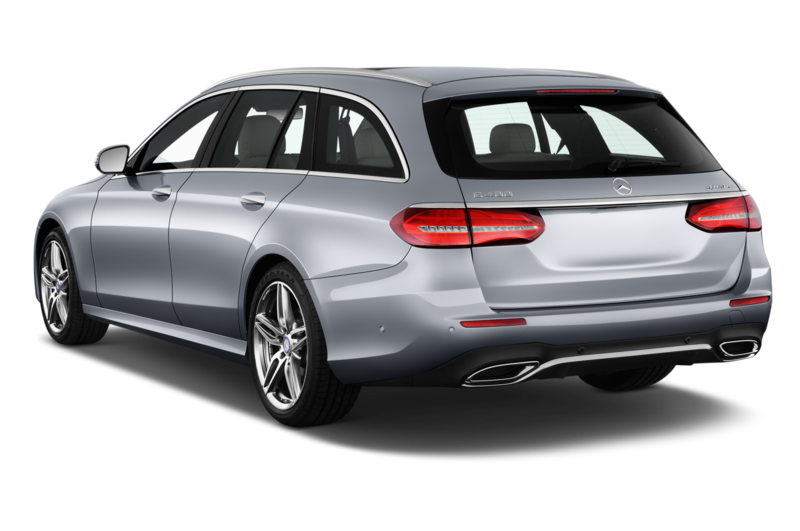 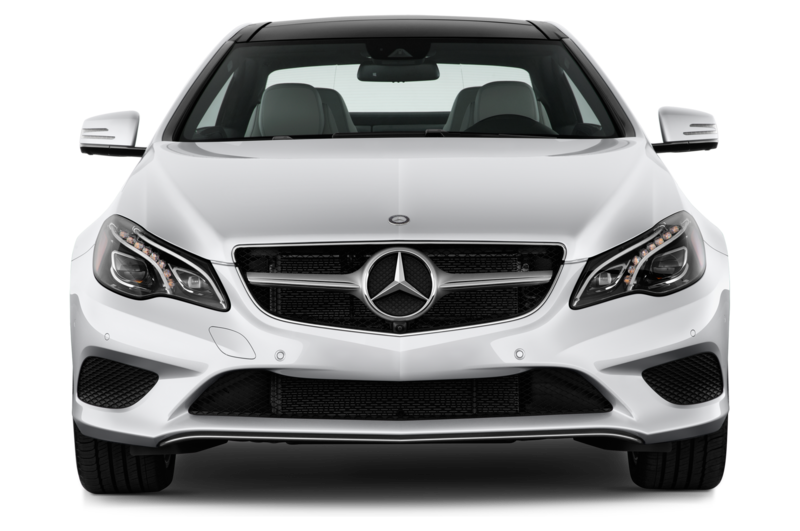 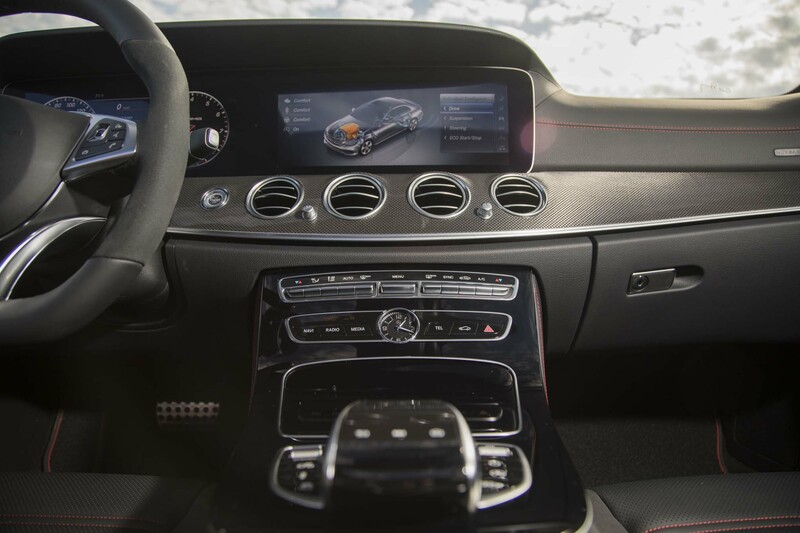 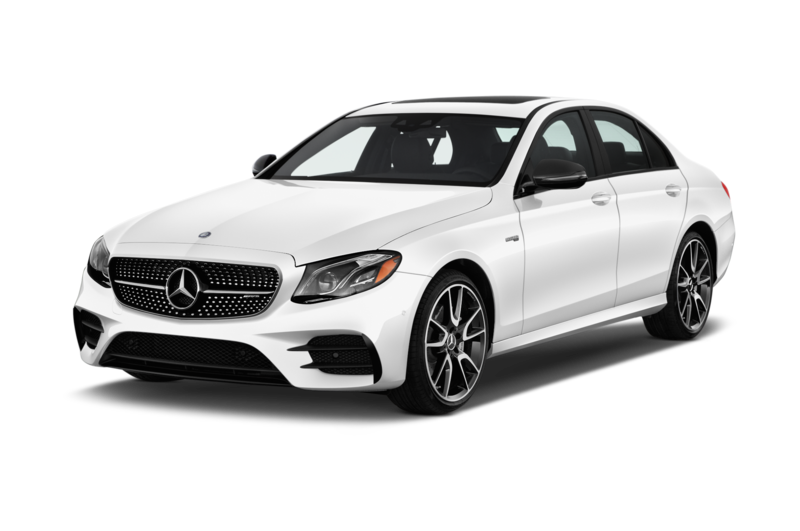 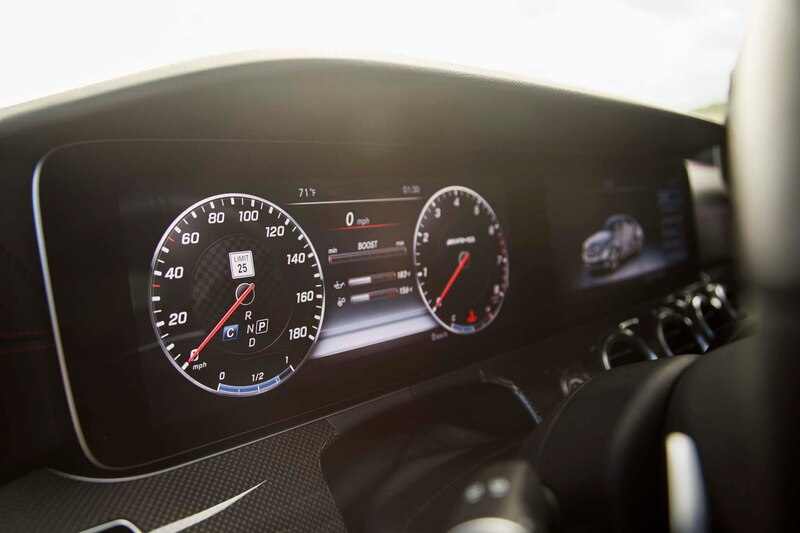 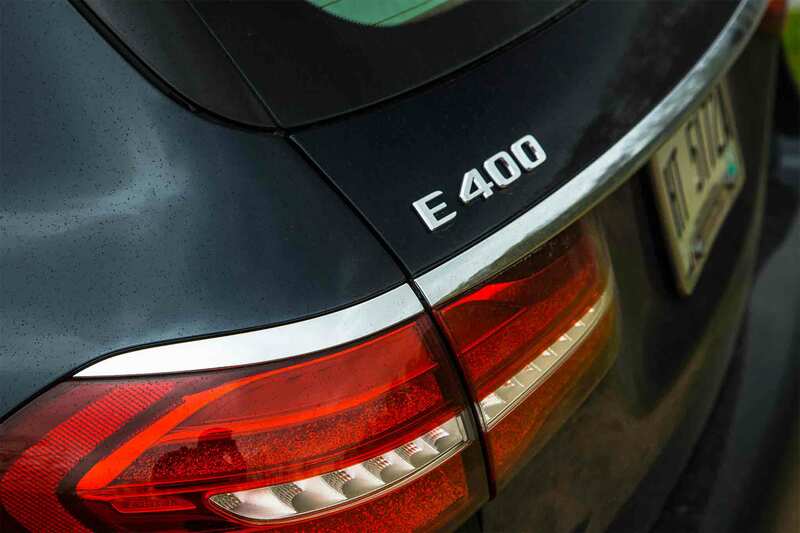 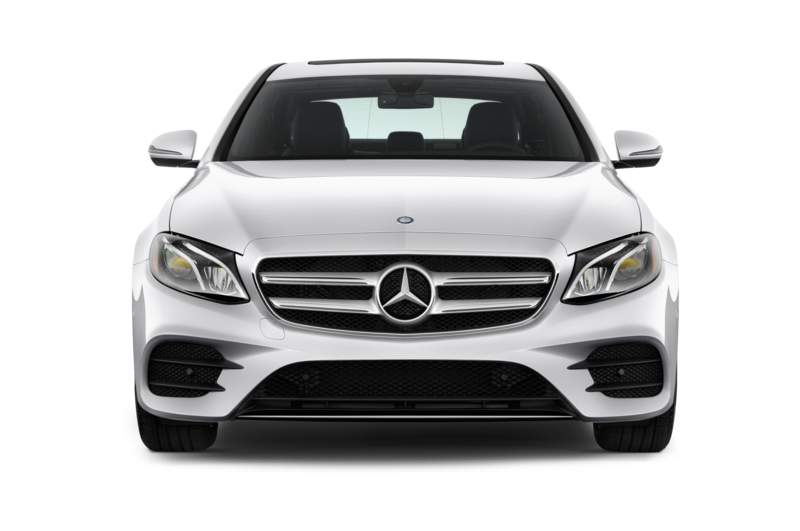 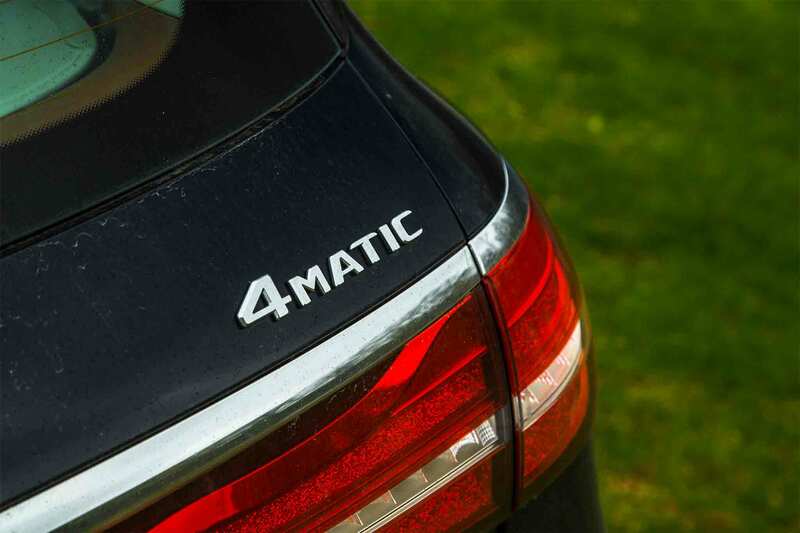 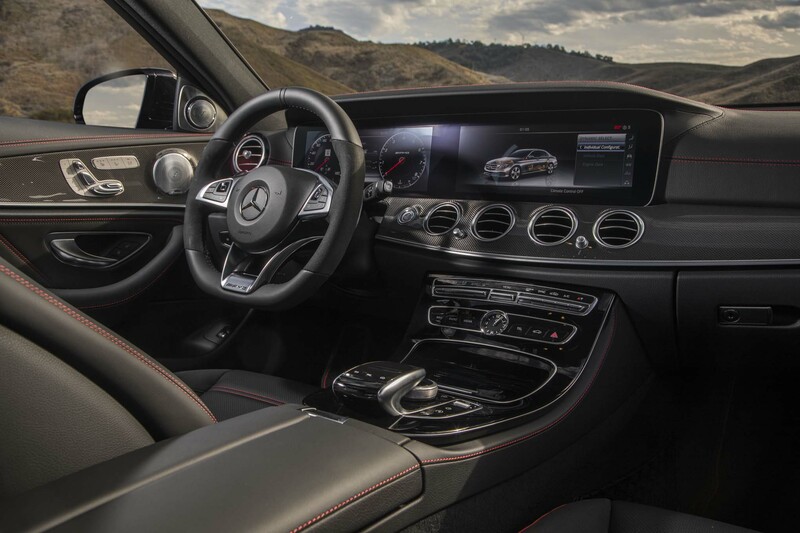 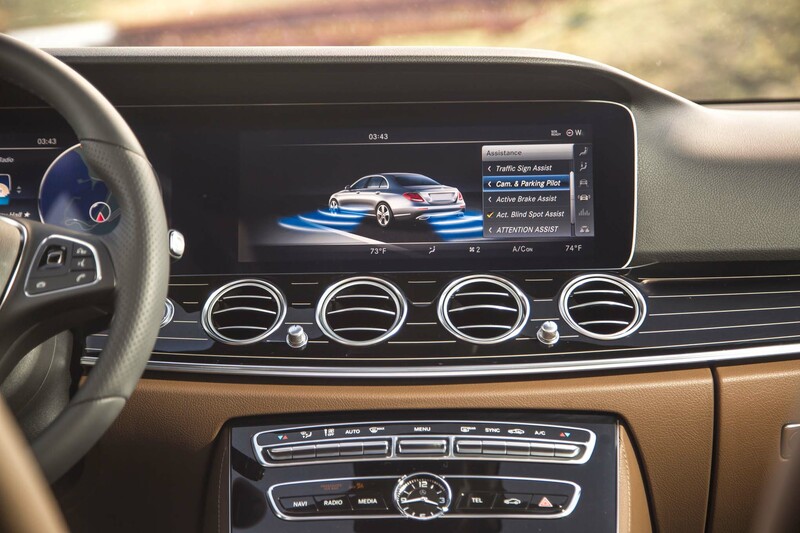 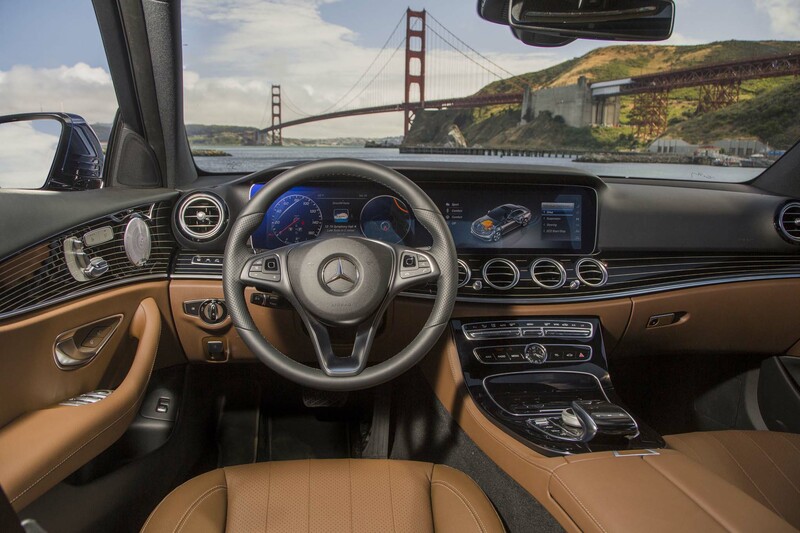 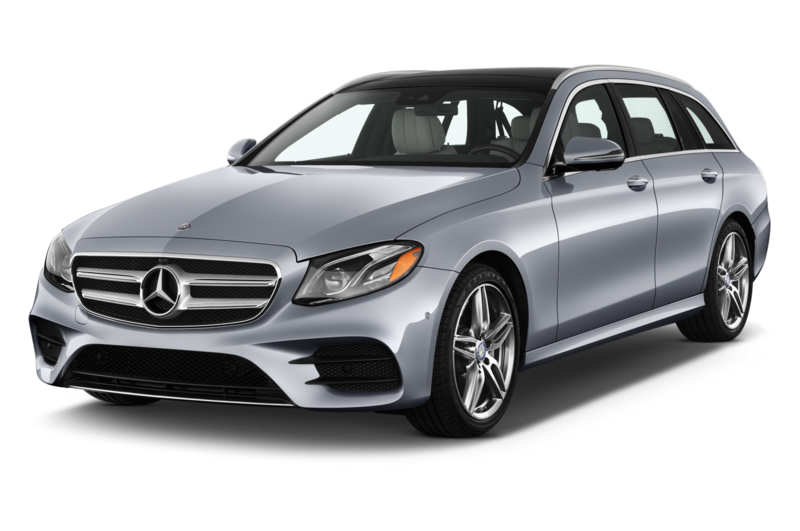 Aside from that, the Mercedes-Benz E400 Wagon 4Matic provides the best modern combination of stylish, sumptuous luxury and utility on the market today.